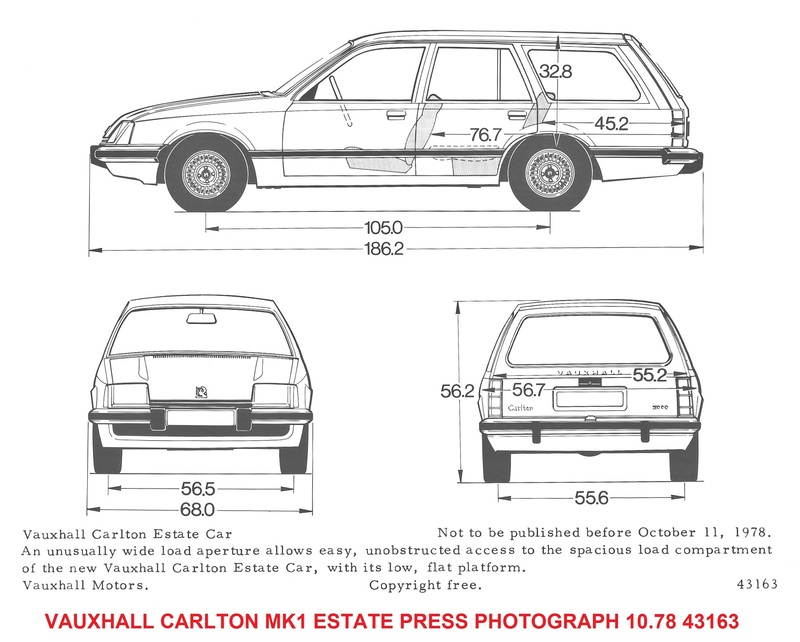 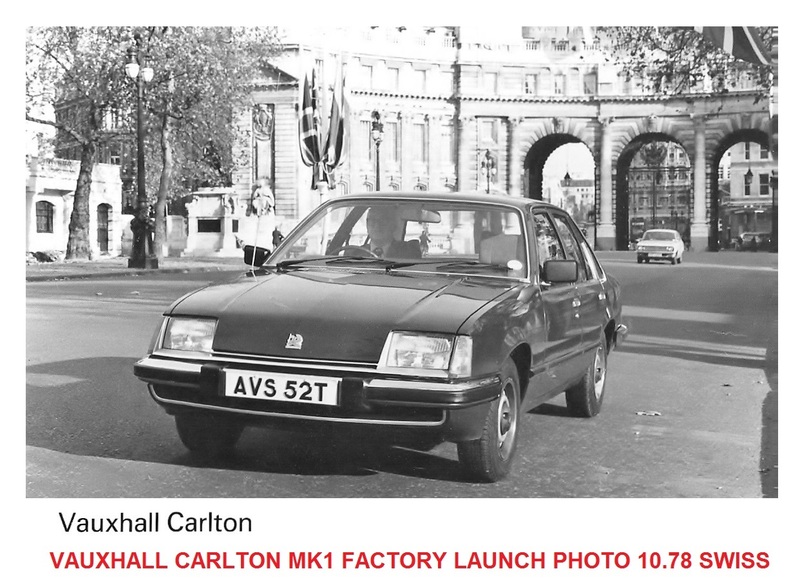 Some cars have a big impact when launched and then for various reasons drift off into obscurity, the Vauxhall Carlton Mk1 is just such a car. 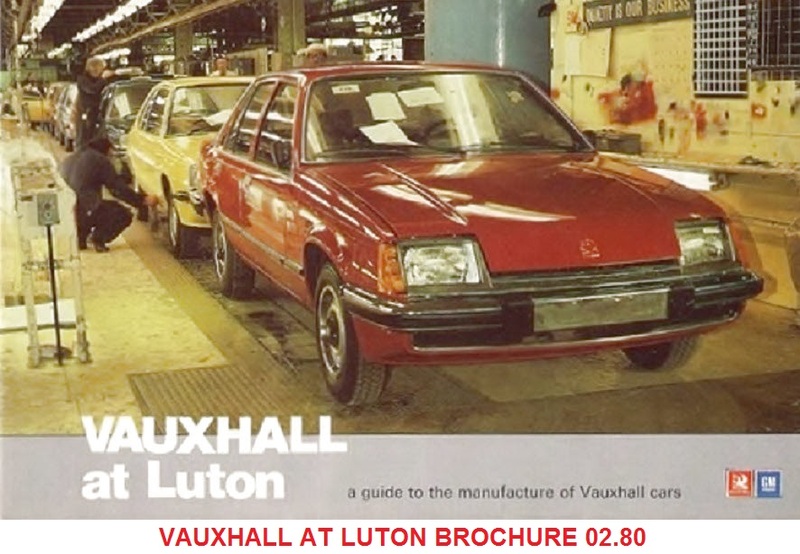 Launched in September 1978 ready for the October UK Motor Show the car received glowing press reports and sales were initially strong with the Luton plant unable to keep pace with demand, yet to date at the last count there are fewer than 20 still registered in the UK and maybe one or two in Europe somewhere! 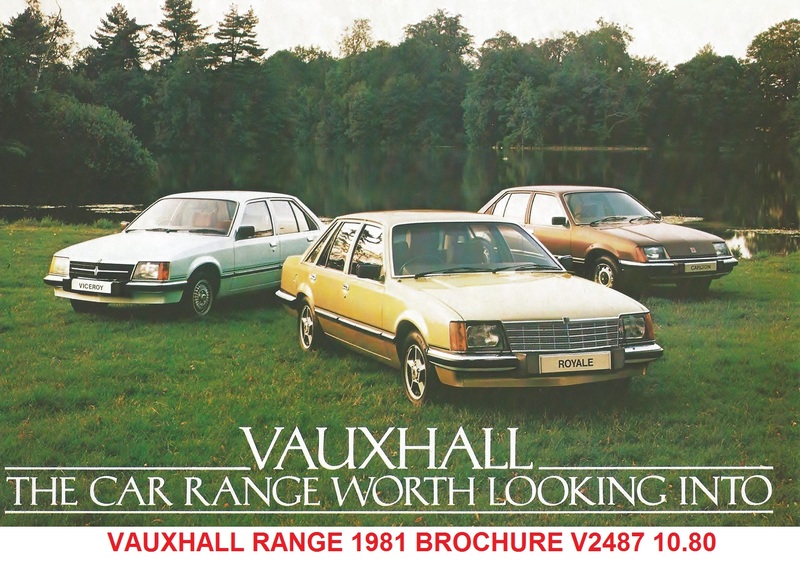 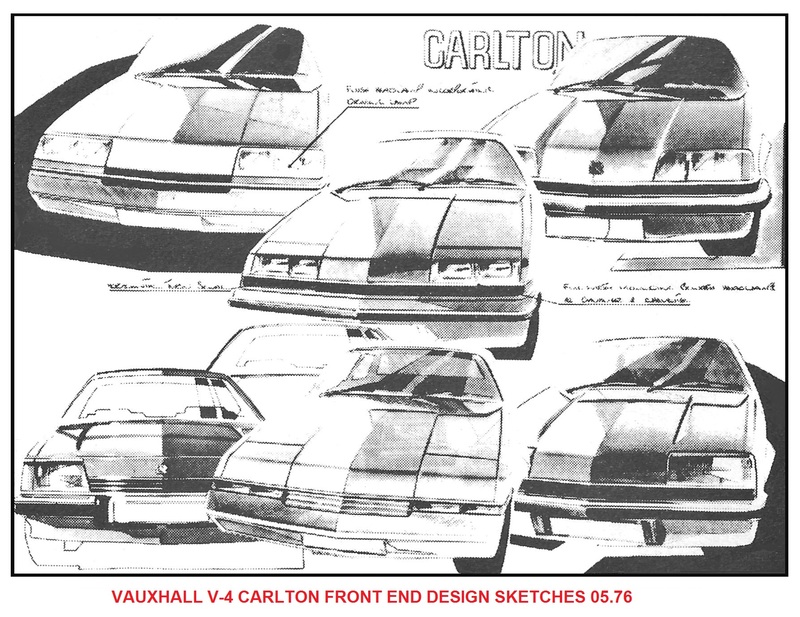 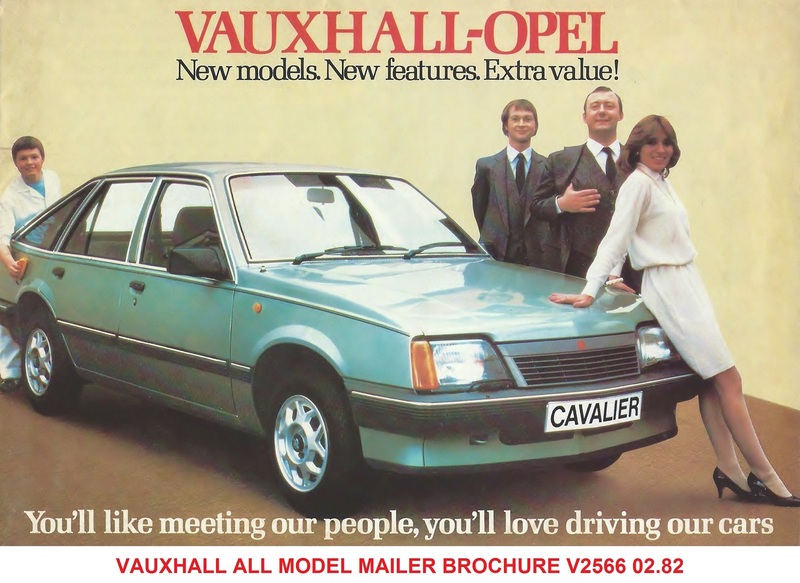 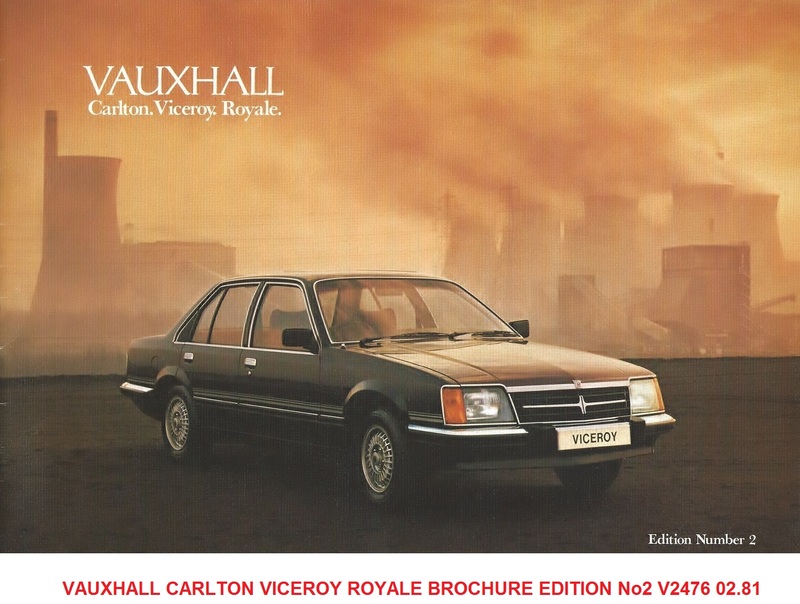 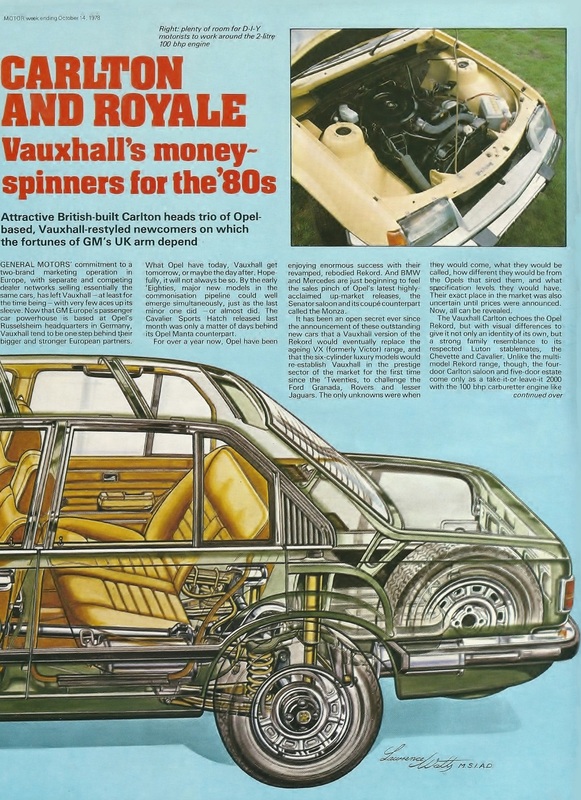 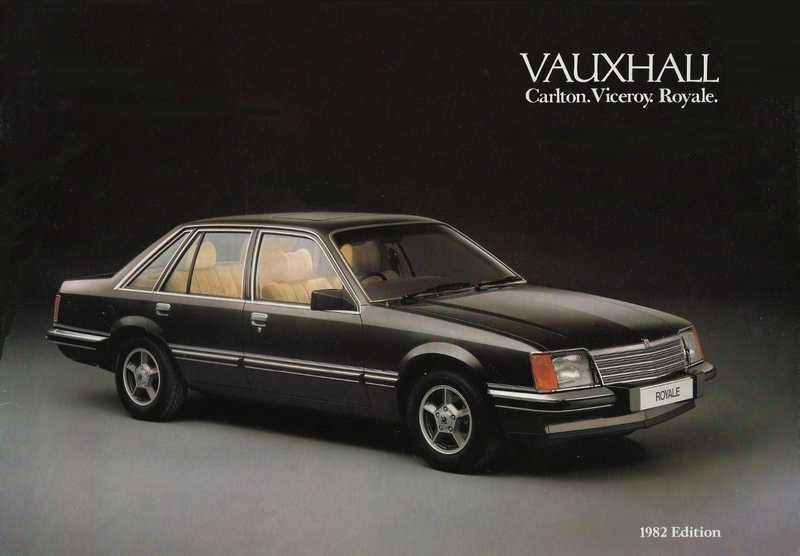 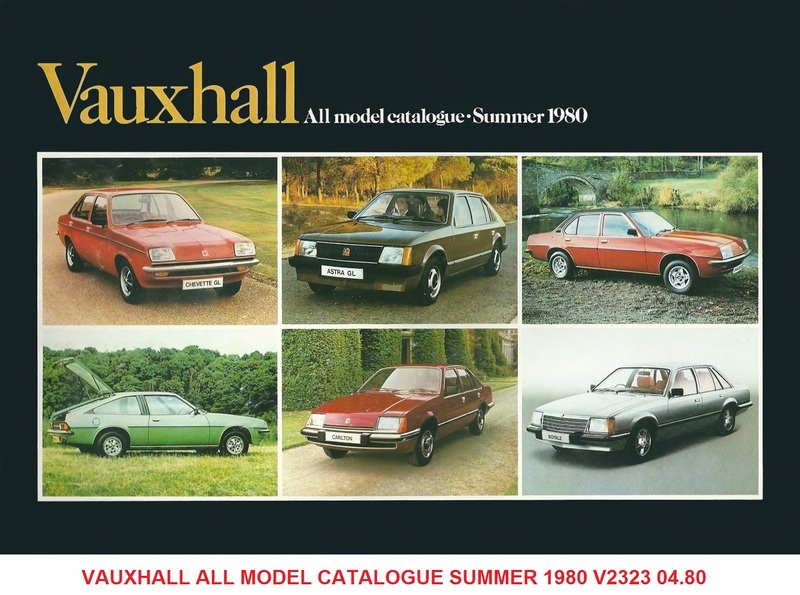 However, if Vauxhall Design & Engineering Department had been given a free reign things may not have been quite the same. 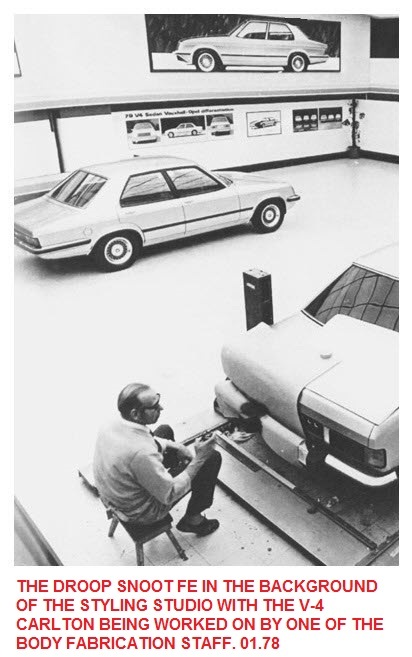 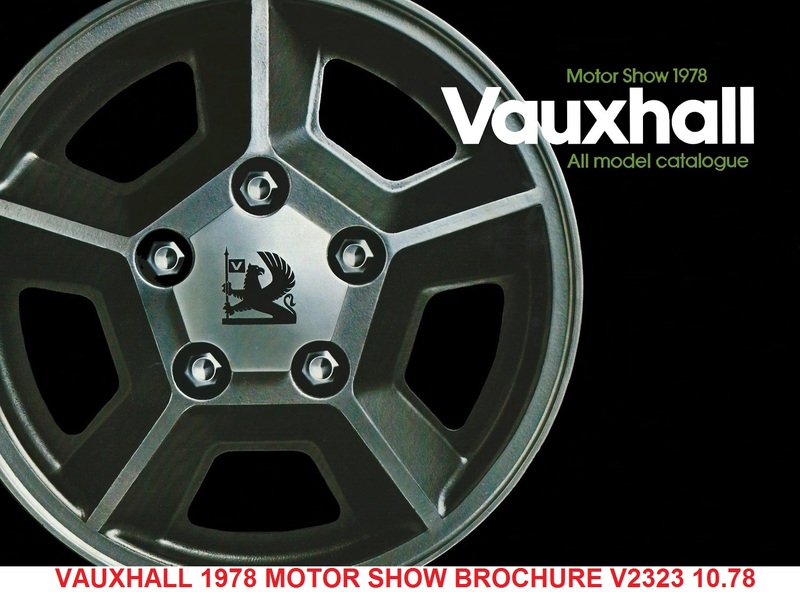 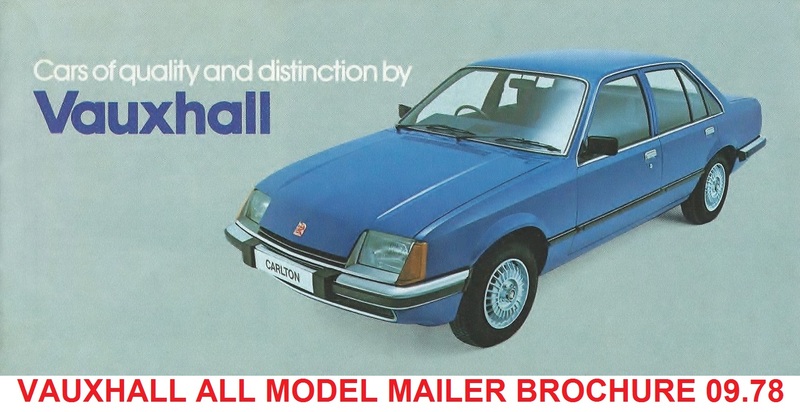 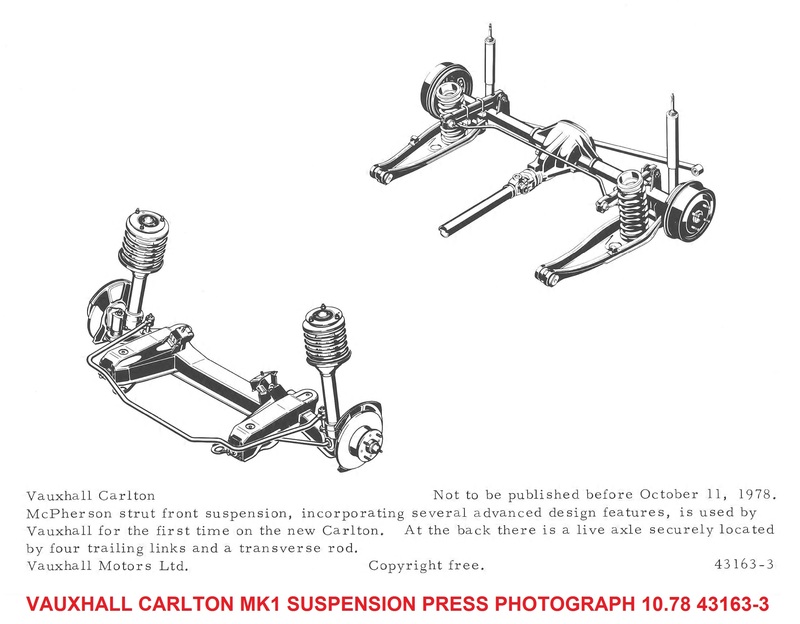 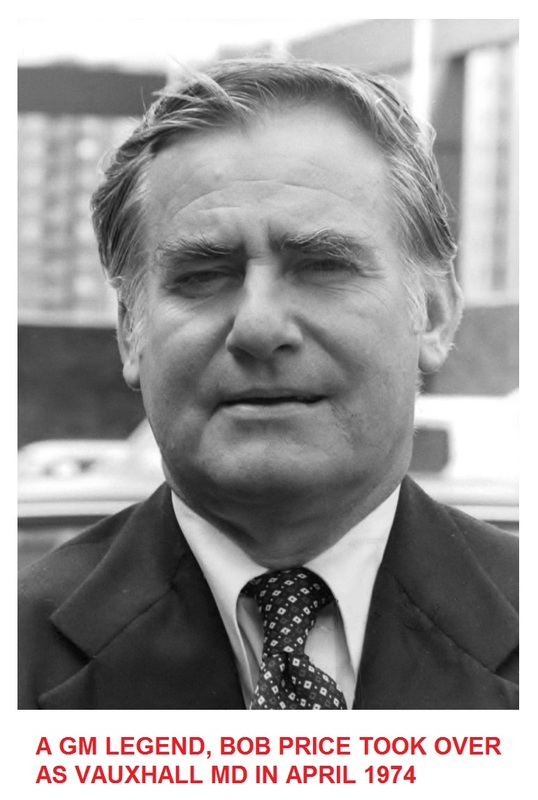 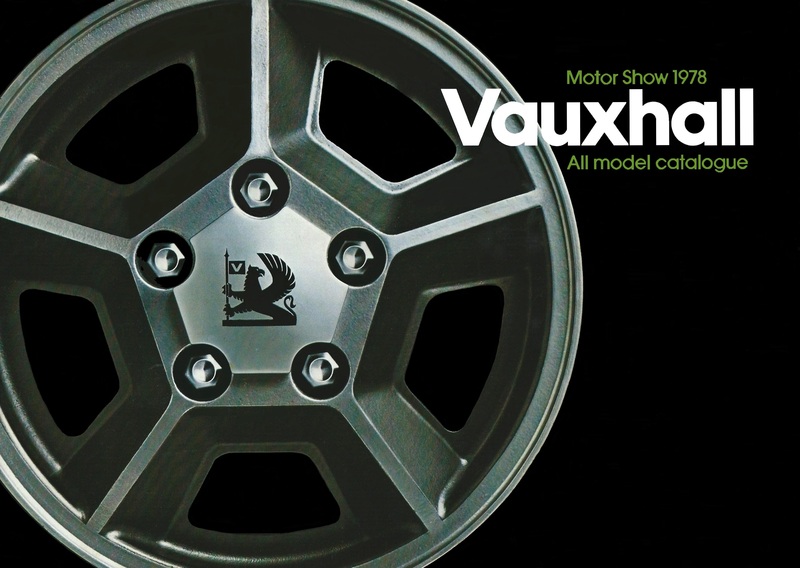 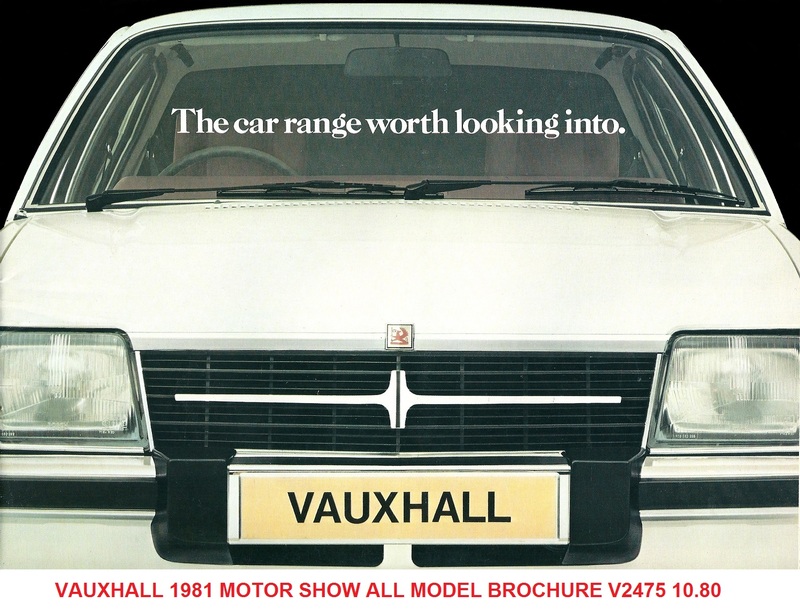 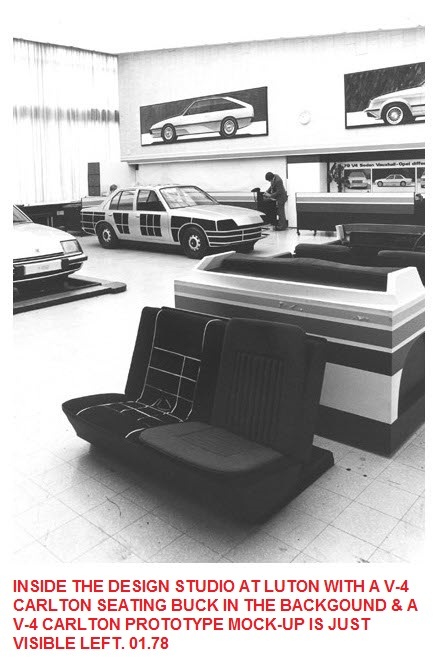 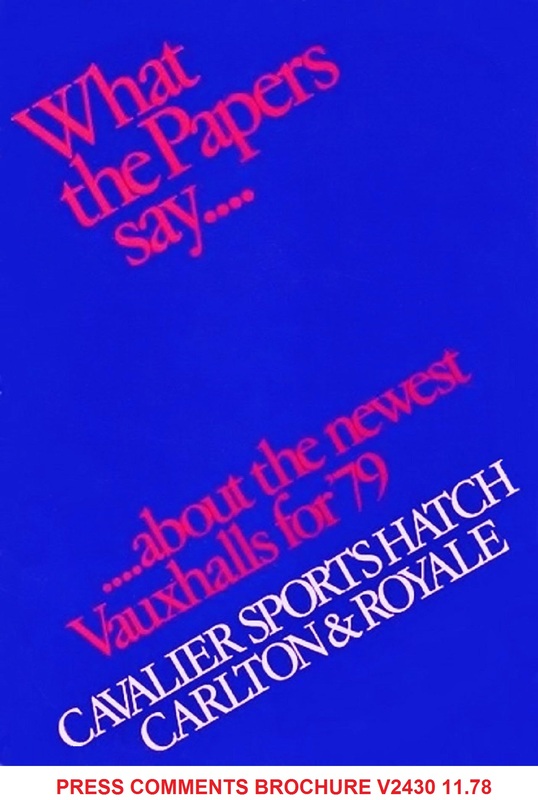 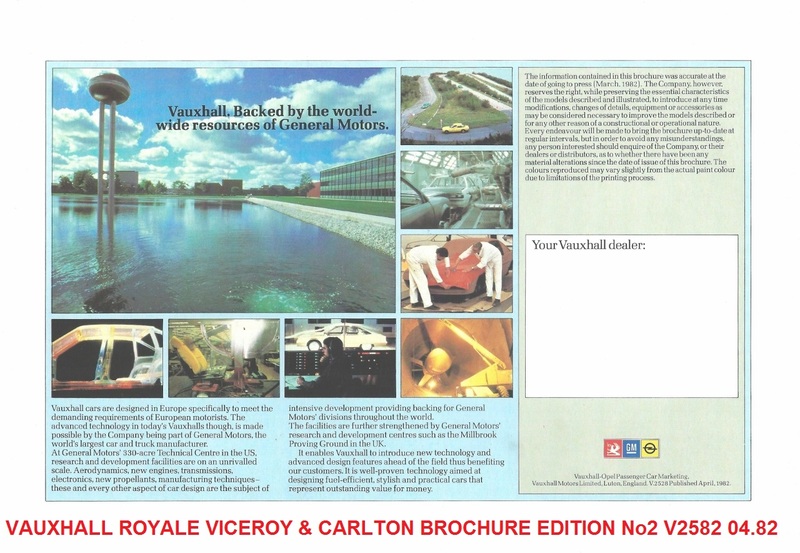 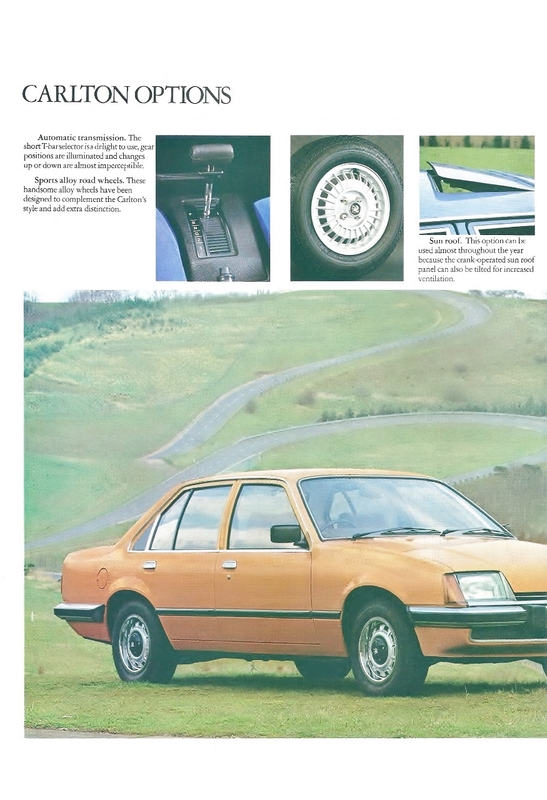 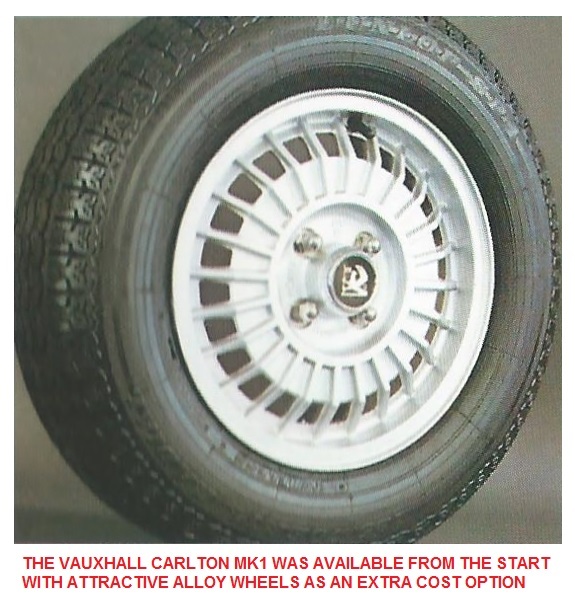 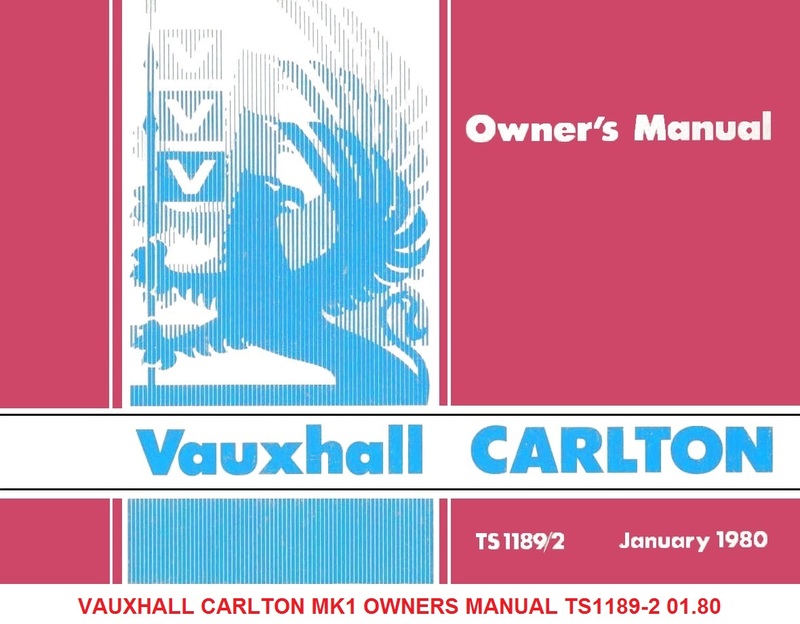 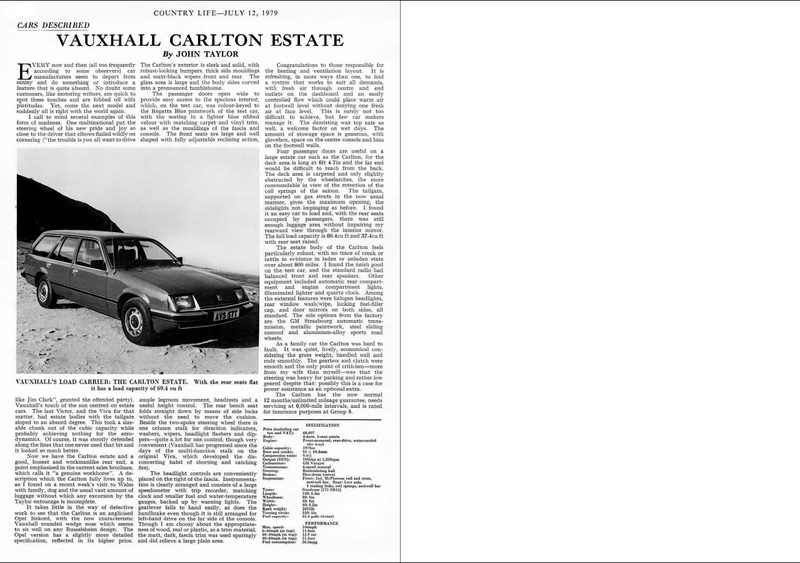 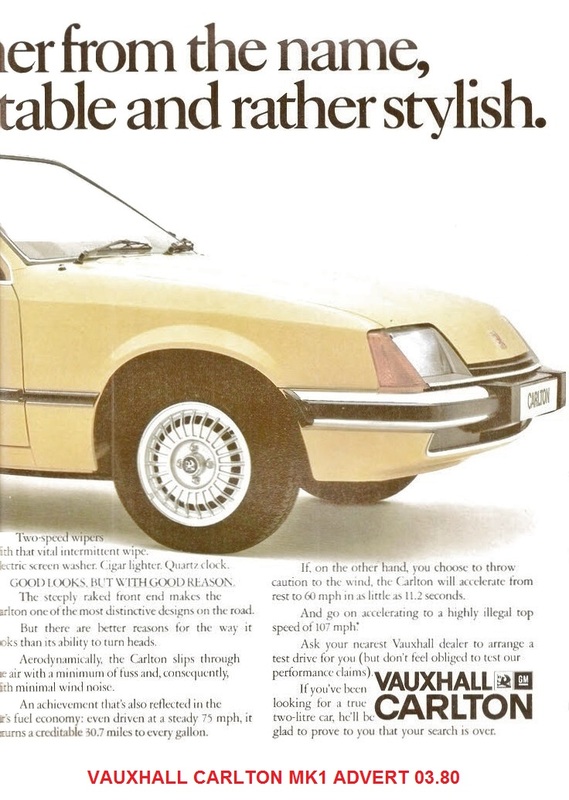 Planning for a facelift scheduled for 1975 was already underway in April 1974 when GM legend Bob Price took over as Vauxhall Managing Director. 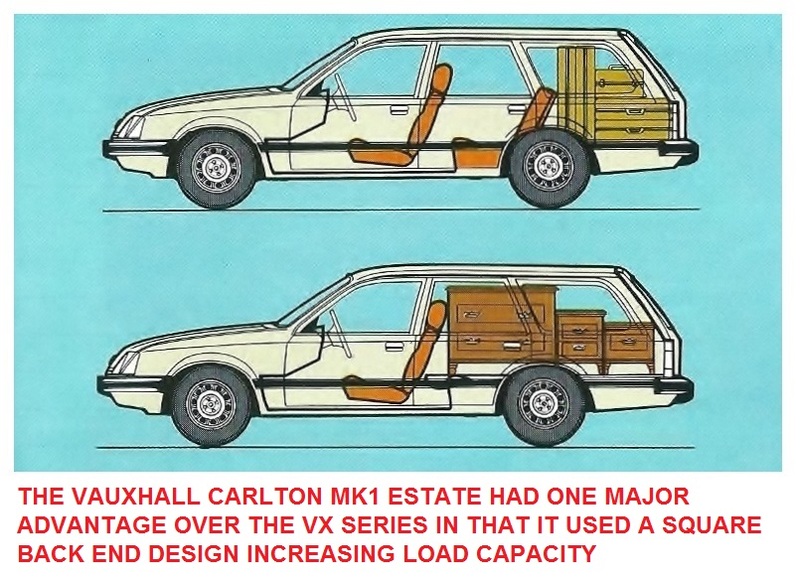 He wanted a car range that would stretch from the base (1800cc) end of the market right up into Jaguar territory. 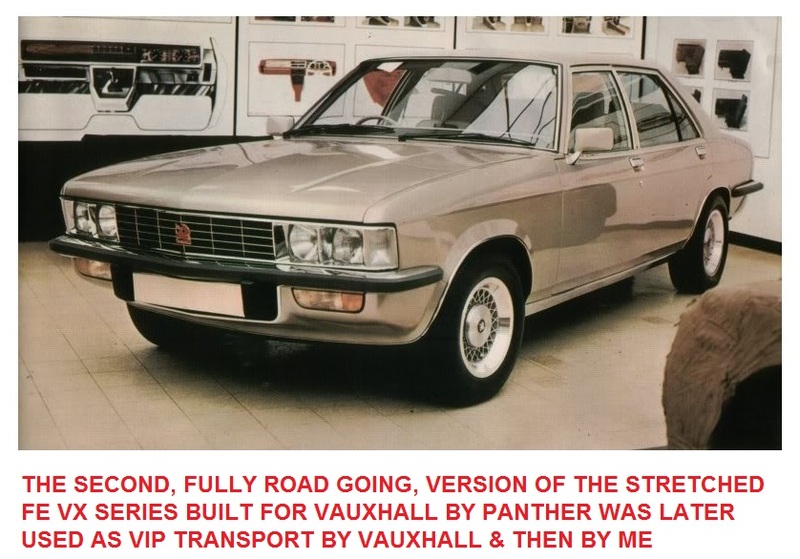 Price was constantly irritated by the fact companies would buy all their fleet cars and Bedford vans & trucks from Vauxhall but then the head of the outfit would drive a Jaguar or Mercedes. 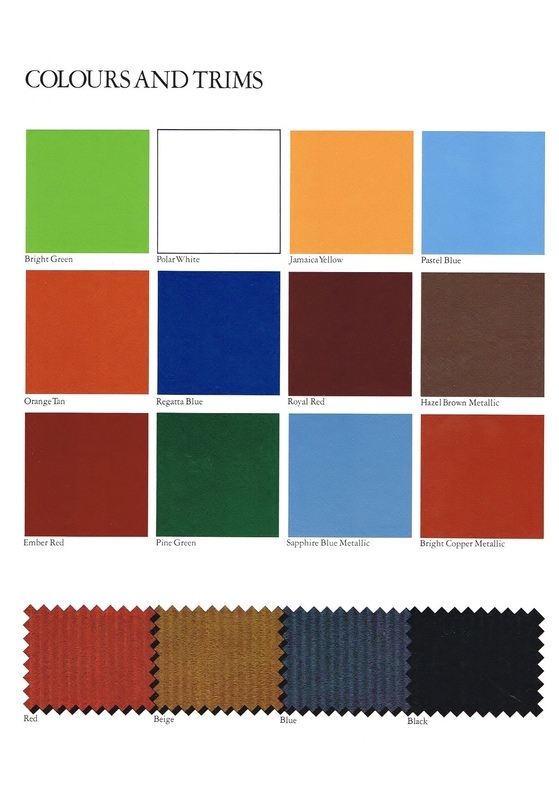 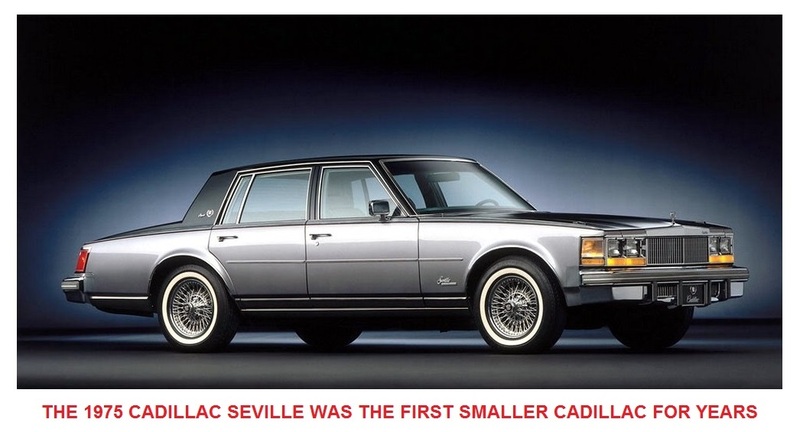 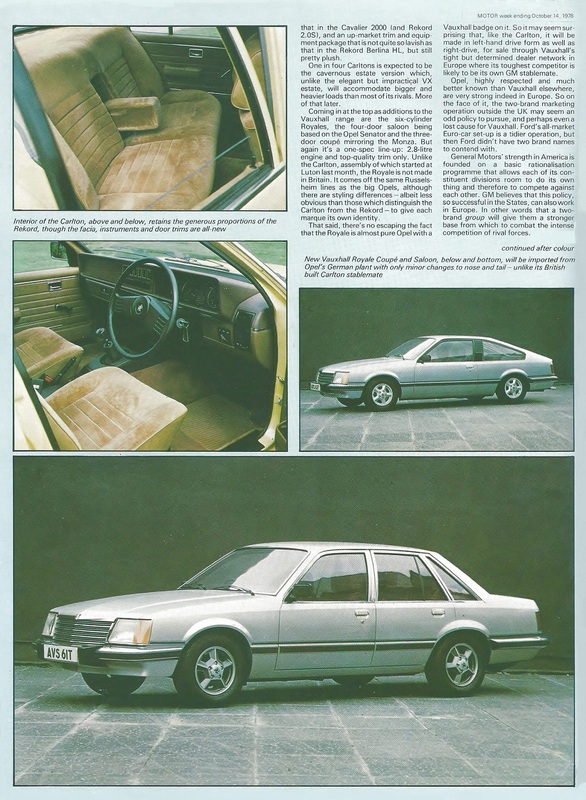 No option was off the table, Price even considered the possibility of importing a modified, stiffened up and Europeanised version of the soon to be released 1975 Cadillac Seville in RHD as a top line model. 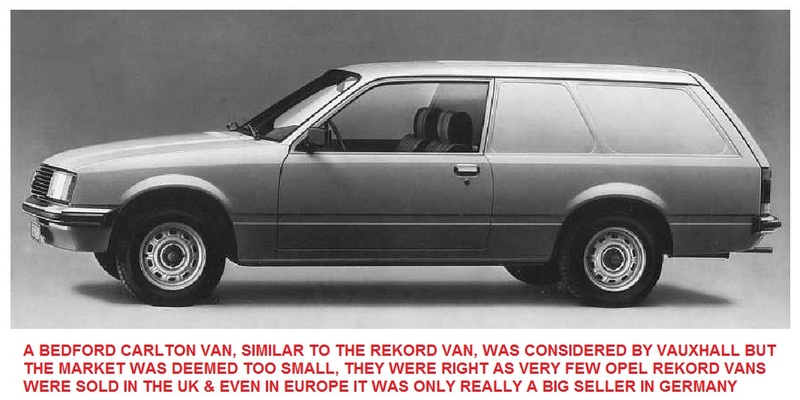 The plan was dropped because, although small by Detroit standards, the car was still too chintzy and thirsty for European tastes. 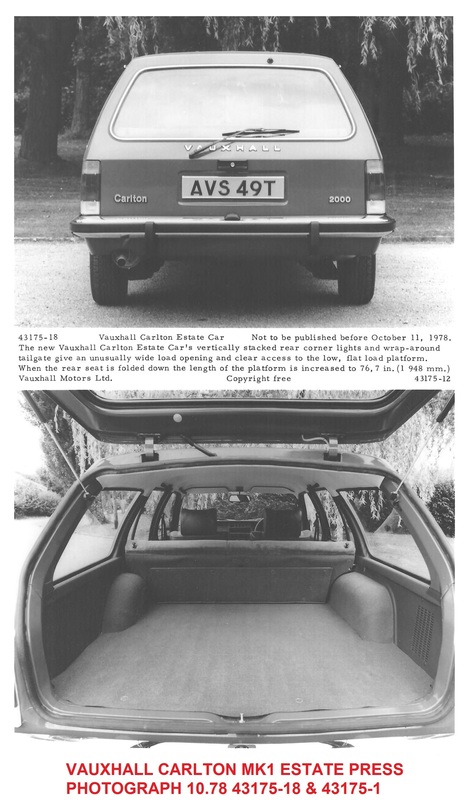 An FE Viscount V8 Show Car had been due to appear at the 1973 London Motor Show, it was a very luxurious version based around the Ventora and fitted with a Holden 4.2litre V8, the car was pulled at the very last minute, along with any production plans, because of the oil crisis. 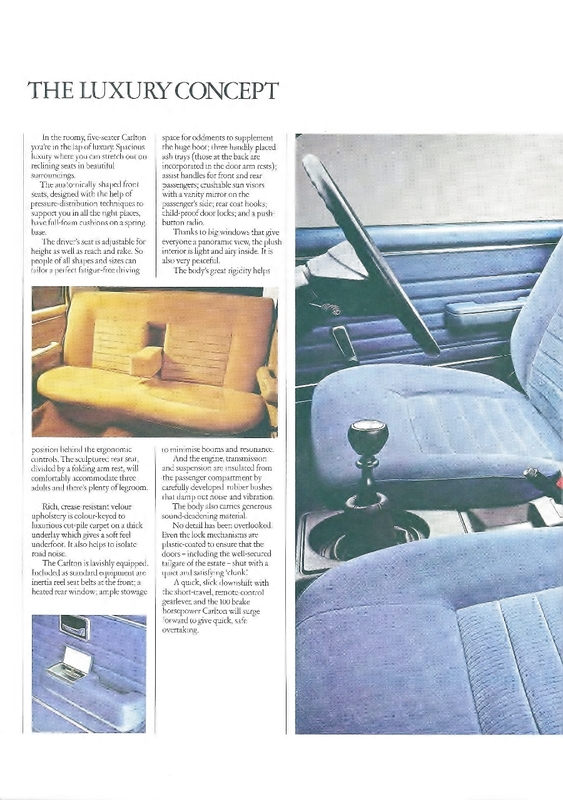 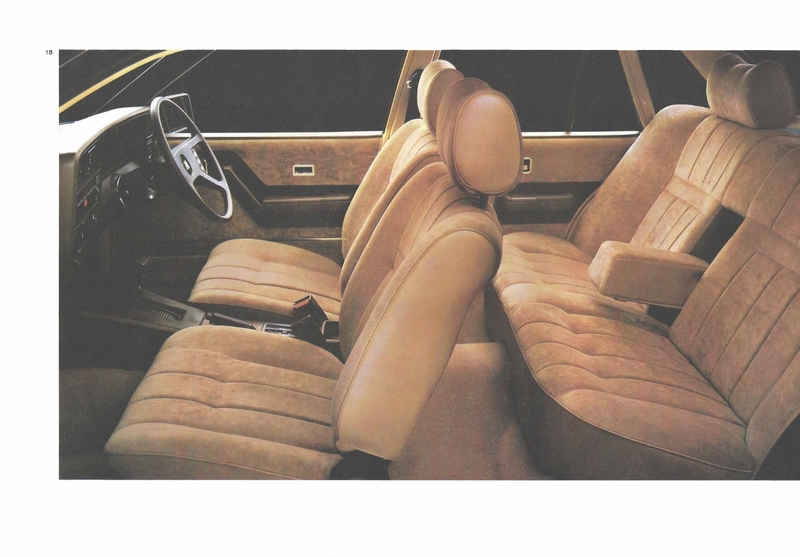 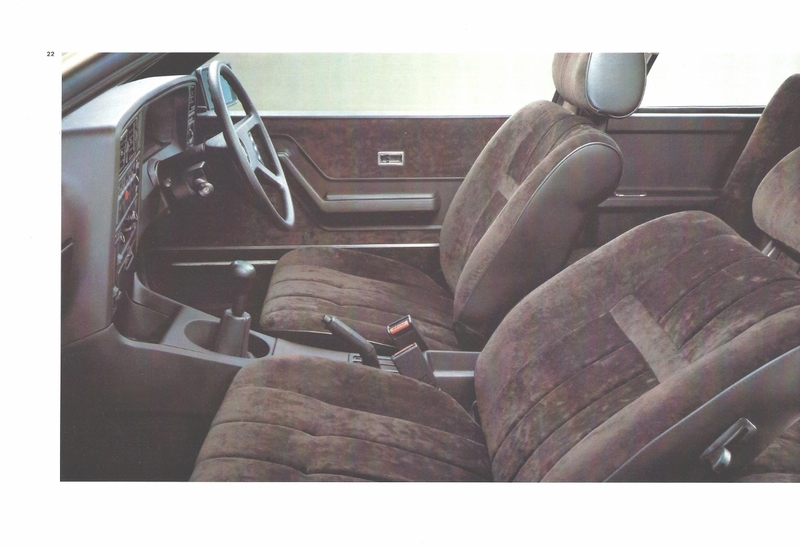 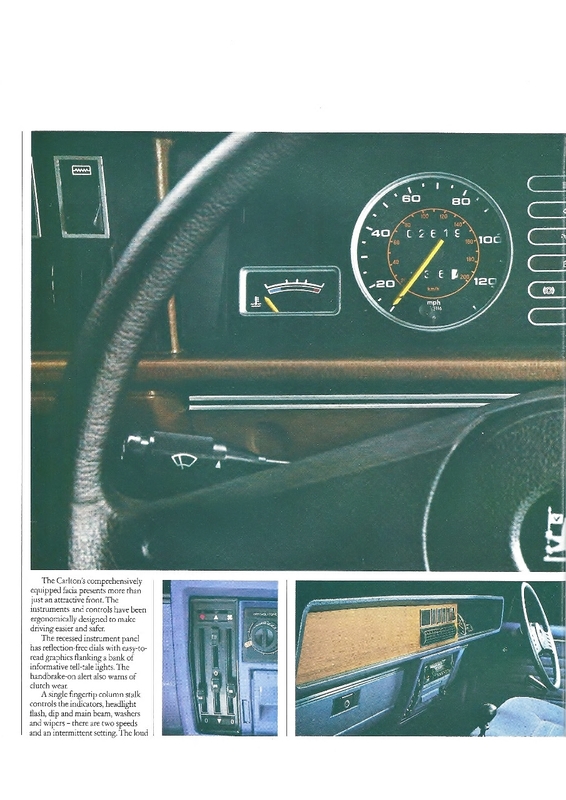 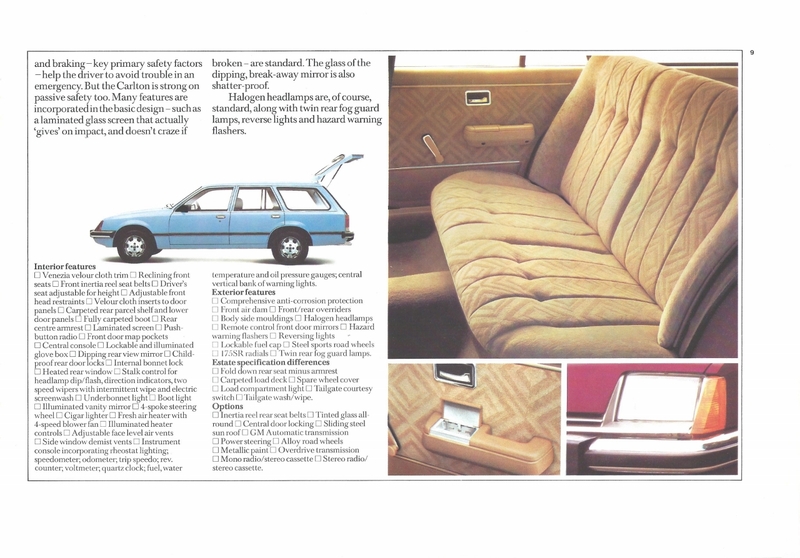 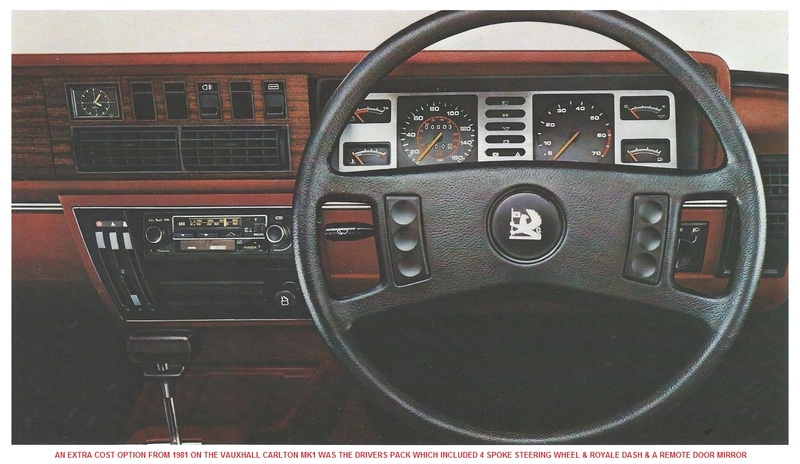 It did however showcase a radically different interior and dashboard which Price considered a vast improvement on the then current FE Victor, VX4/90 and Ventora and gave the go ahead for an extensive facelift for the FE range to be done as quickly as possible. 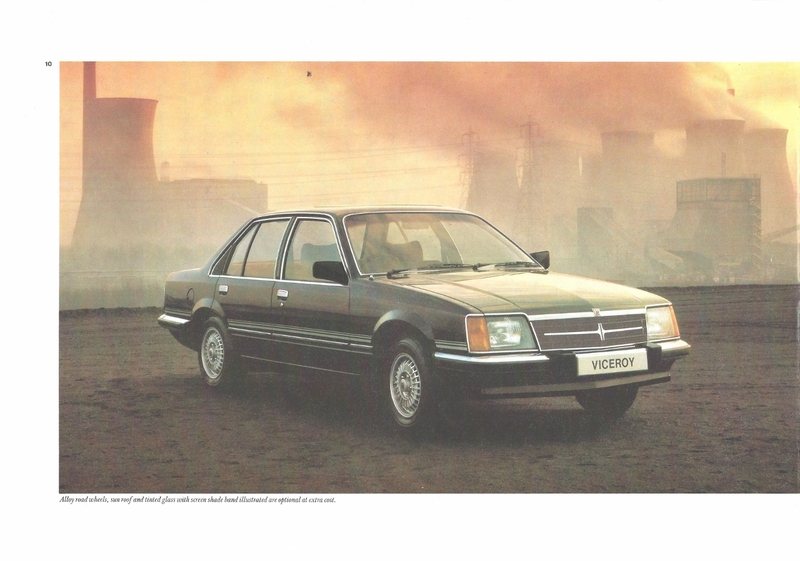 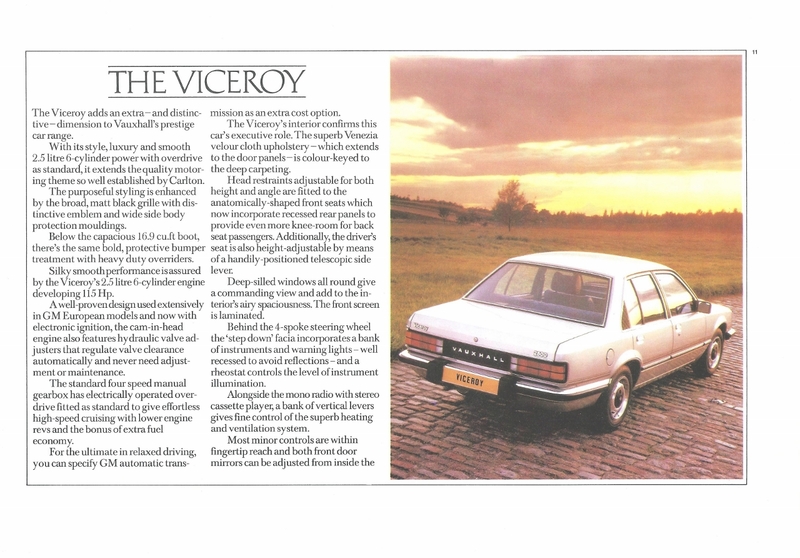 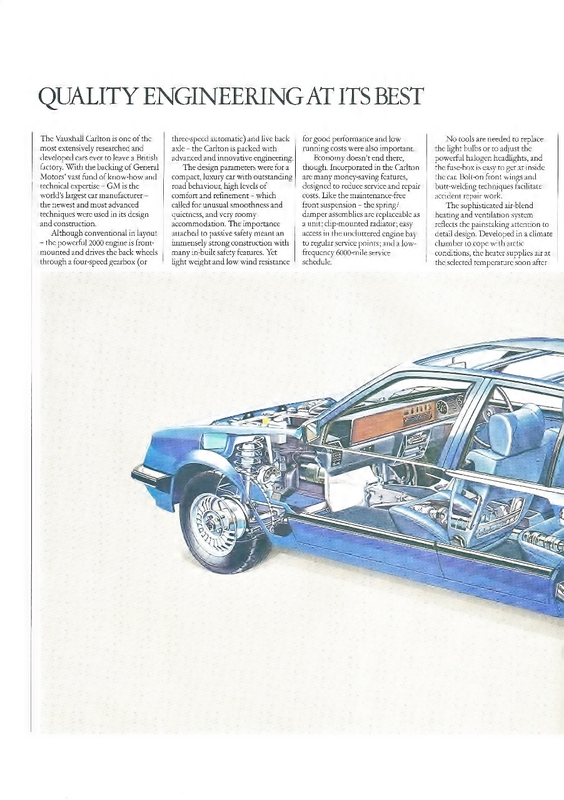 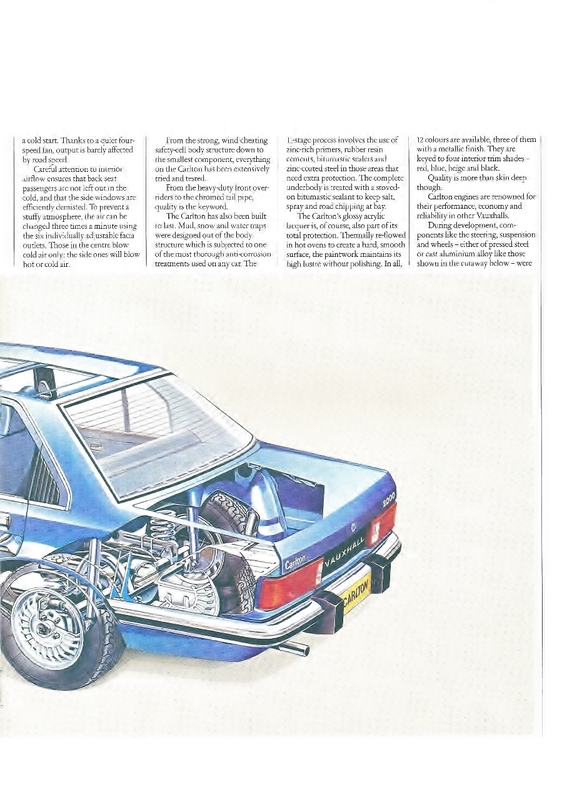 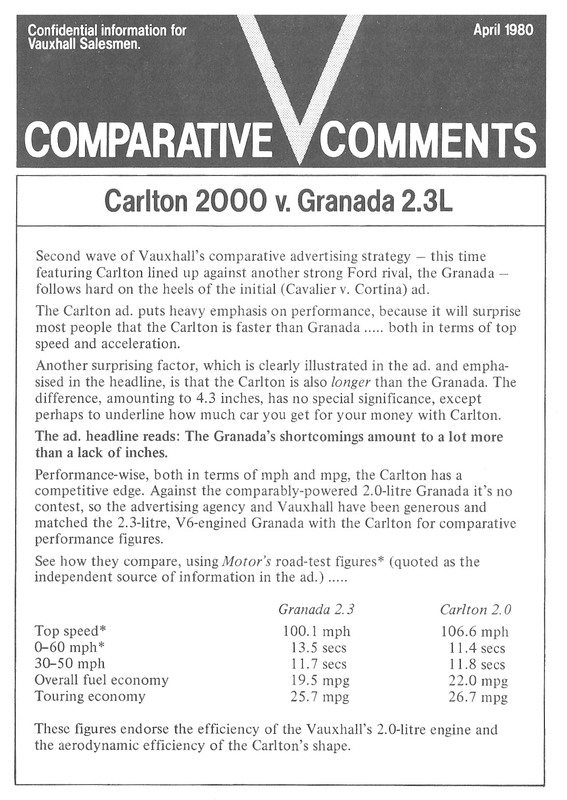 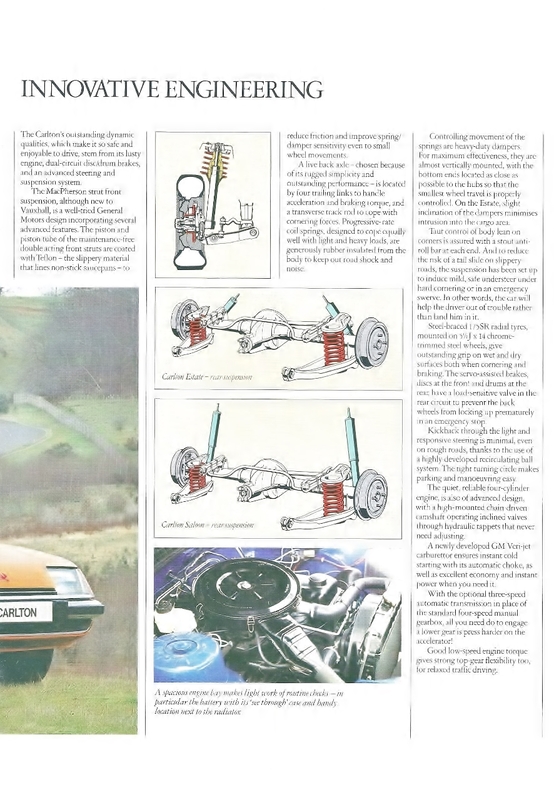 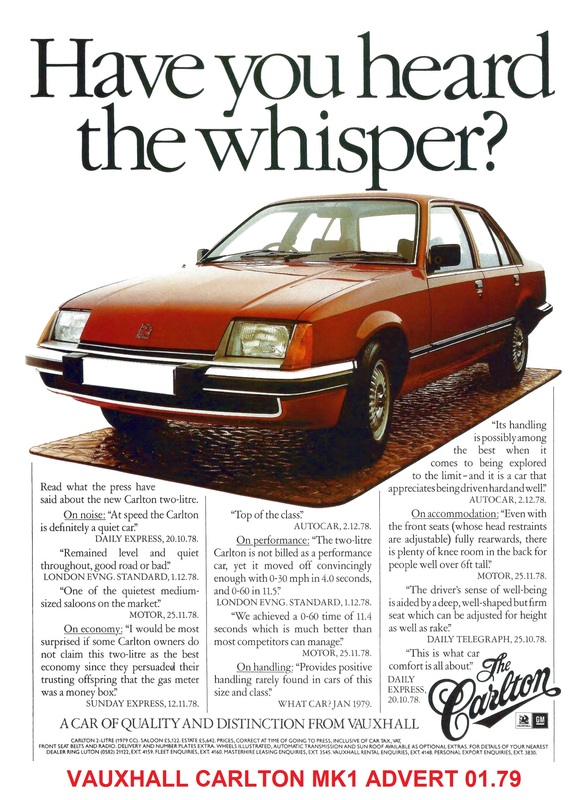 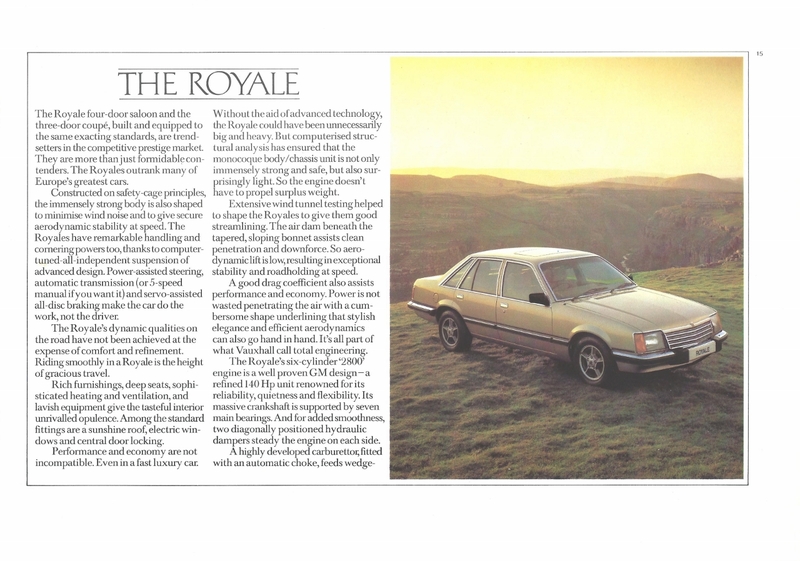 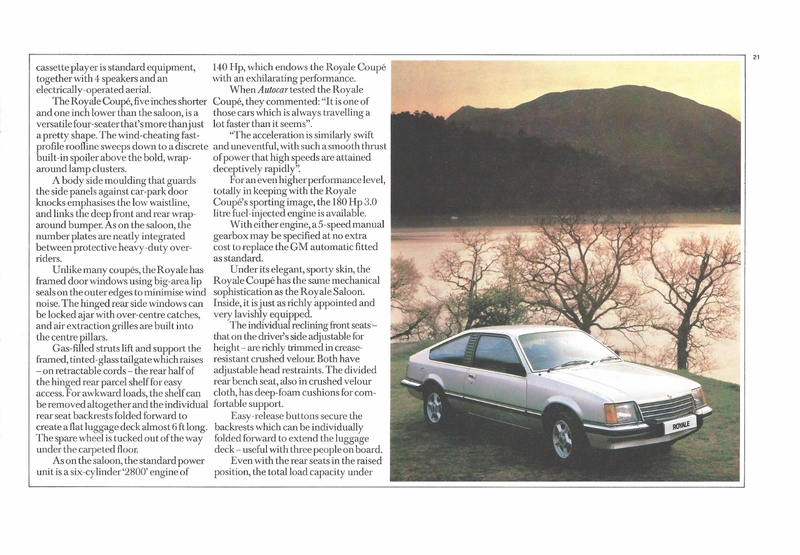 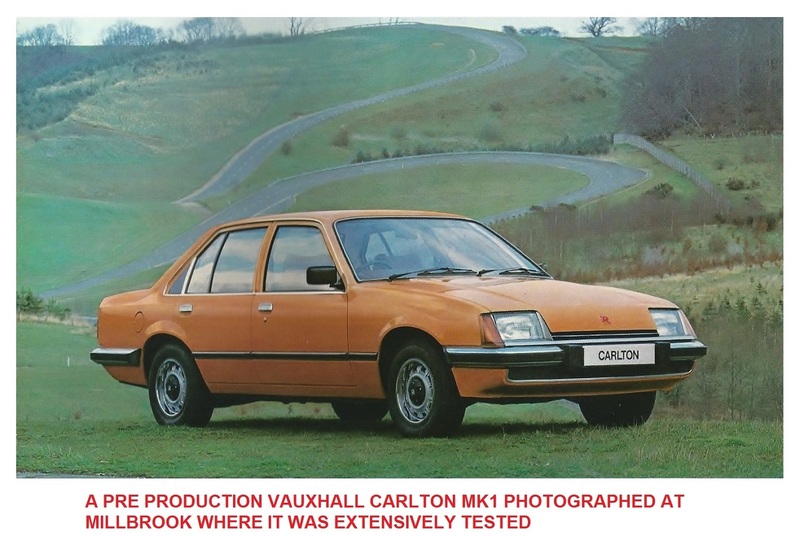 The result was the VX Series which turned out to be far more than a mild makeover and cost £4.5m. 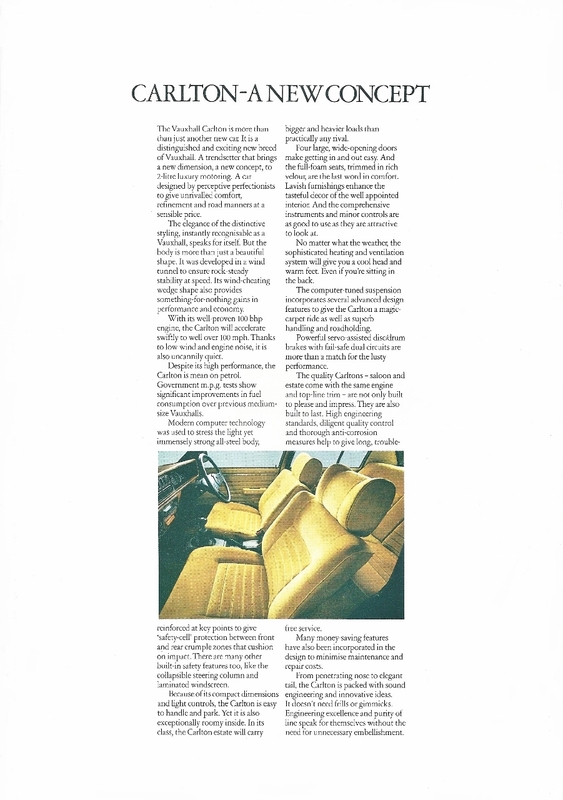 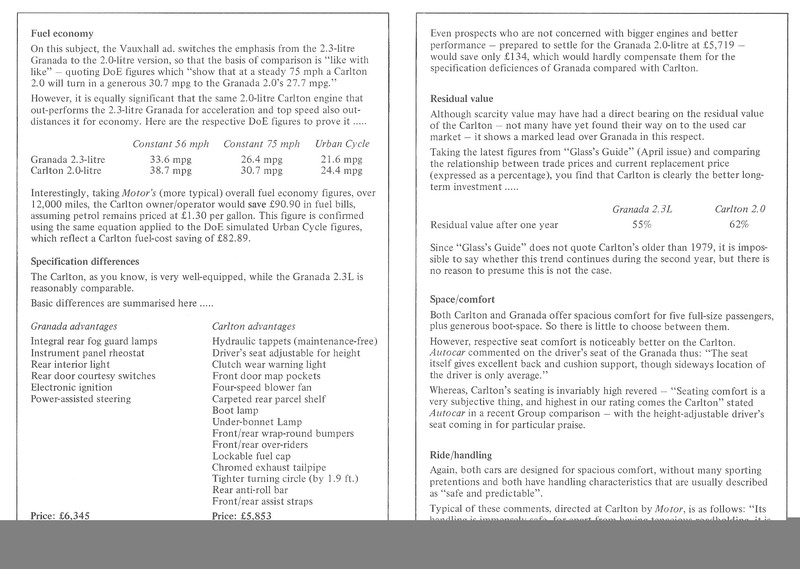 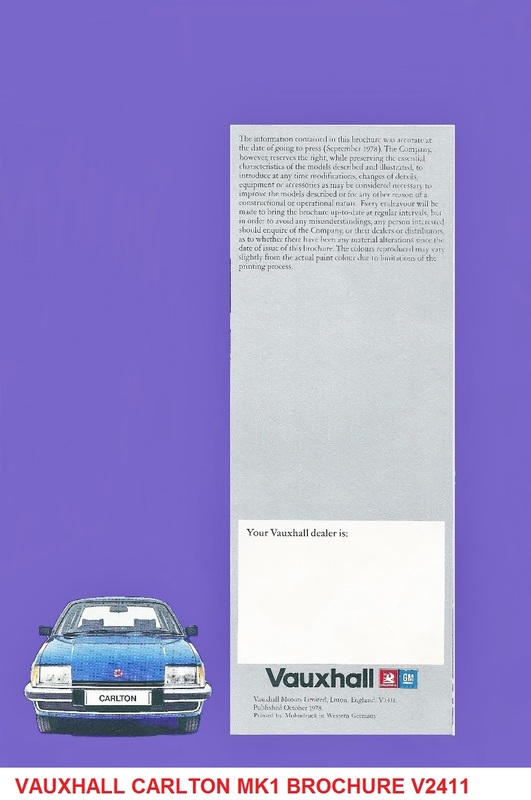 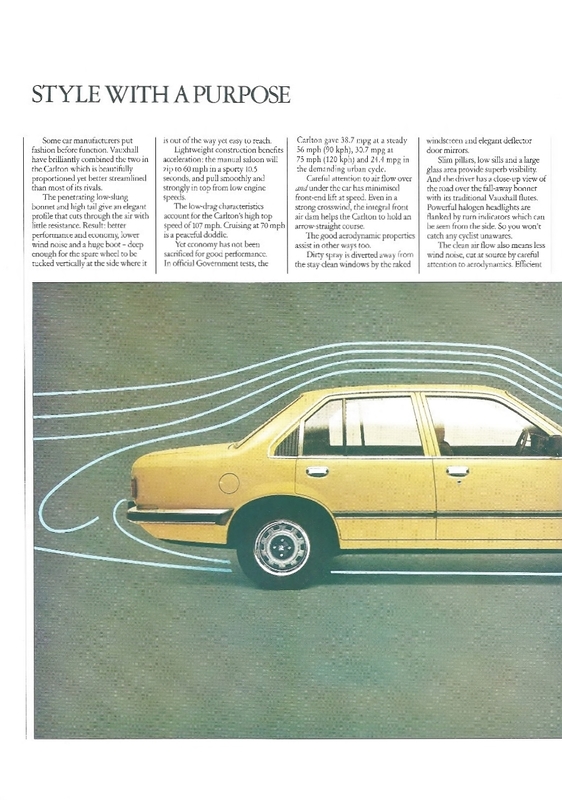 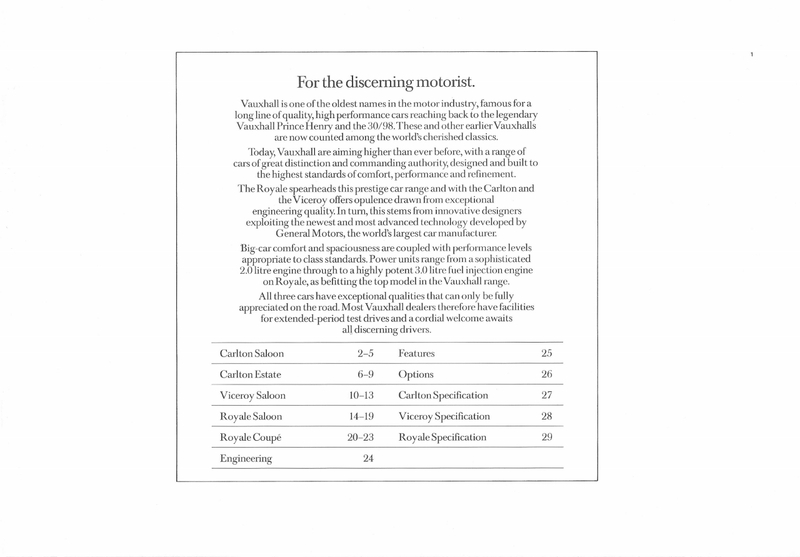 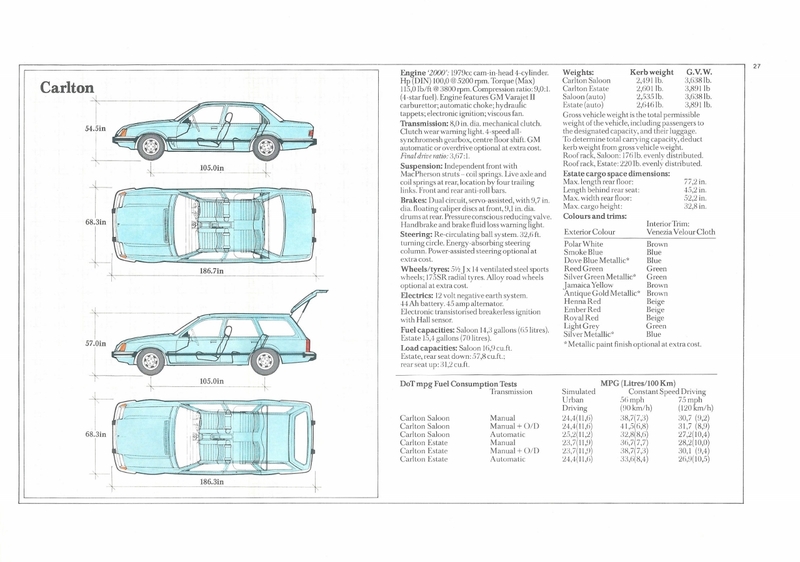 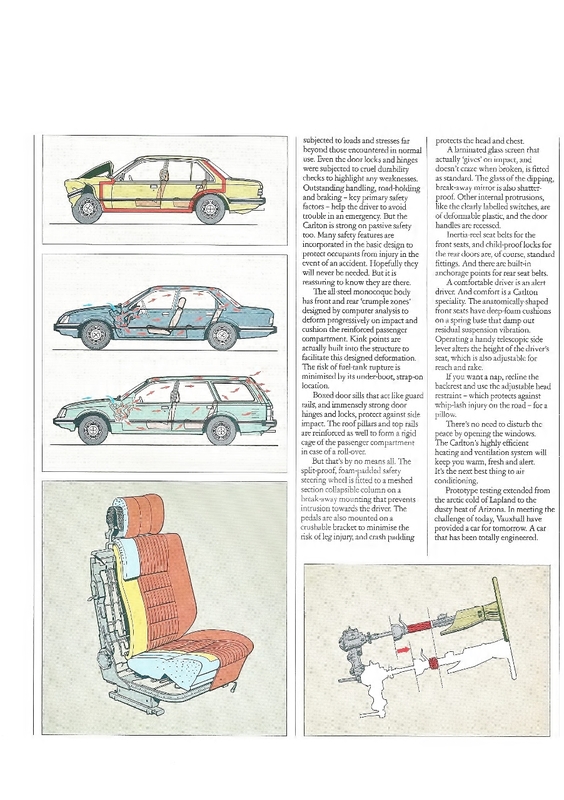 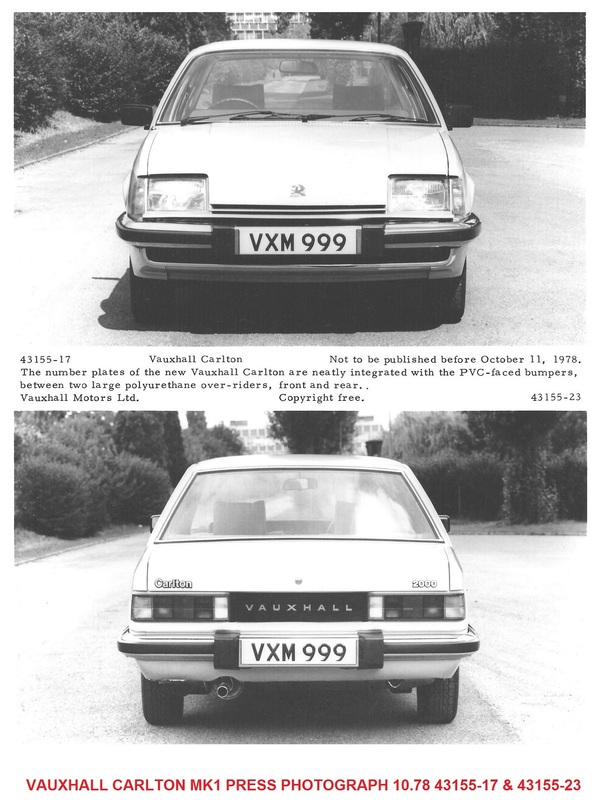 The update was not just cosmetic and included many engineering upgrades as well, the car was launched in February 1976 as the VX Series and was an effective stop gap measure until a totally new design replacement could be offered. 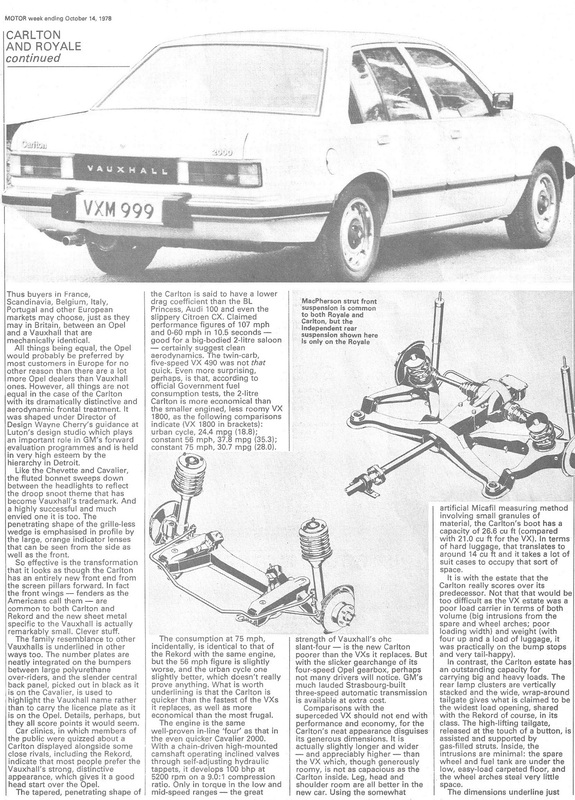 Bob Price was also very good friends with Bob Jankel at Panther Westwinds who not only made their own cars but were also specialists in prototype manufacture, in March 1975 Price gave the go ahead for Wayne Cherry to pen out a stretched version of the proposed FE VX 2300GLS and for Panther to build it. 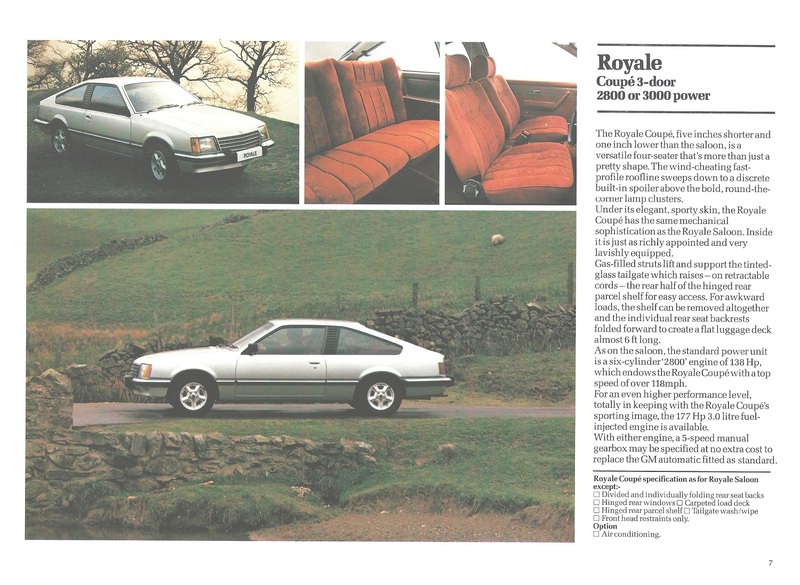 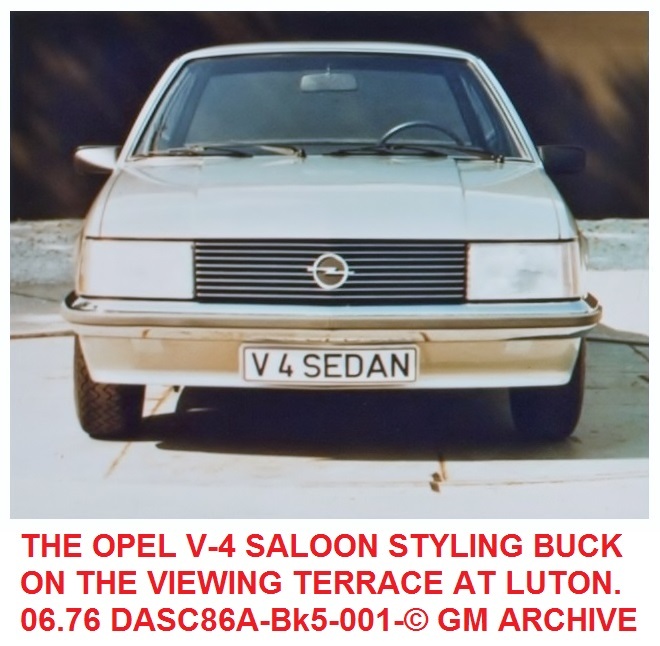 In the end two were made – one really only useful as a styling buck with a slightly different rear window line and the other a fully road going version which used the Opel 2.5litre CIH carburettor six cylinder engine from the Commodore B. 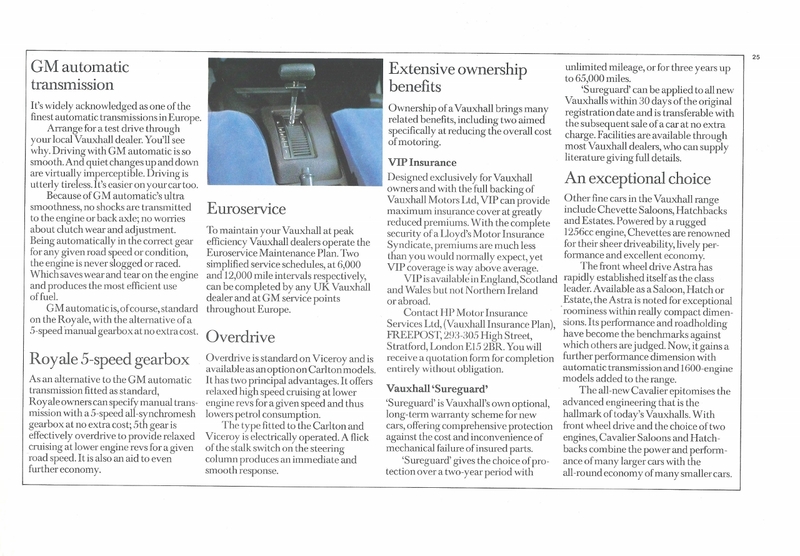 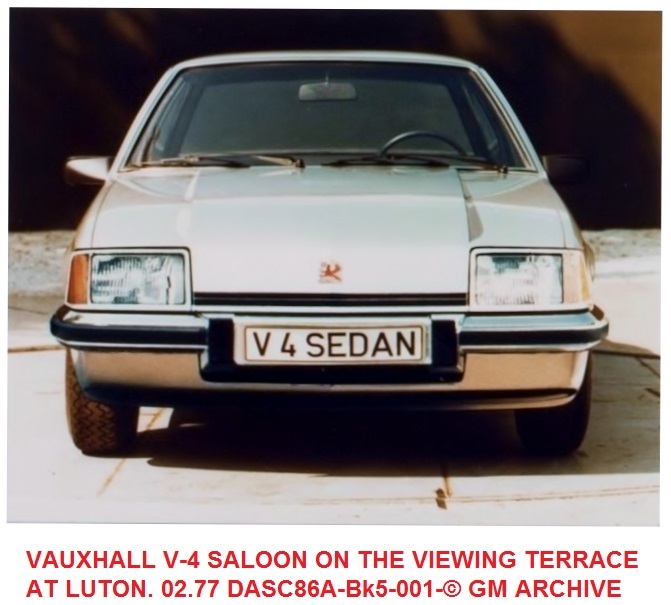 Cost constraints and also the likely market competitiveness meant that further development of the FE was cancelled, the one roadgoing car was used as limousine transport by Vauxhall Motors for a time picking up VIP guests from Luton Airport until I owned it for a while! 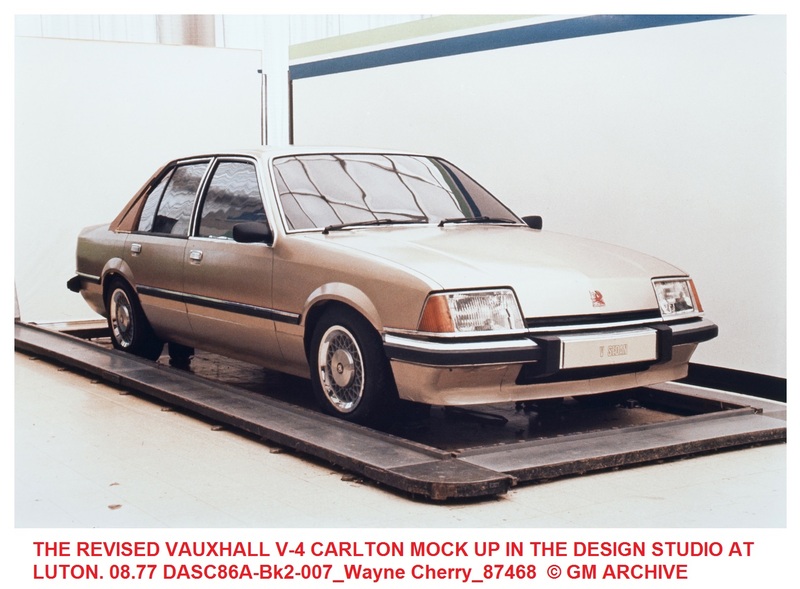 The other option considered was a hatchback model based on the GM V-4 Platform, this Concept is detailed in a seperate section of vauxpedia. 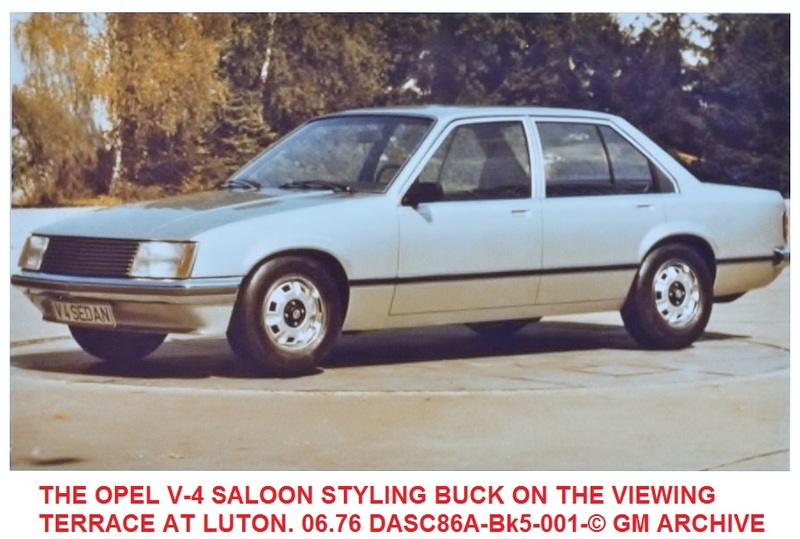 A second, cheaper project, was started and involved a major revision to the standard size FE using a droop snoot front end – look carefully in the picture to the left and you will see the slanted front end with different wings and also note the different front and rear bumpers and accented window line. 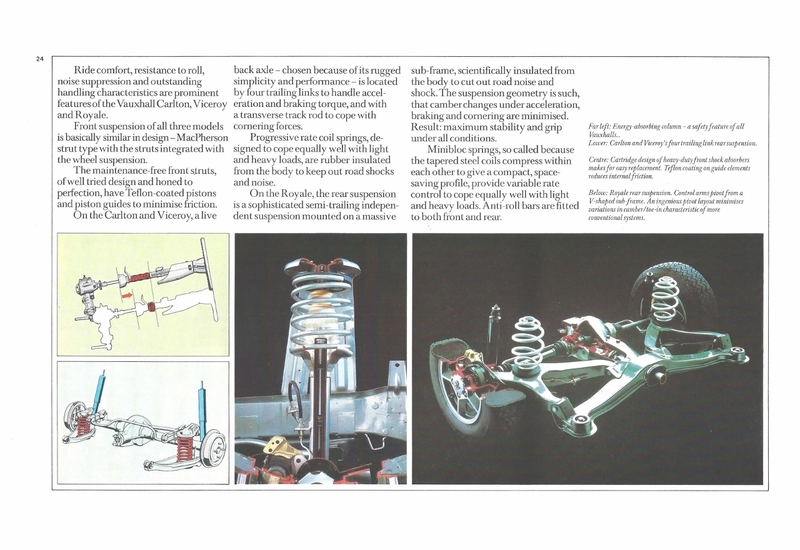 It also used some suspension components from the Rekord E. However, by now time was running short and there were doubts that the FE’s overall look would survive for very long against the upcoming competition from Ford and BL. 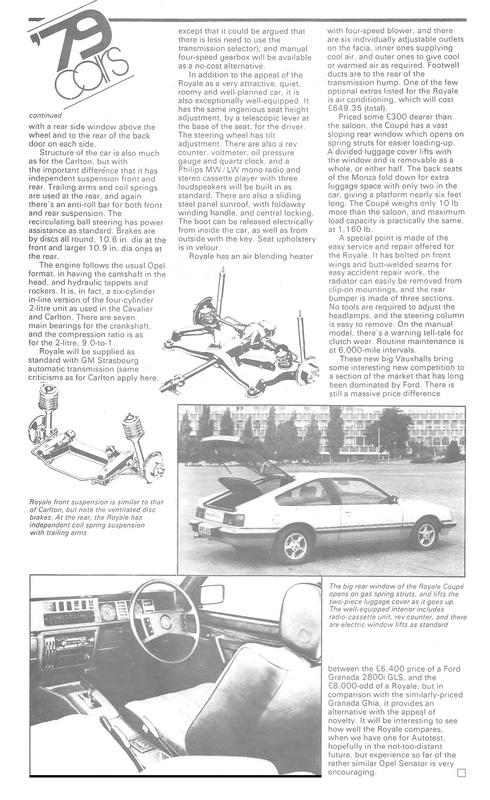 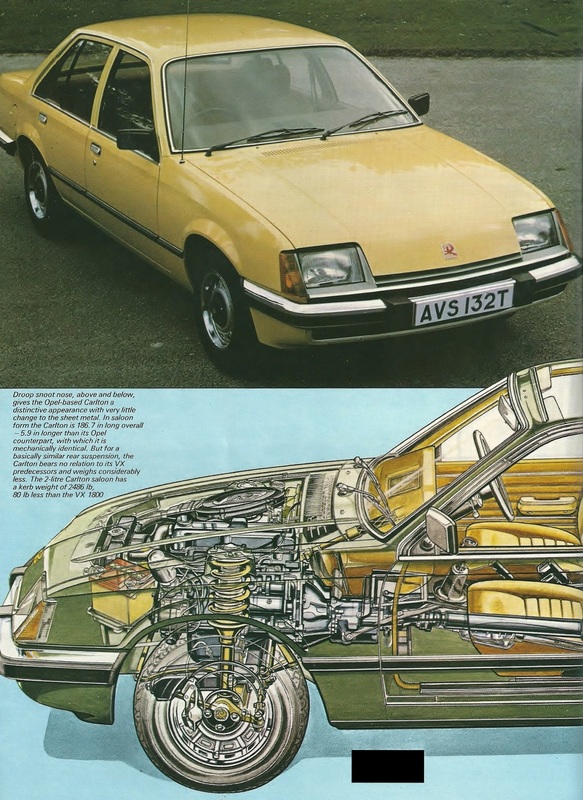 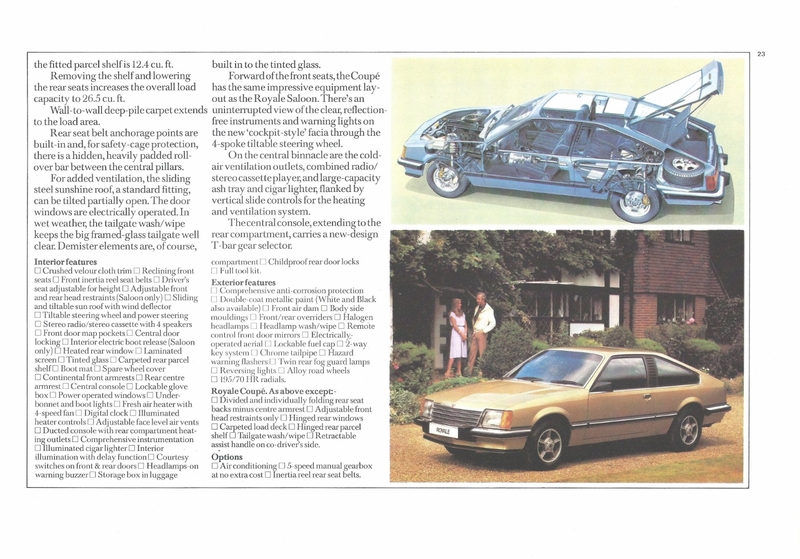 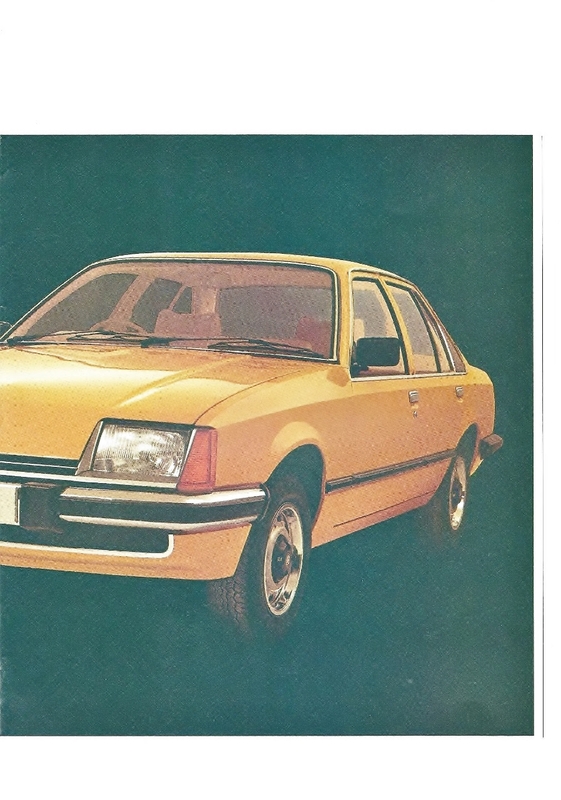 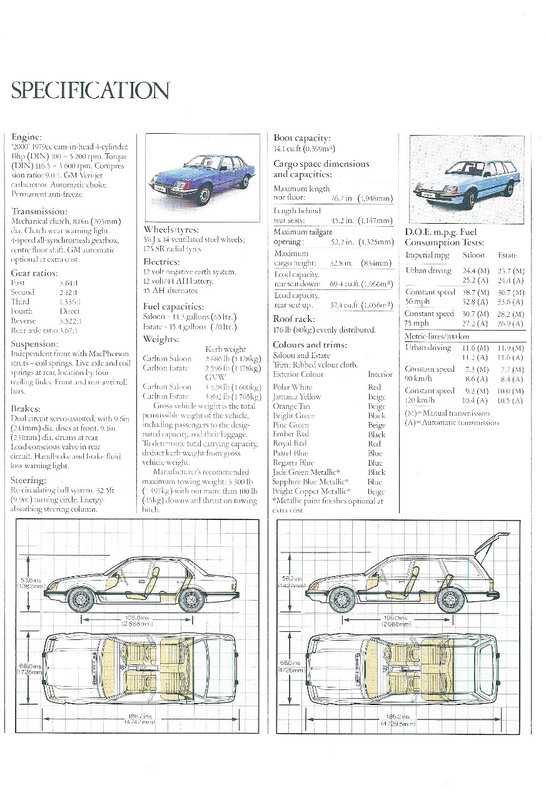 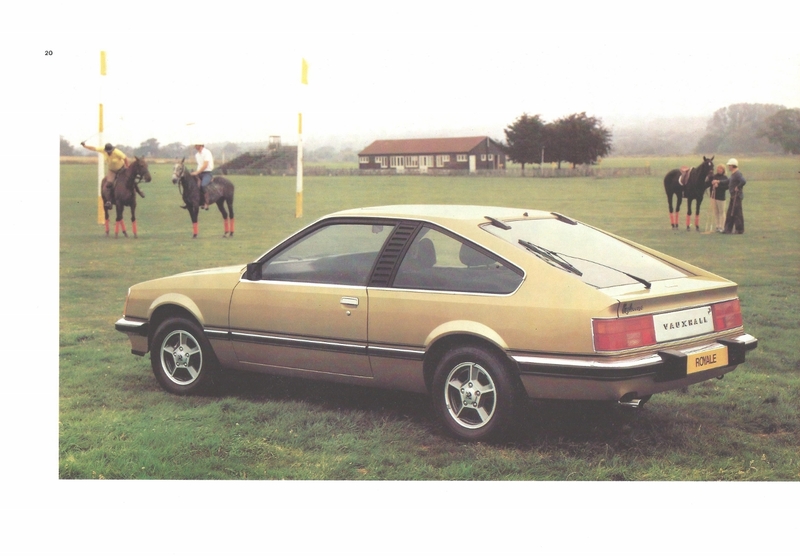 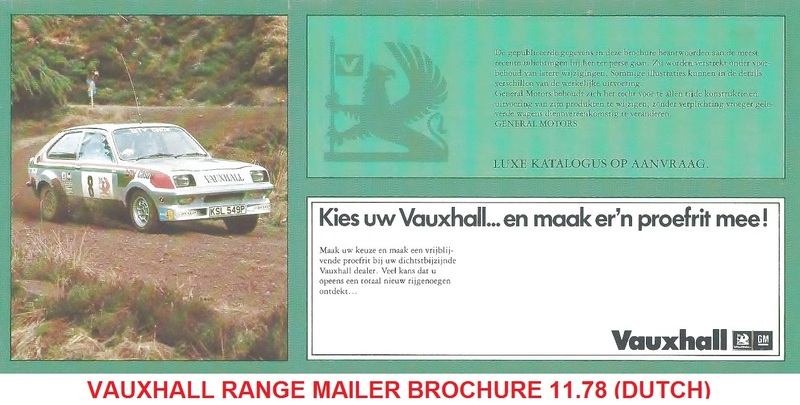 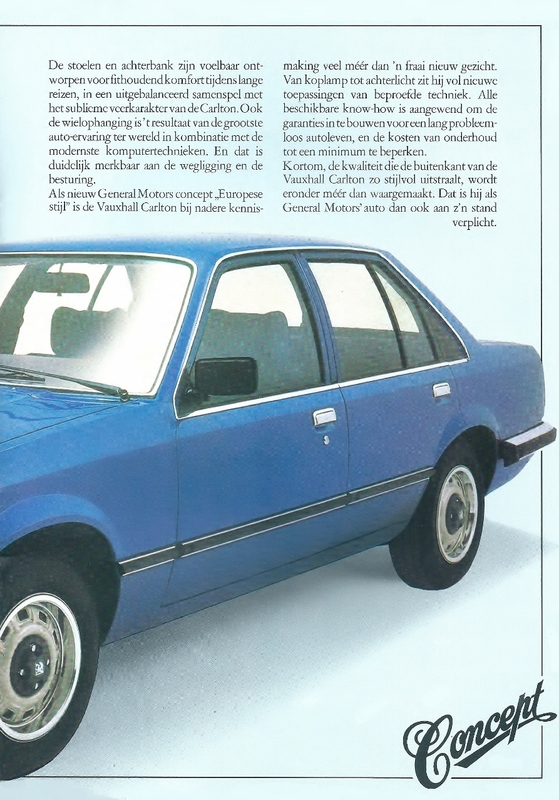 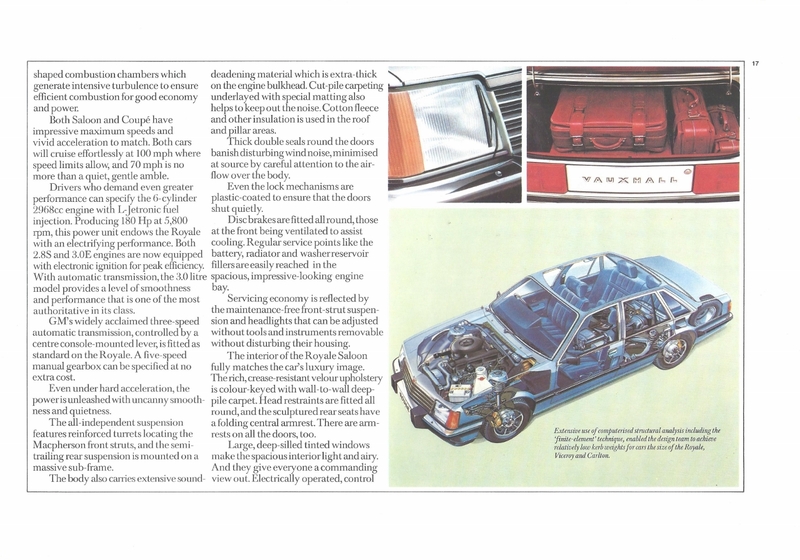 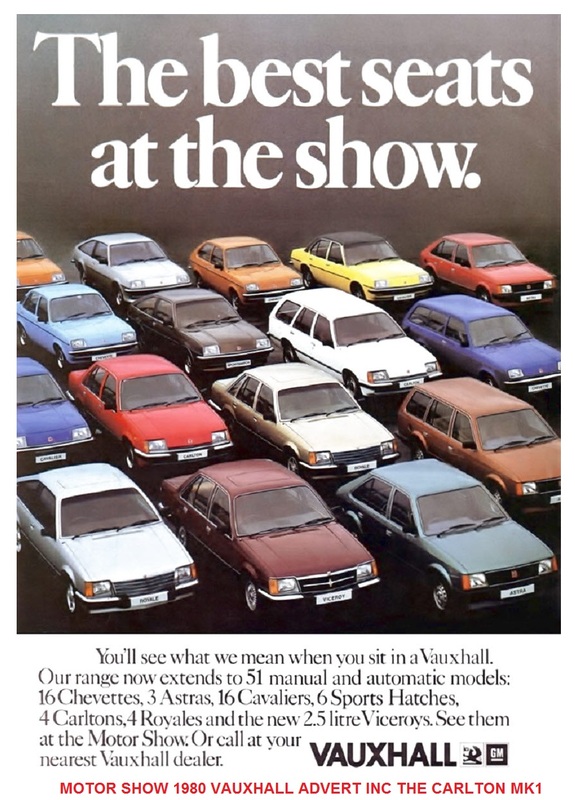 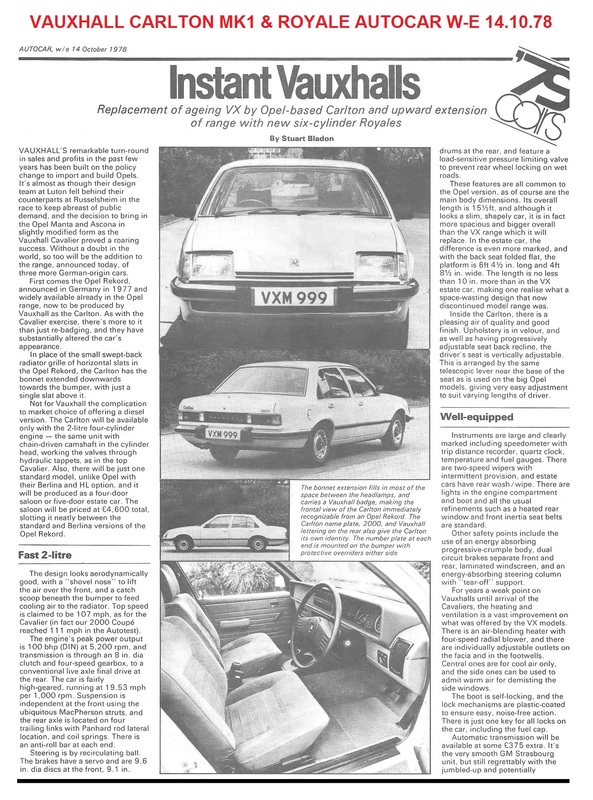 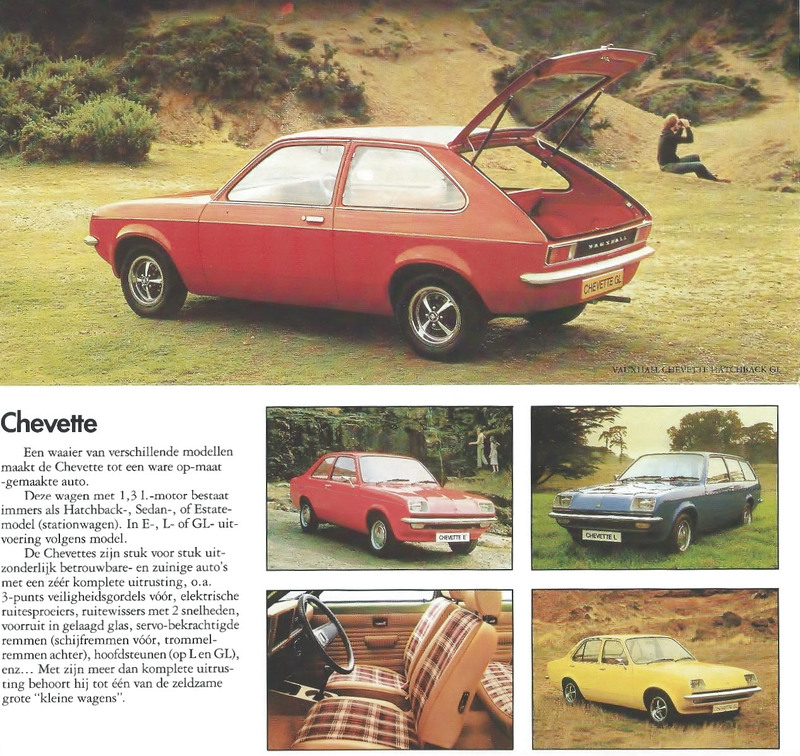 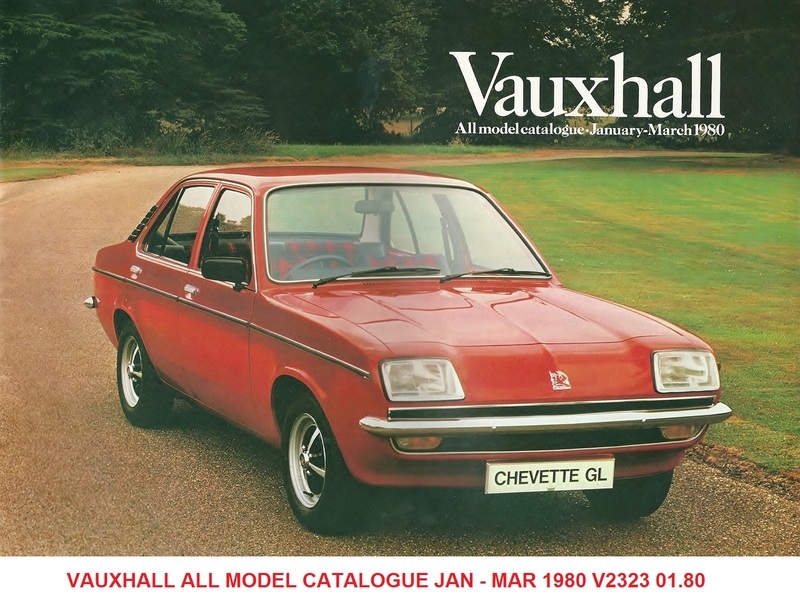 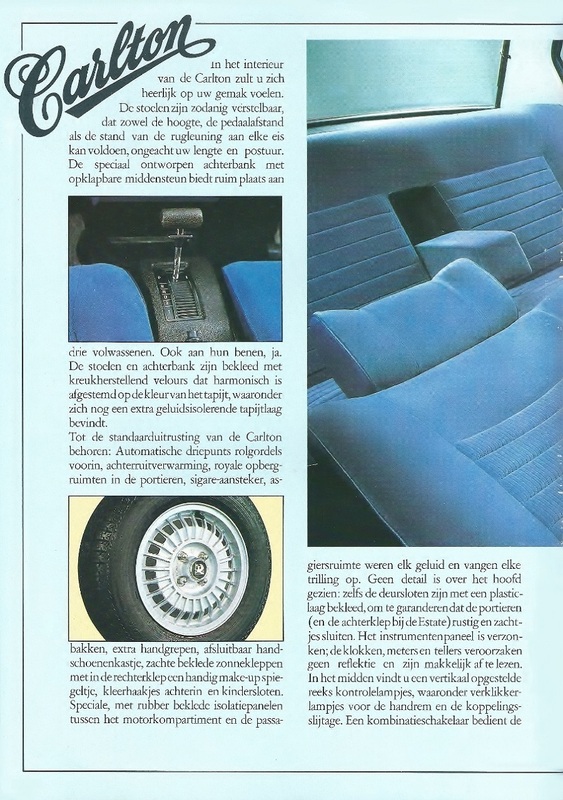 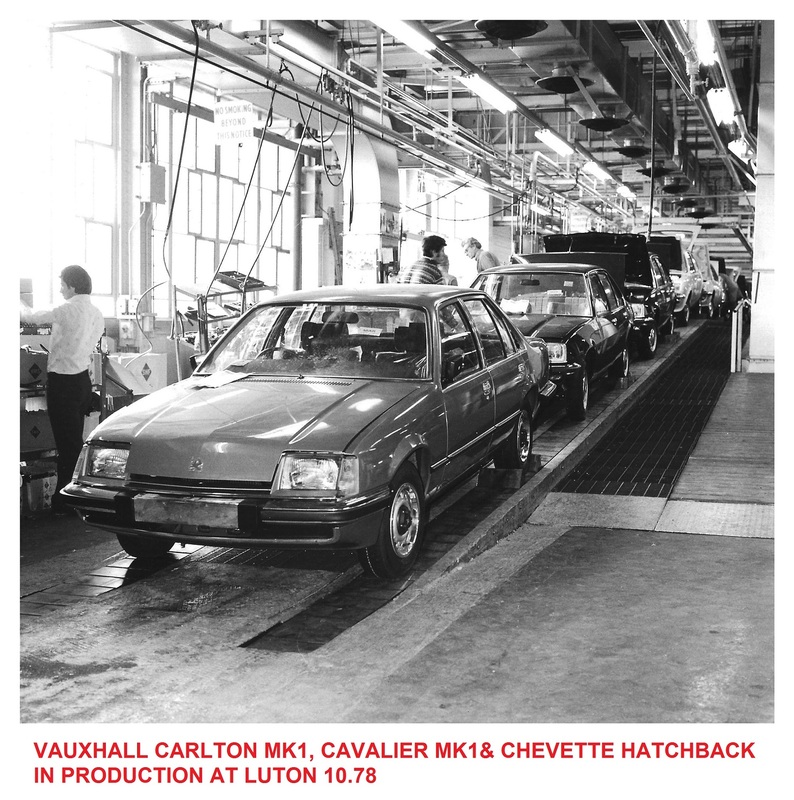 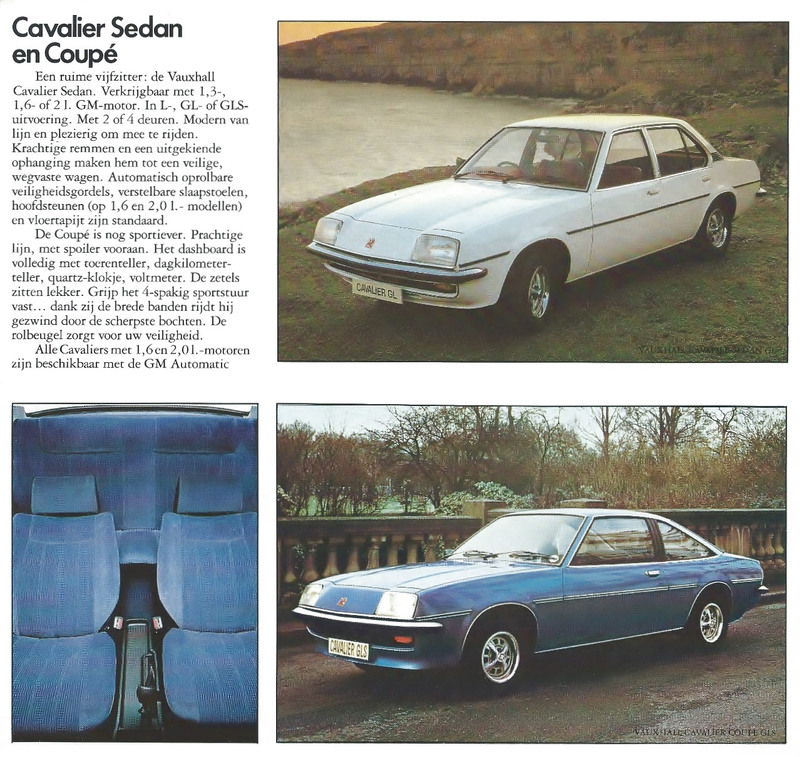 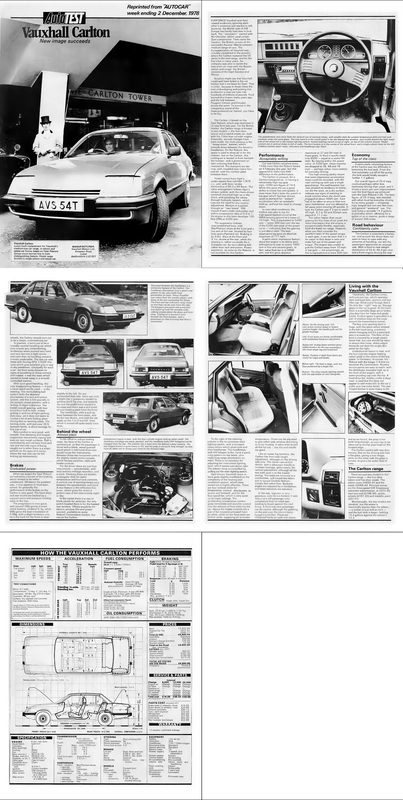 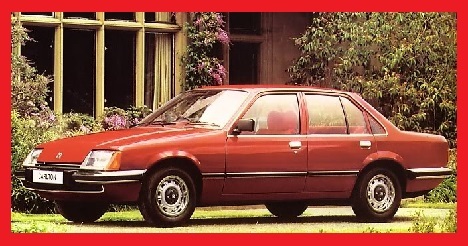 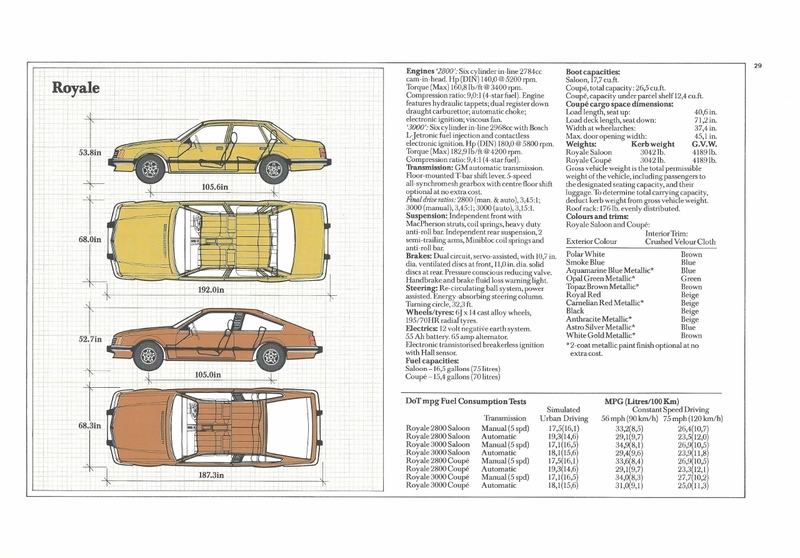 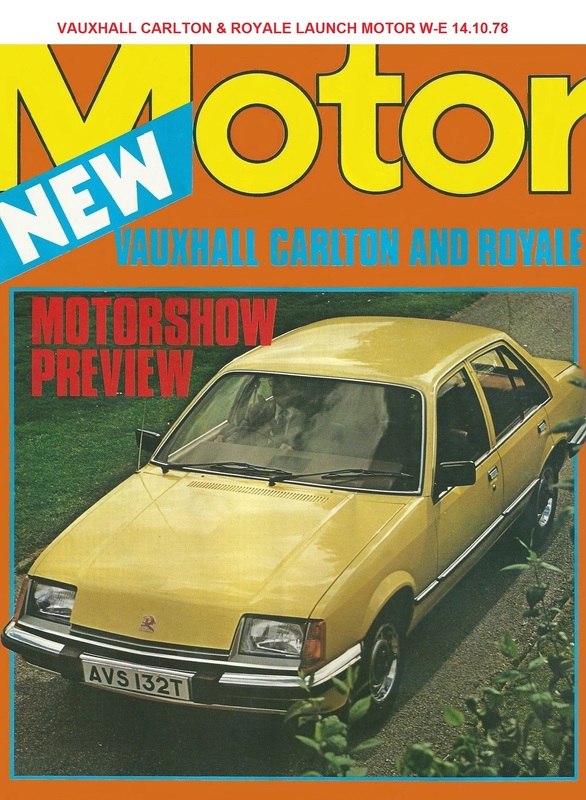 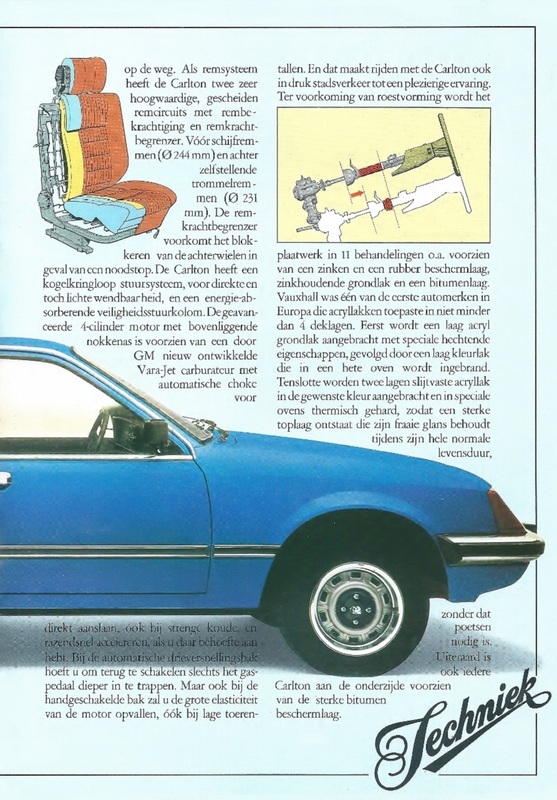 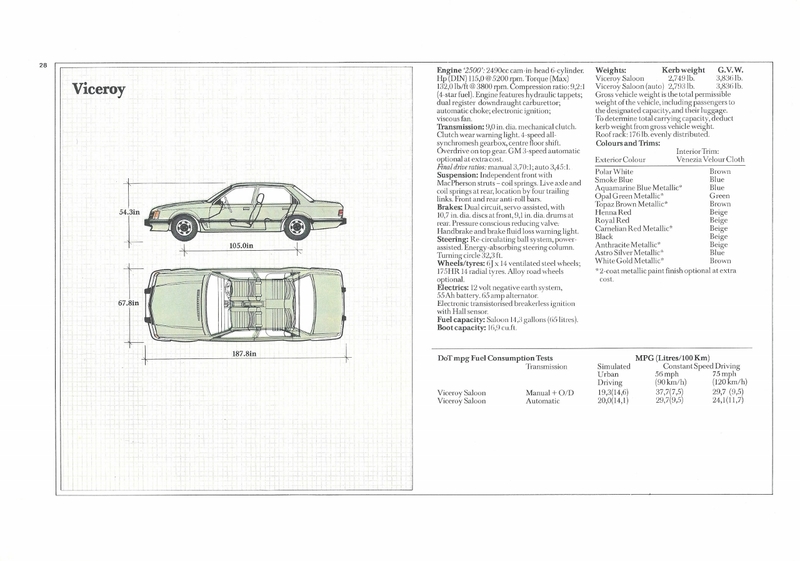 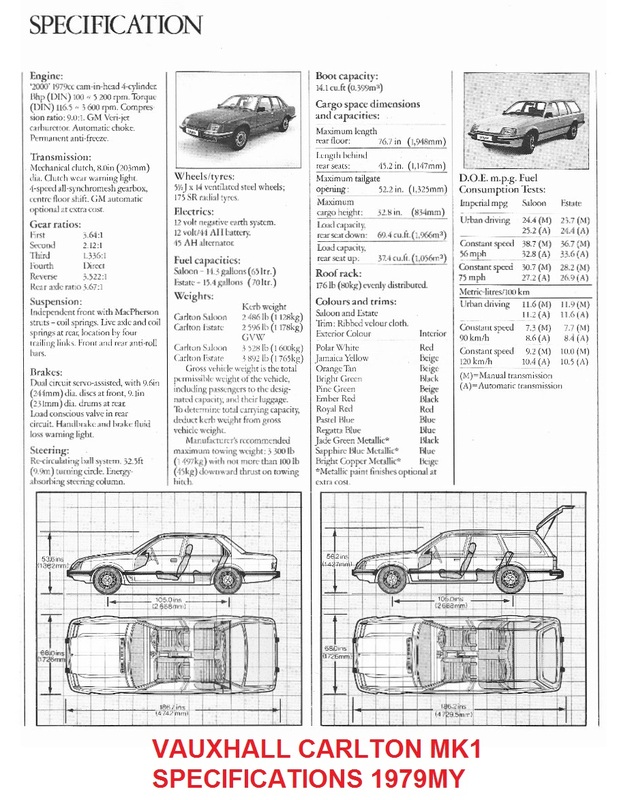 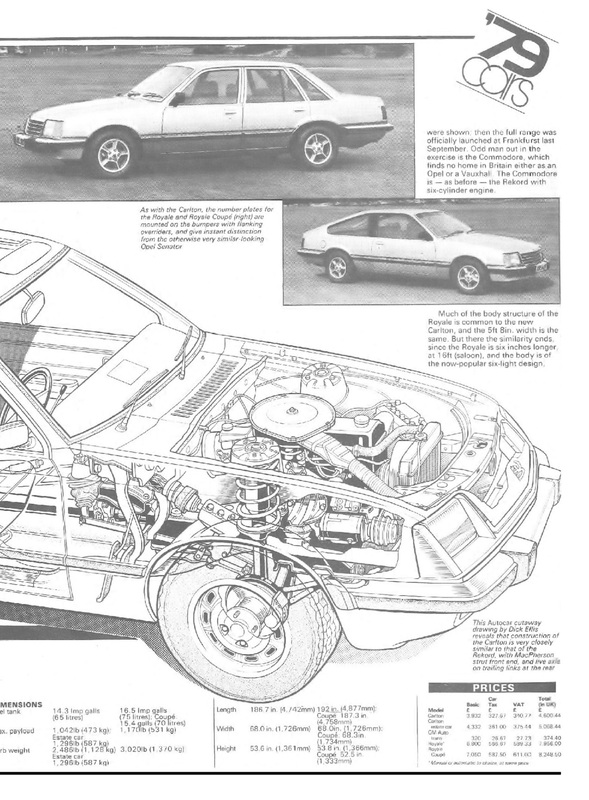 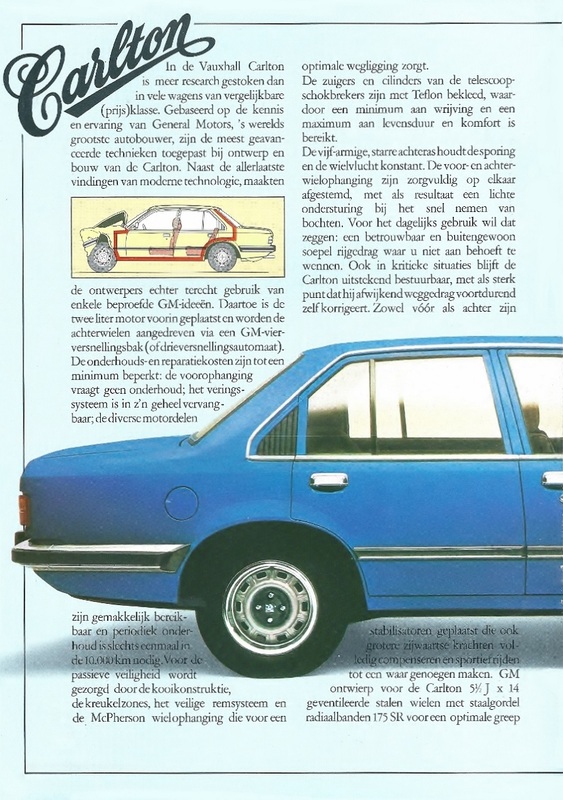 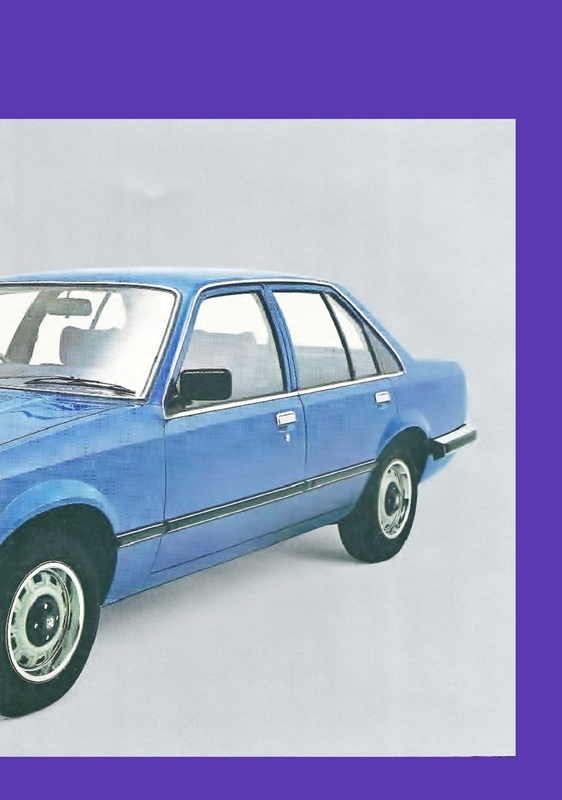 The “Vauxhallised” versions of the Kadett C and Ascona / Manta B had proven to work as the Chevette and Cavalier so in March 1976 the plan was now to use the General Motors V car platform that Opel were developing for the new Rekord E and suitably modify it for Vauxhall’s own requirements. 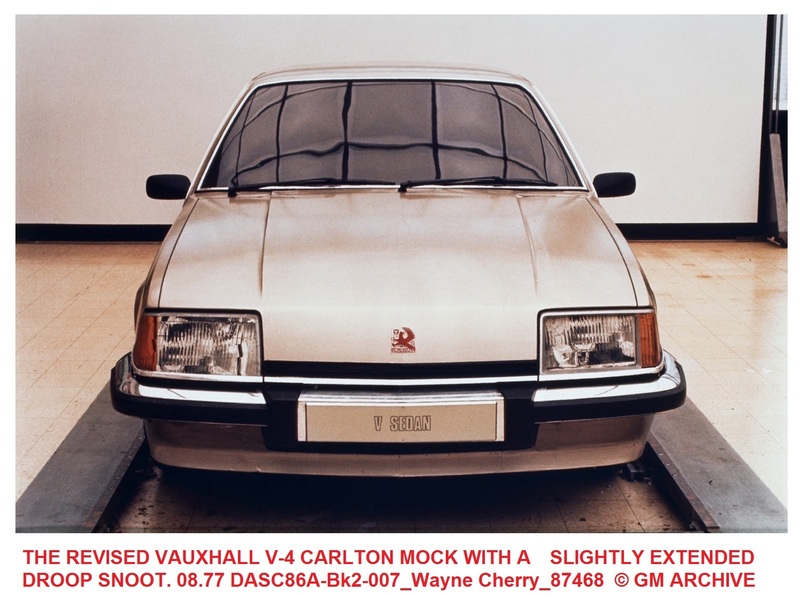 Wayne Cherry’s design team reworked the droop snoot for the front end and slightly modified the rear whilst the interior had a unique dashboard using Opel instruments and switchgear in a single piece moulding that made it easy to LHD. 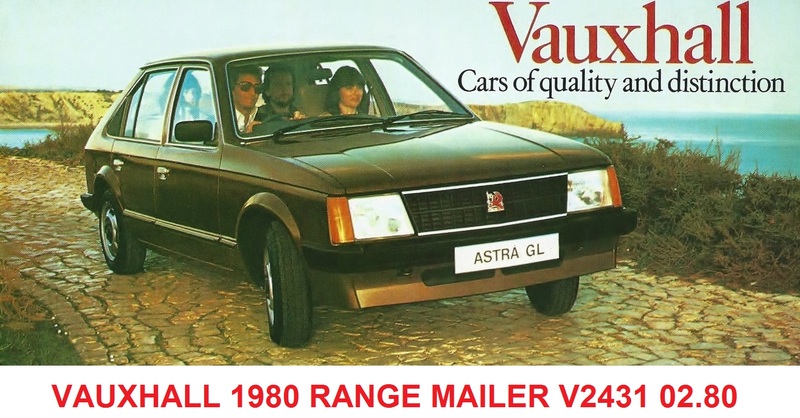 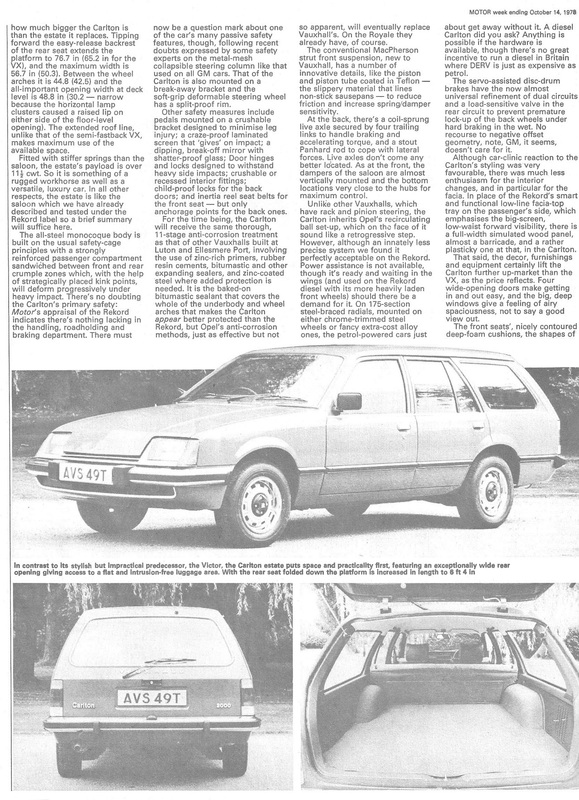 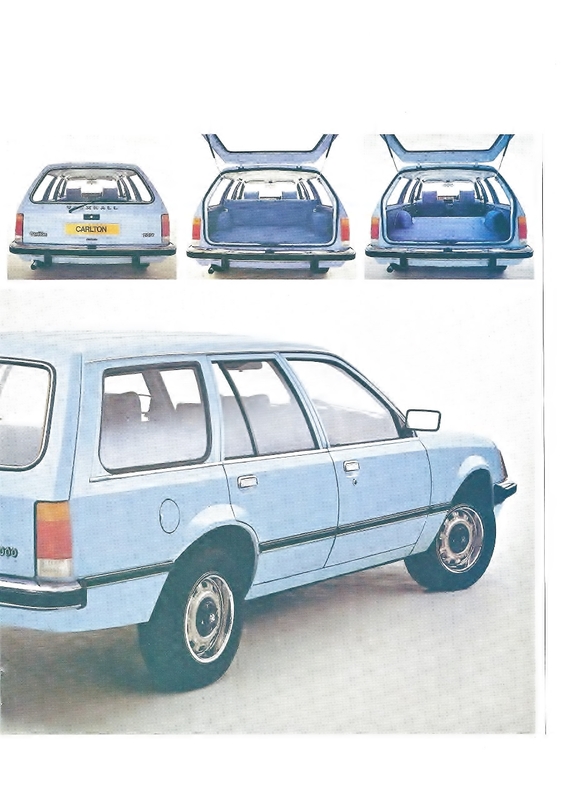 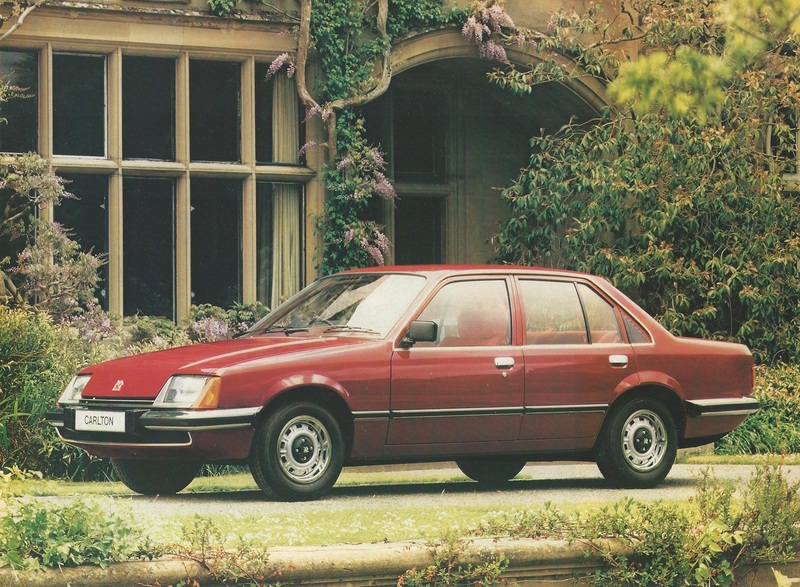 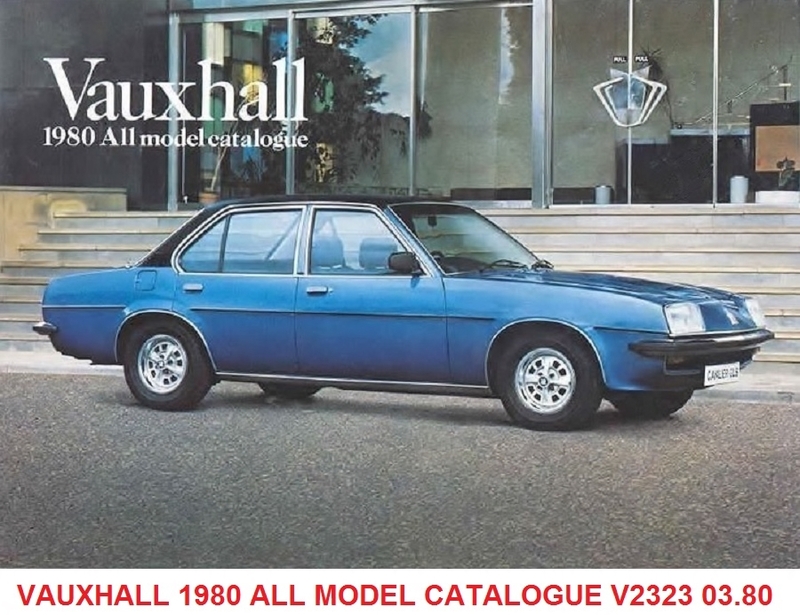 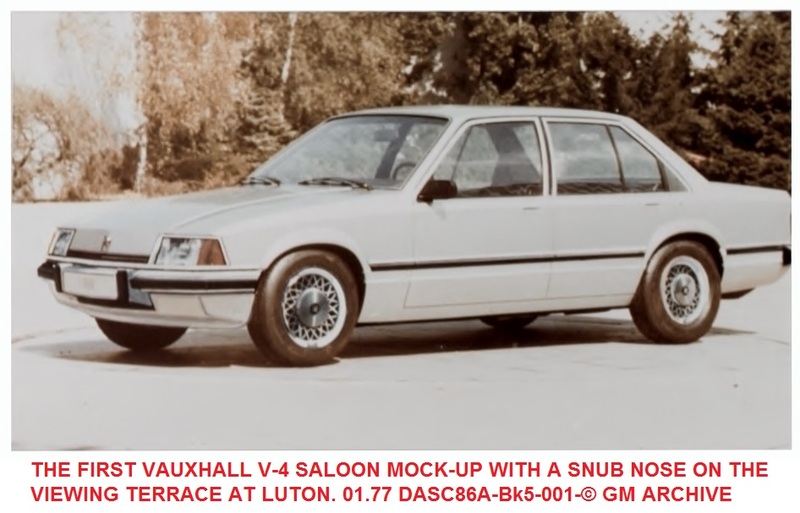 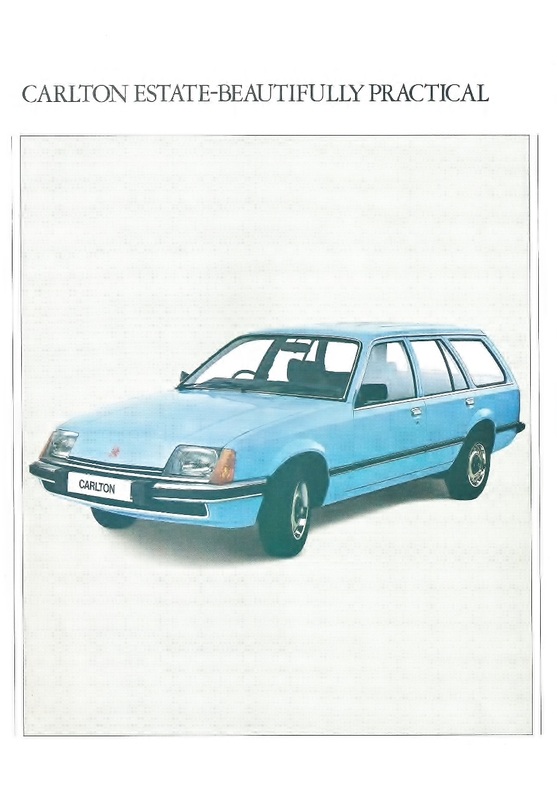 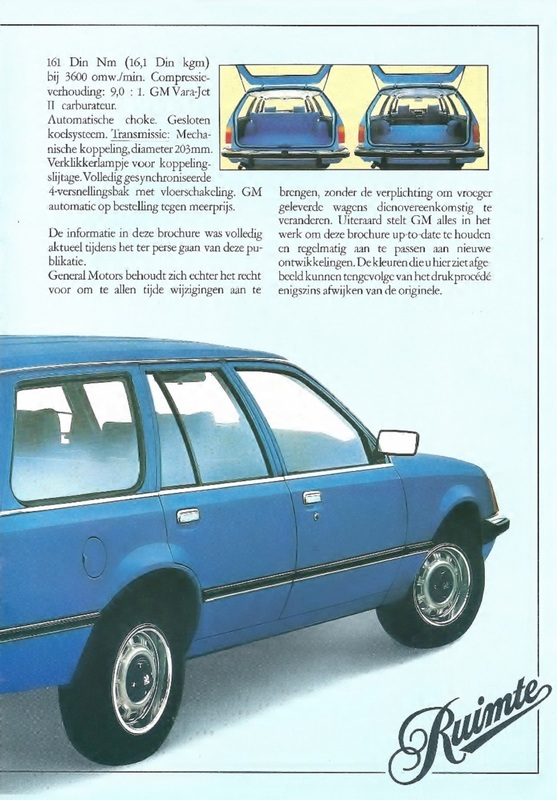 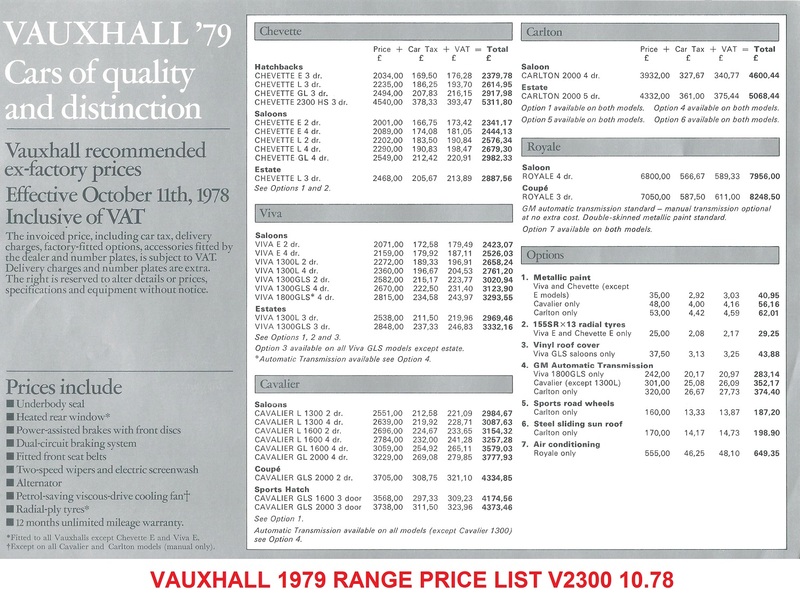 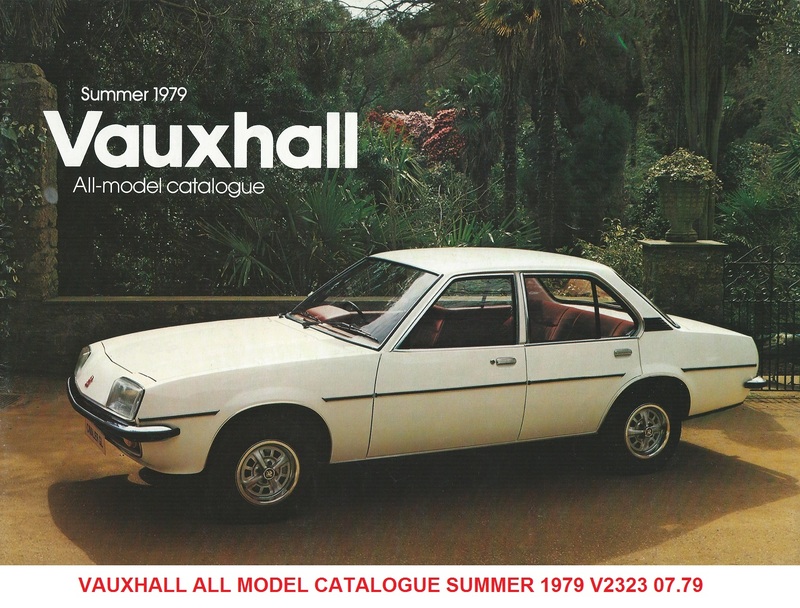 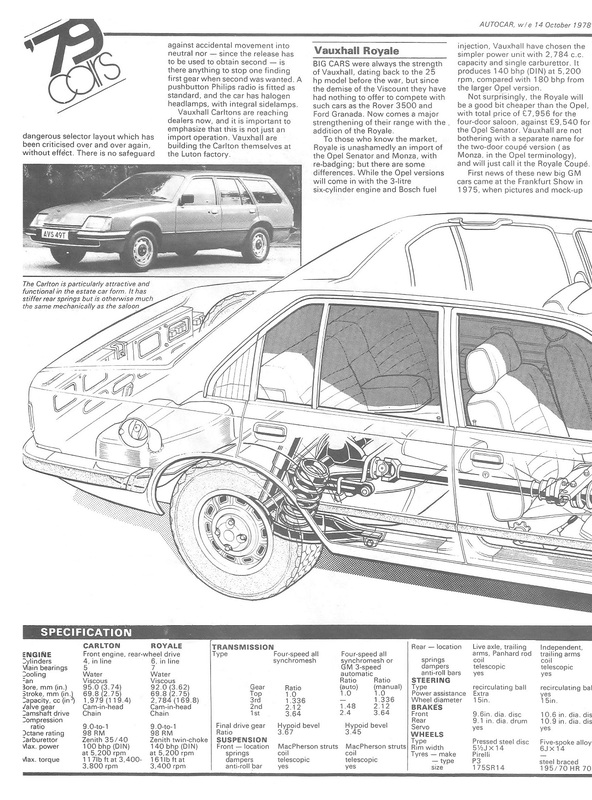 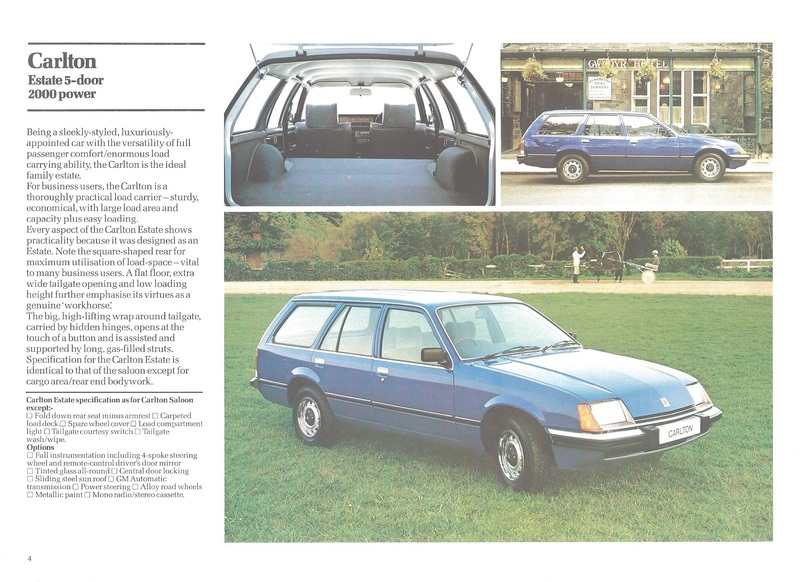 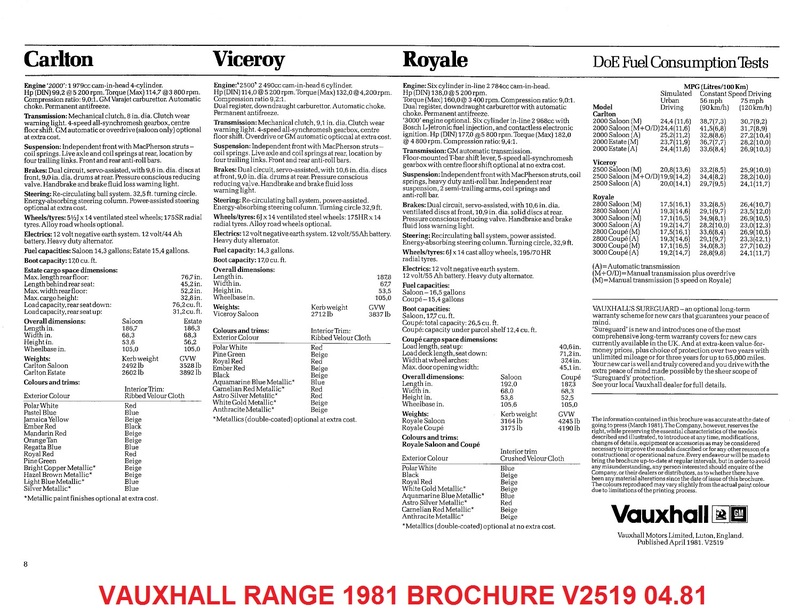 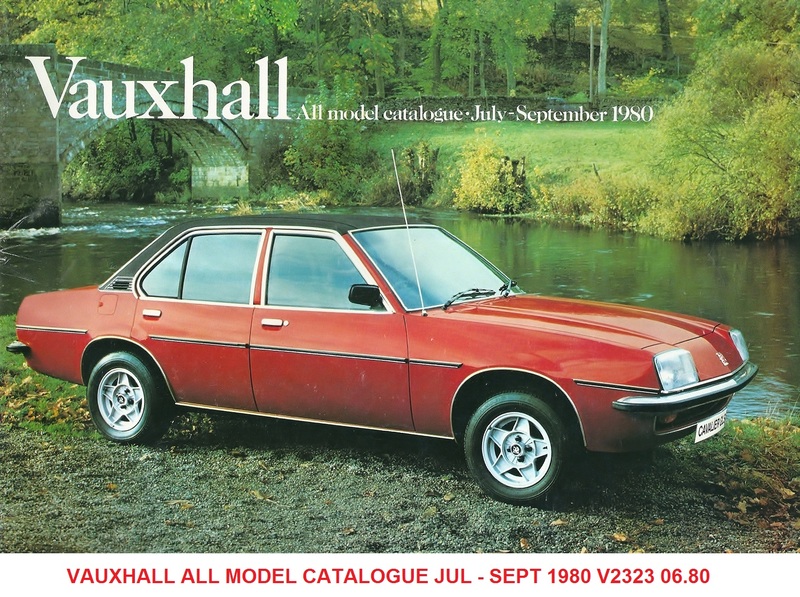 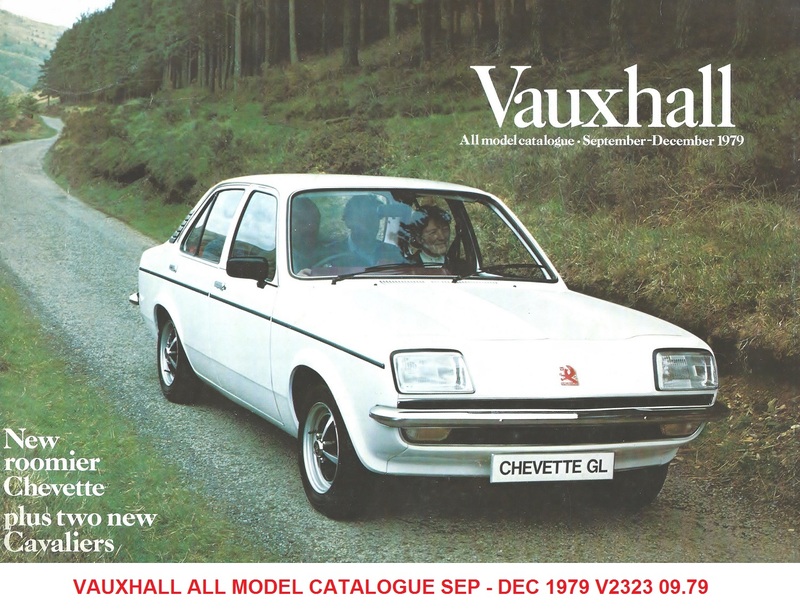 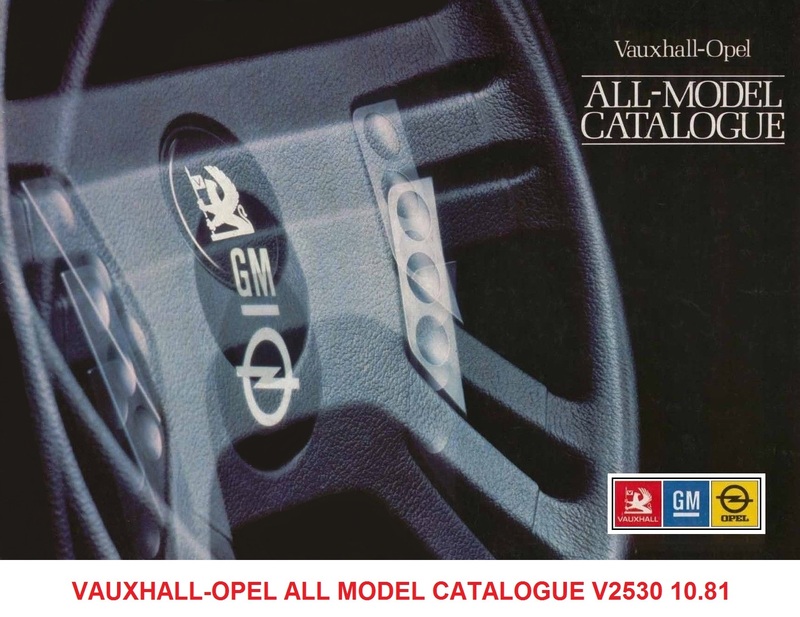 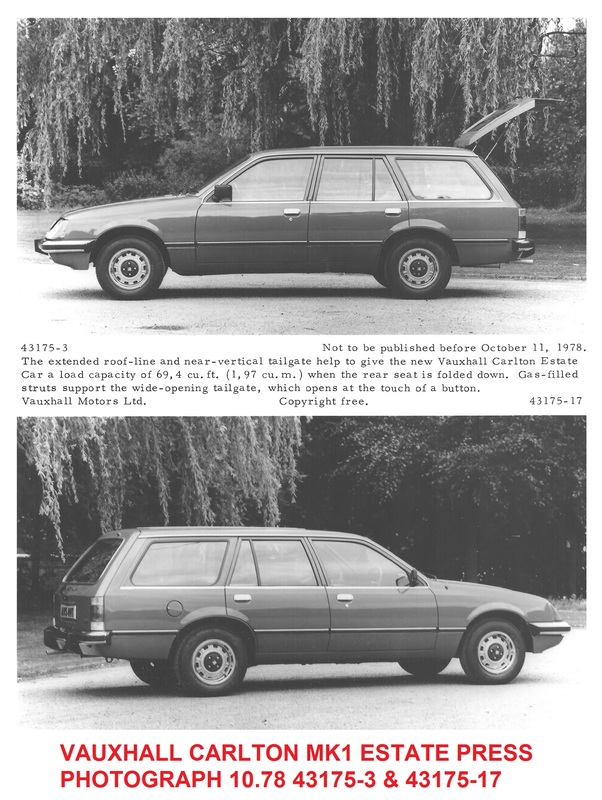 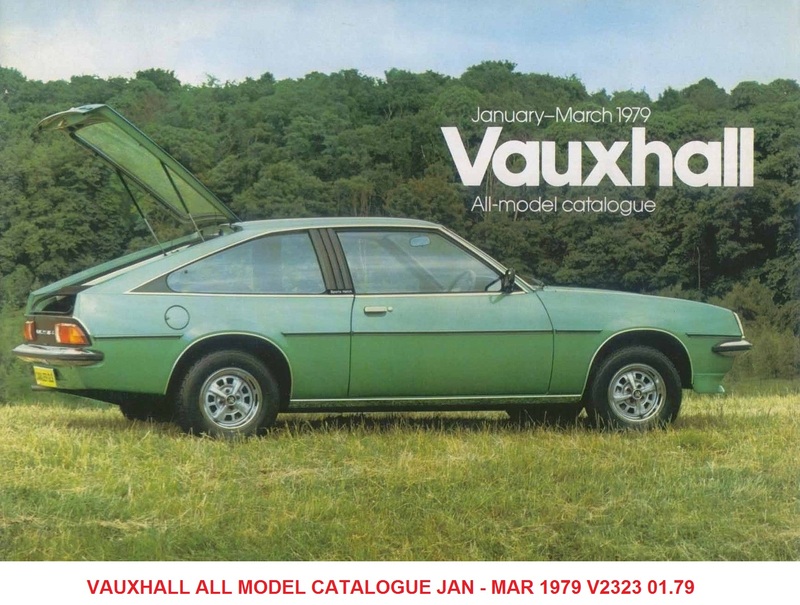 Initial plans were for a 4door Saloon and an Estate using the 1700cc and 1900cc Opel CIH engines and a 2100cc diesel all in three trim levels – L, GL and GLS following the established Vauxhall trim bands and covering what the VX had offered with the exception of the diesel. 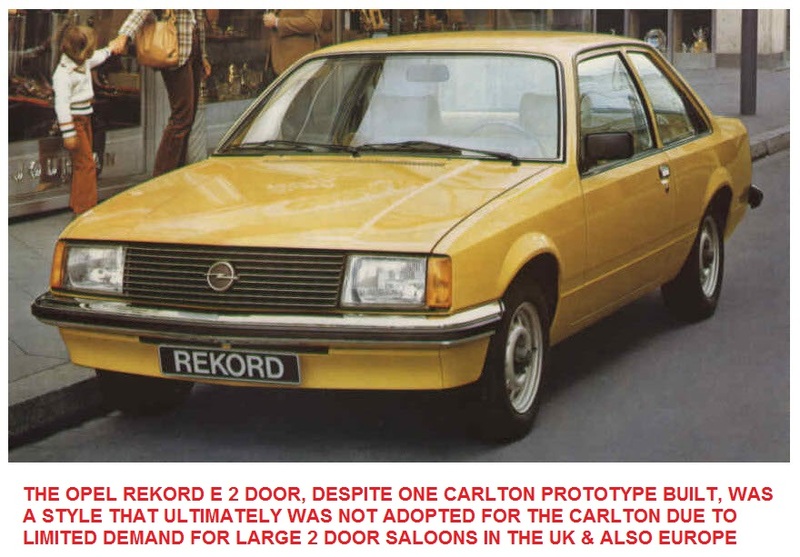 Opel were to offer a 2 door saloon version of their Rekord and one Carlton was built using this body but the market for large 2 door saloons was tiny in the UK and was dwindling in Europe as well so as a Carlton it was dropped. 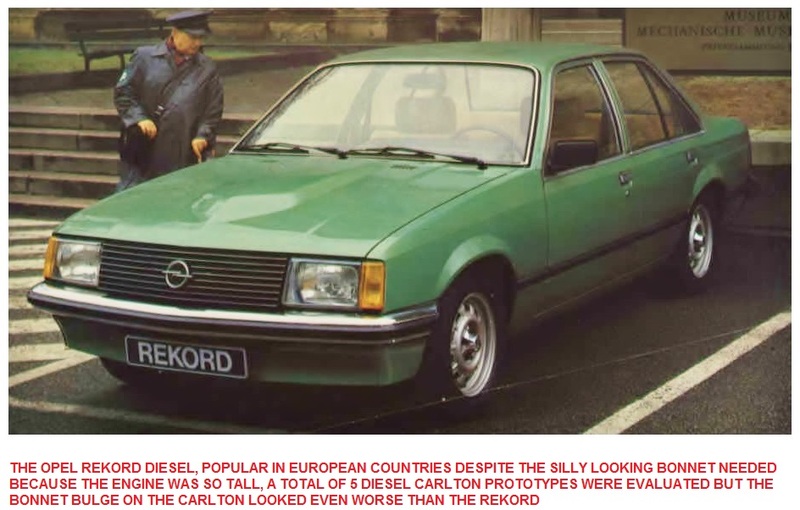 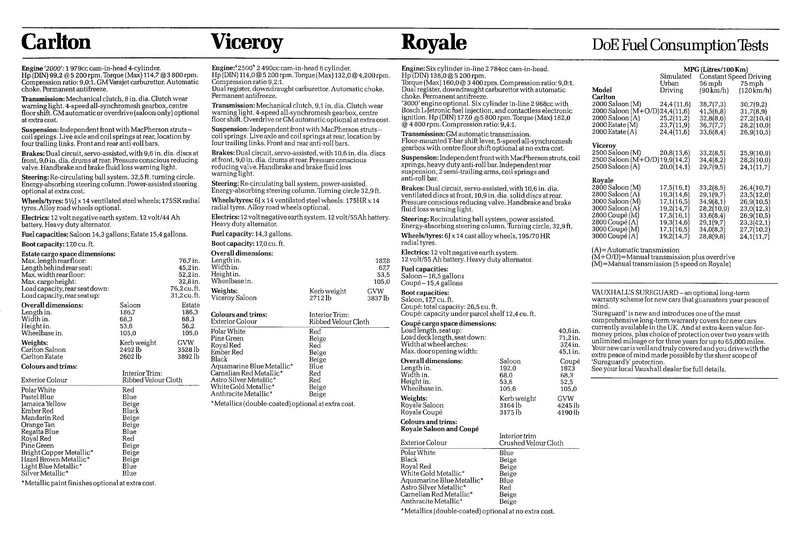 A total of five diesel prototypes were built for evaluation and, unlike the early mock-ups, required a huge bulge in the bonnet which looked even sillier than it did on the Rekord and also the diesel market in the UK was still very small but it appears there was some interference from Opel at this point. 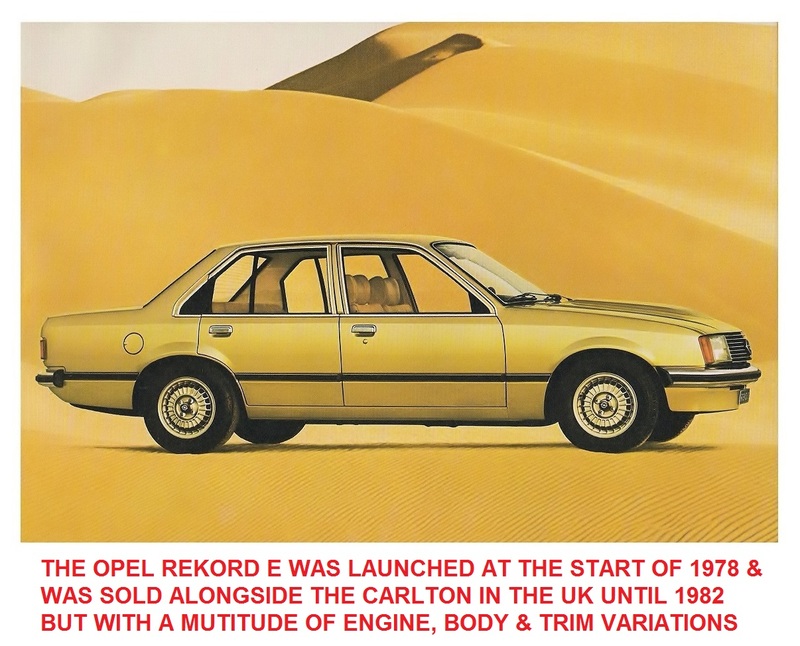 Opel at the time were selling across Europe and in UK and they wanted to ensure that in terms of price and equipment the Carlton fitted in-between corresponding Rekord derivatives so as a result the Carlton was launched with one engine, the new 100bhp 2 litre CIH, and one trim level – it was never even given an L or GL badge. 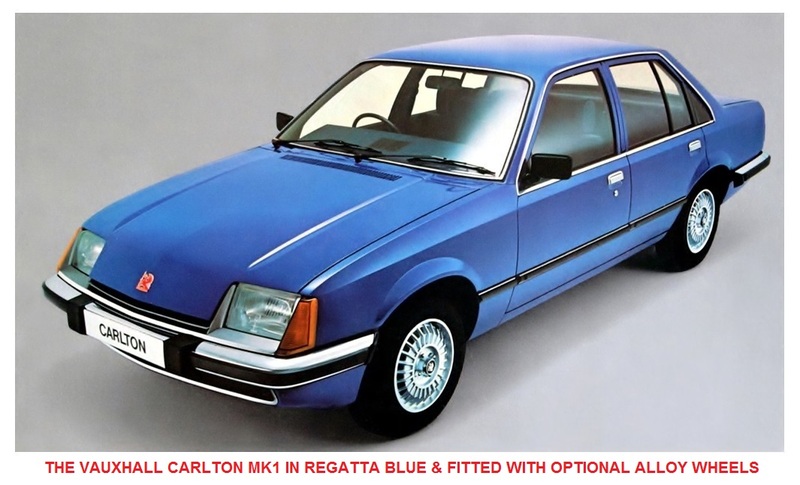 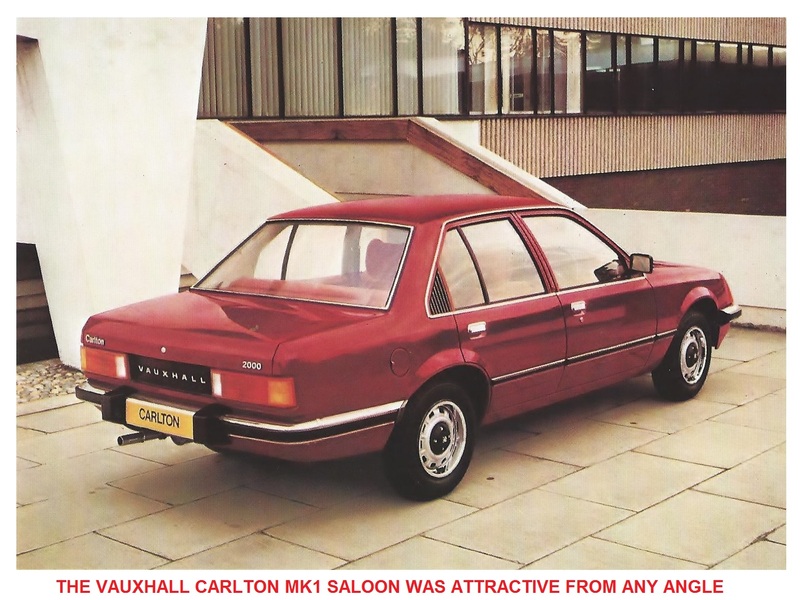 Also the very attractive Cherry designed Carlton coupe version based on the 2 door Rekord never got beyond the clay mock up stage. 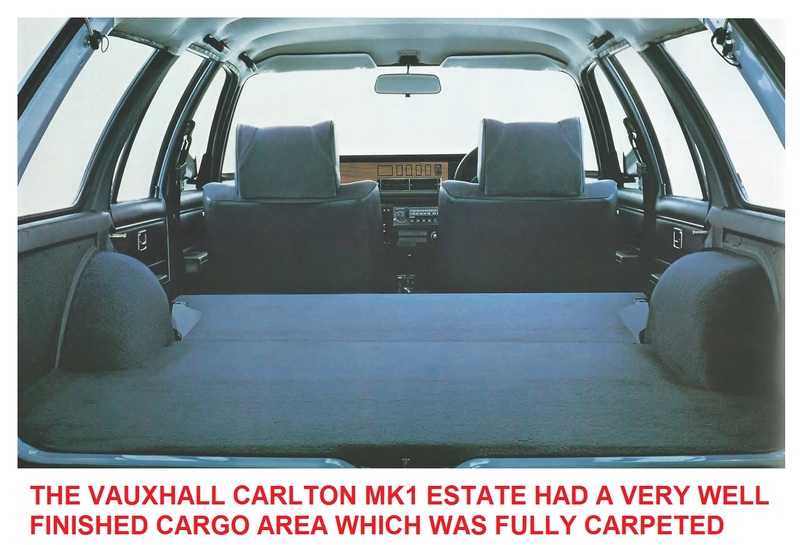 A Bedford Carlton van was also considered based on the Rekord E Van but was canned due to an insufficient market. 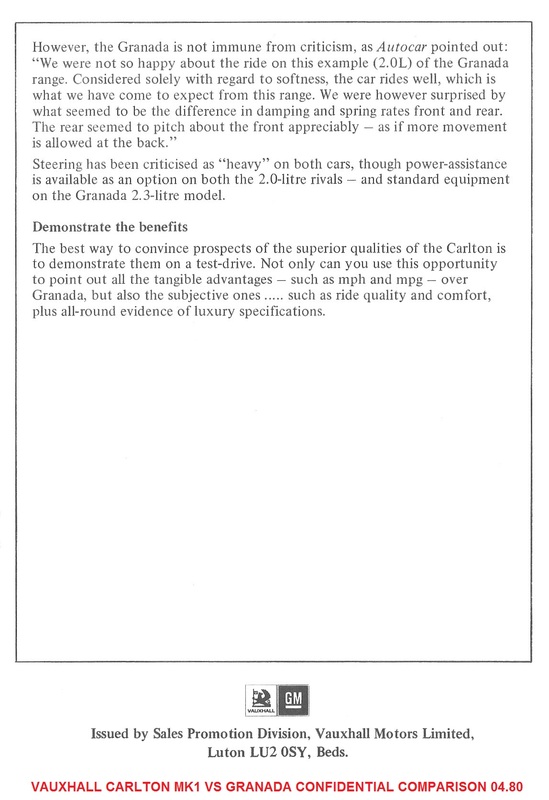 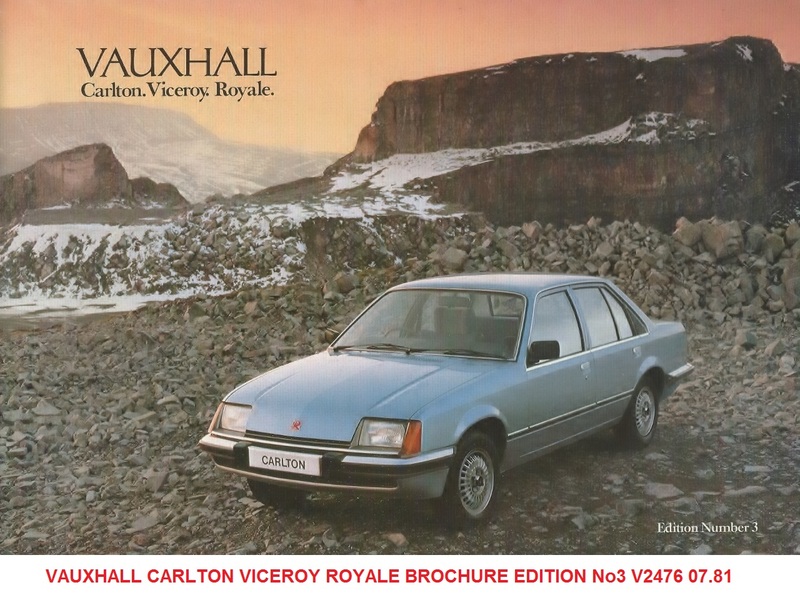 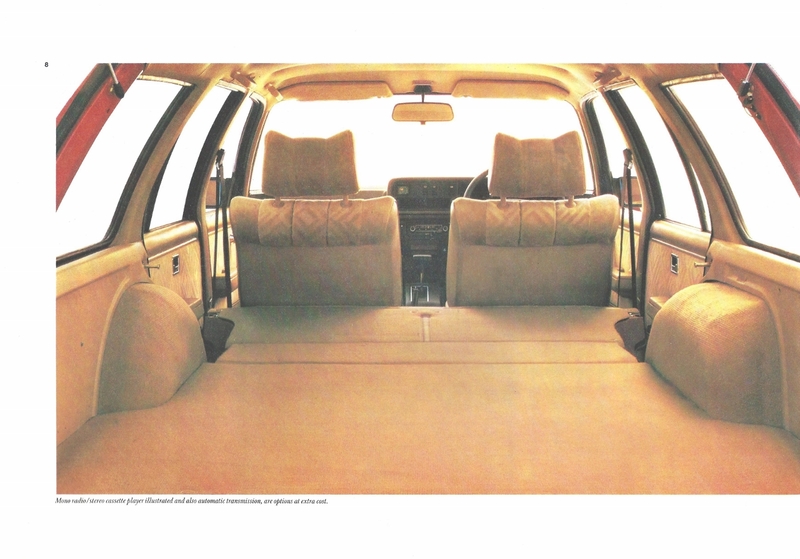 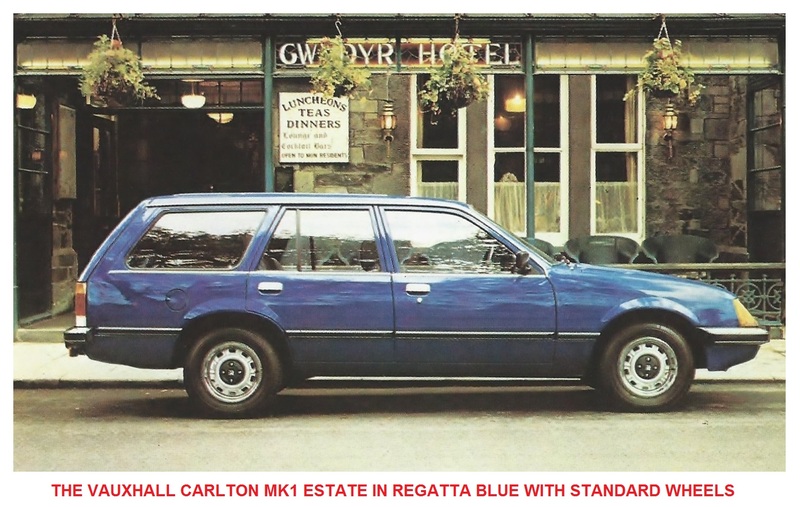 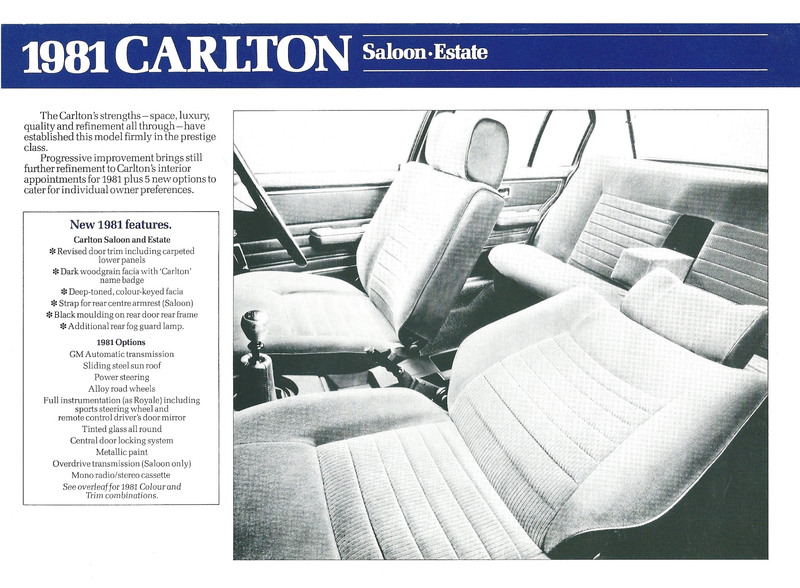 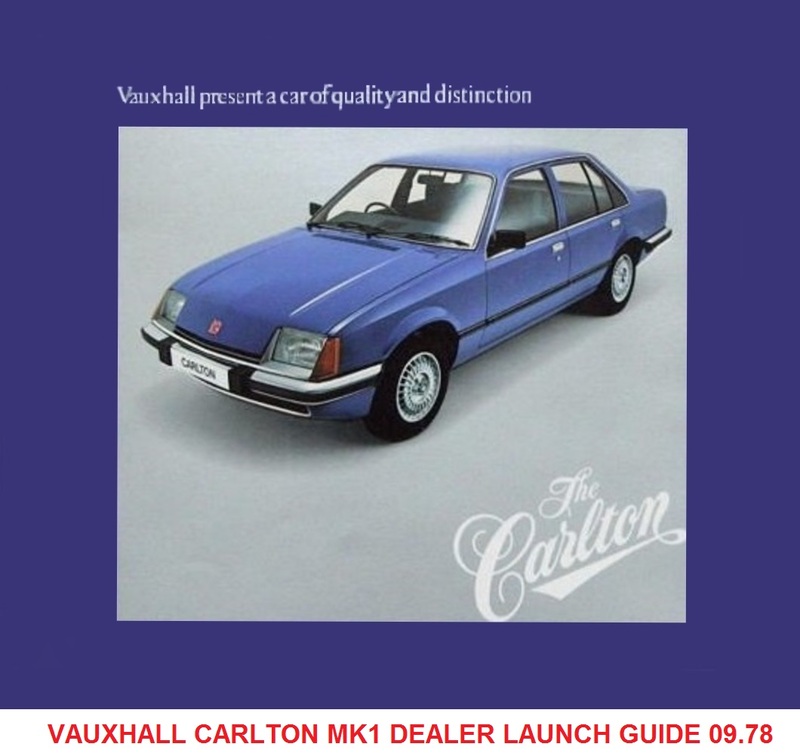 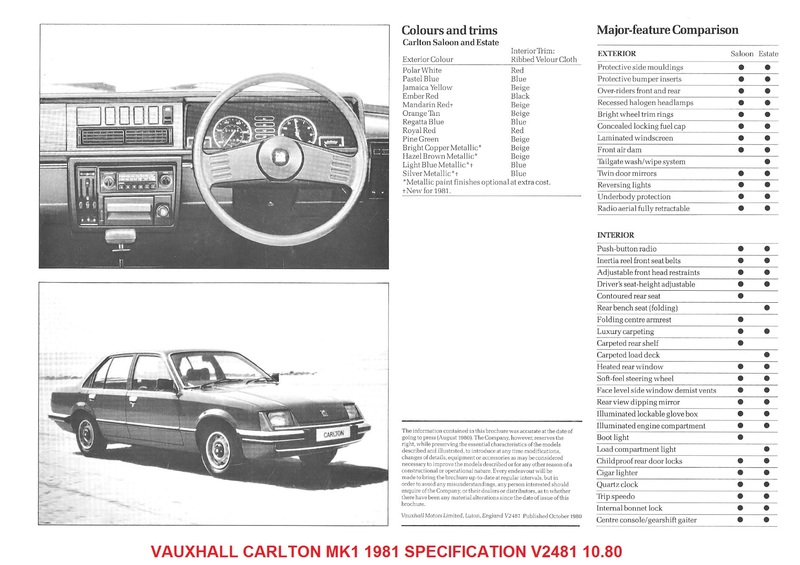 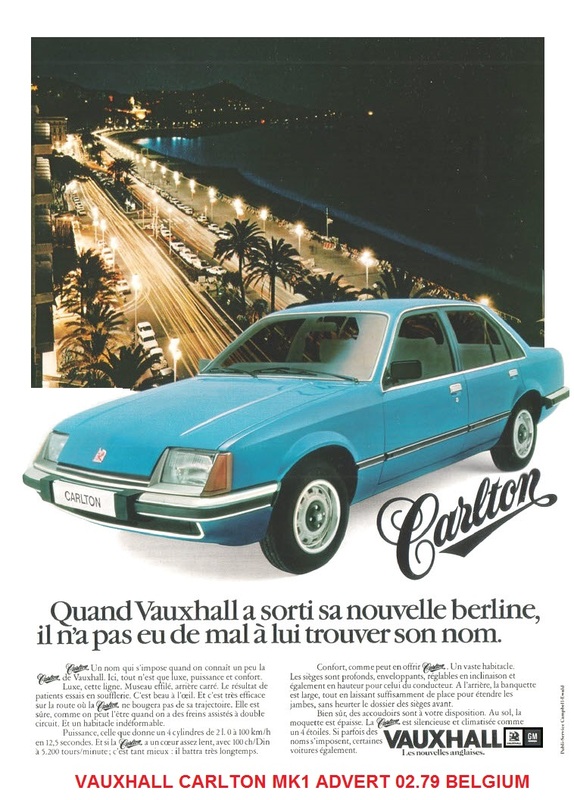 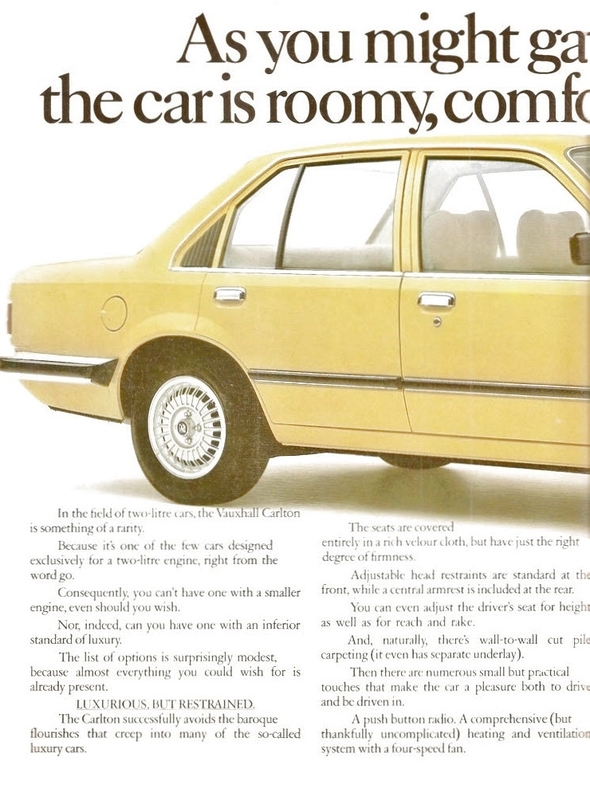 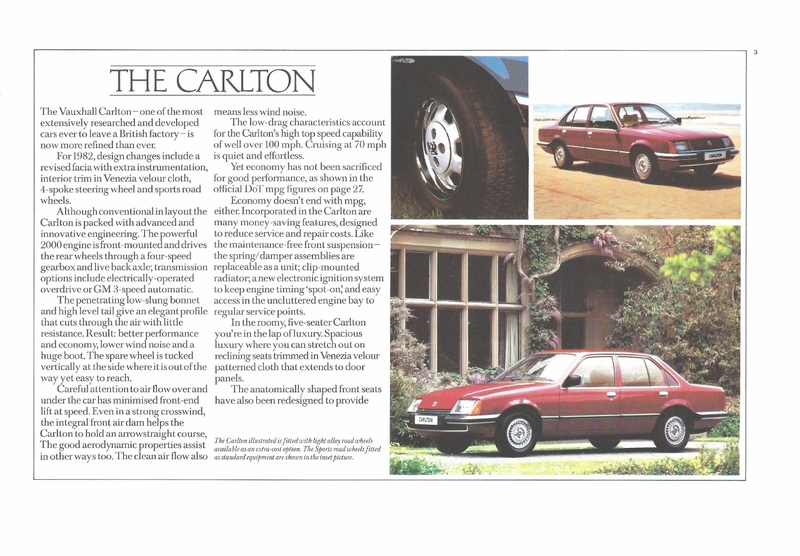 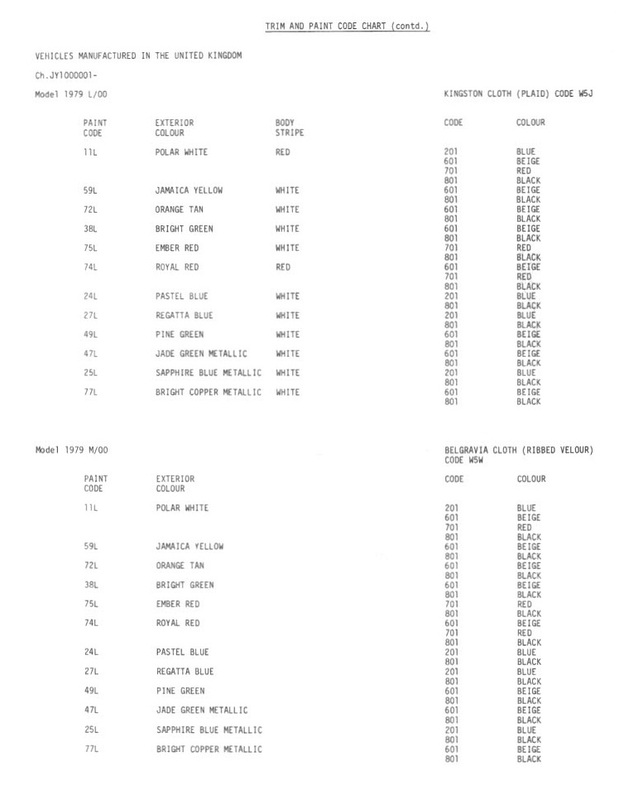 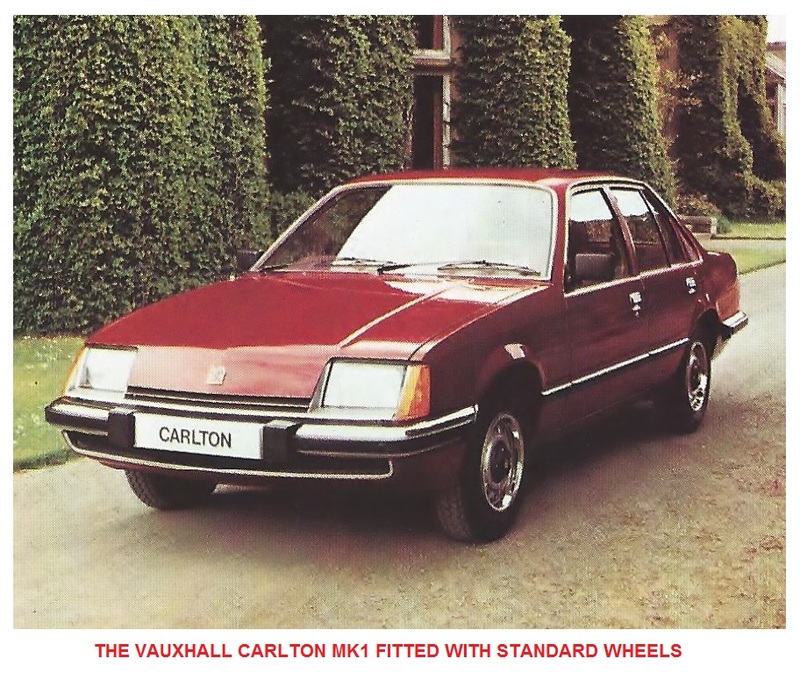 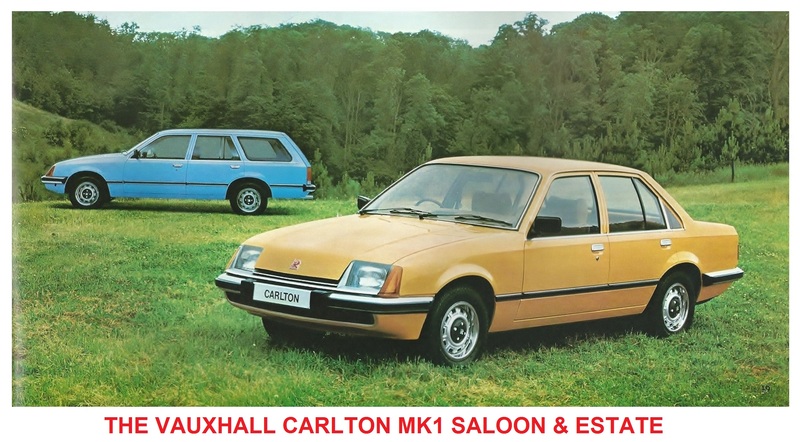 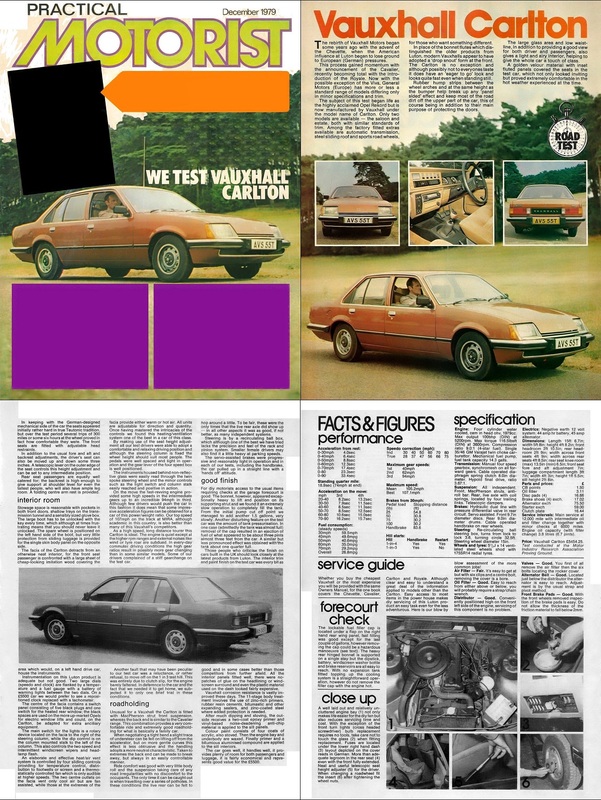 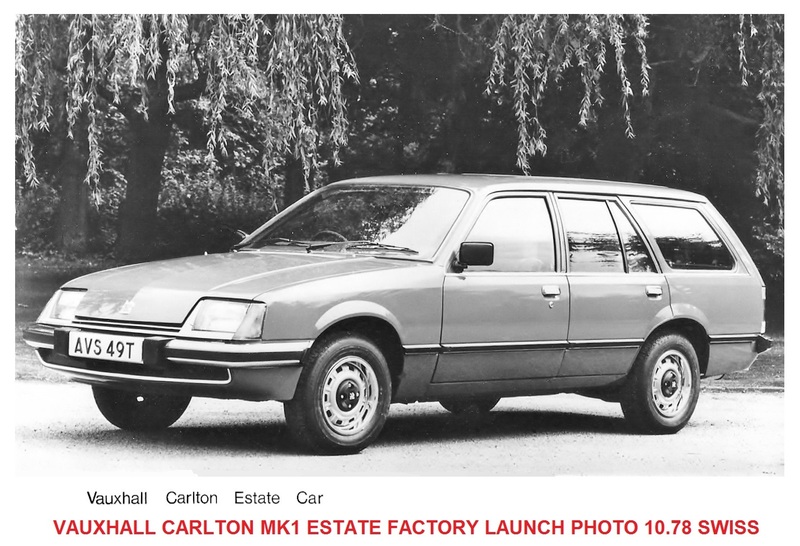 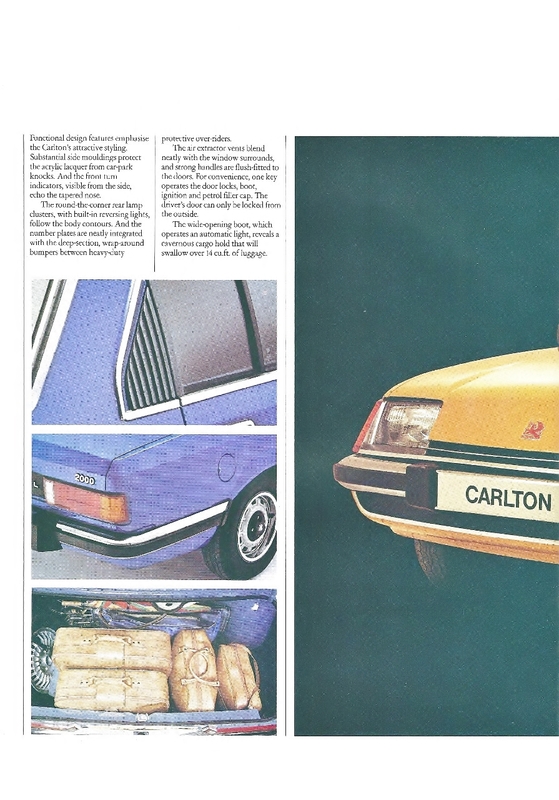 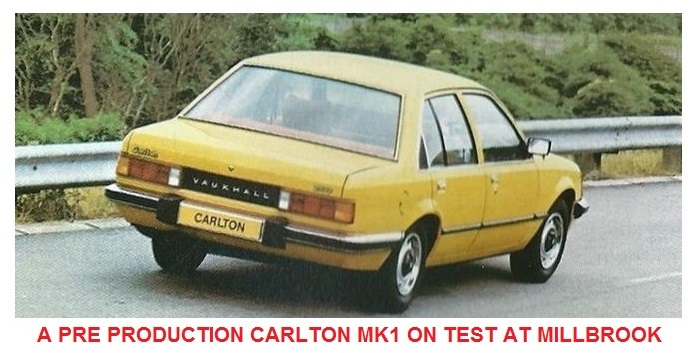 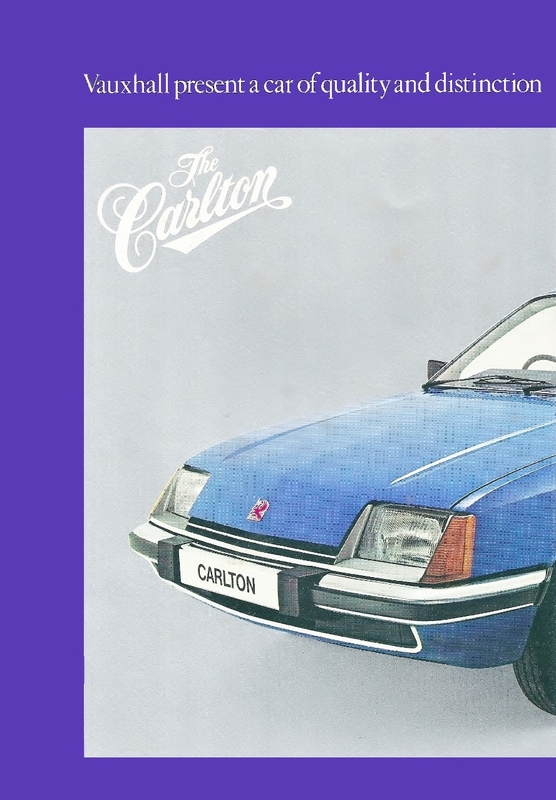 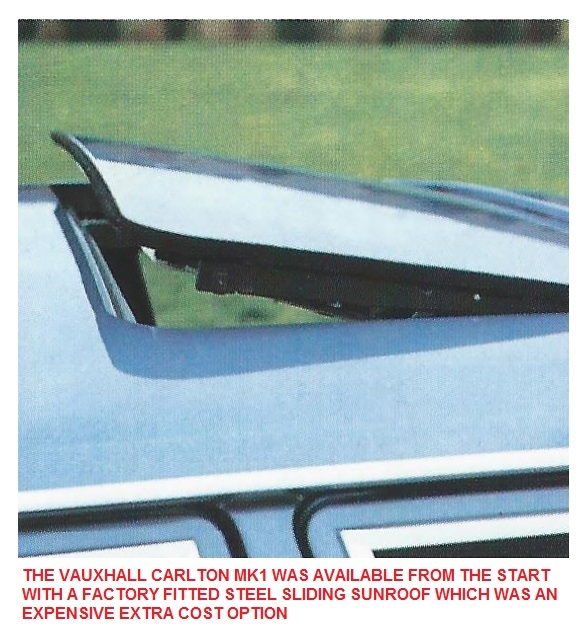 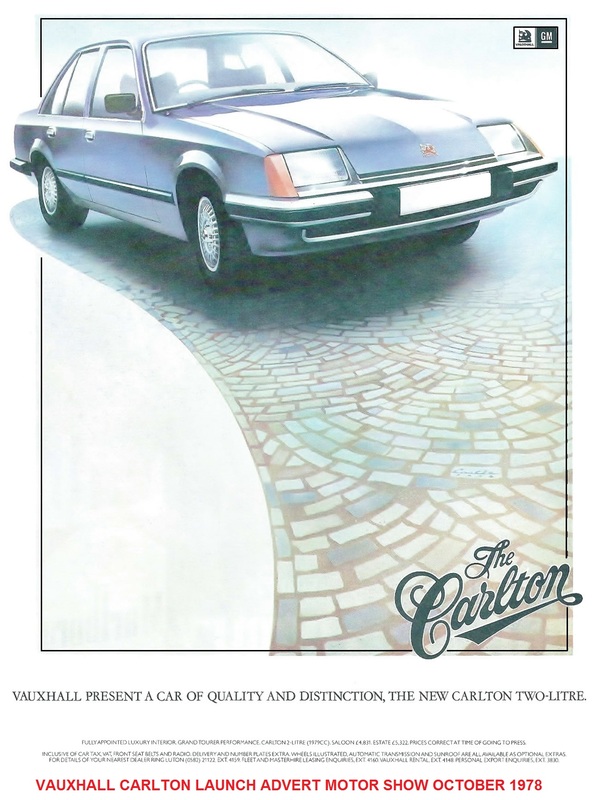 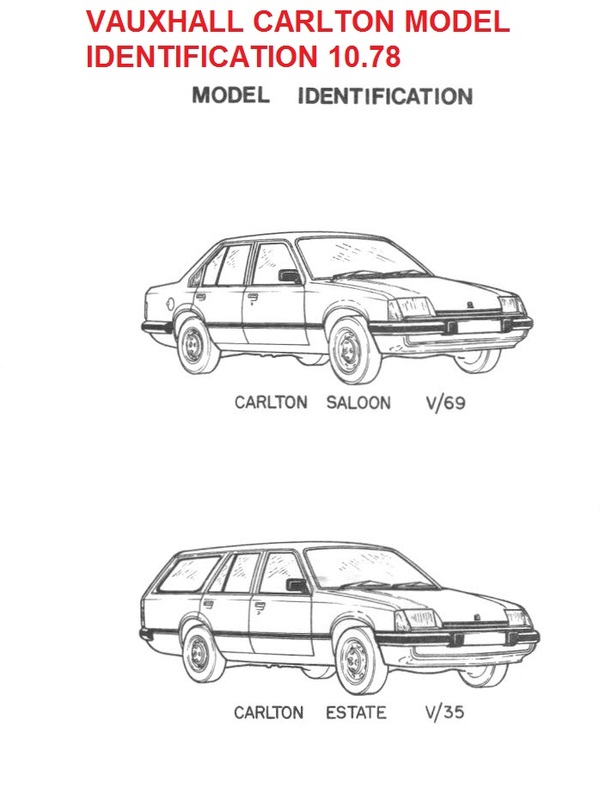 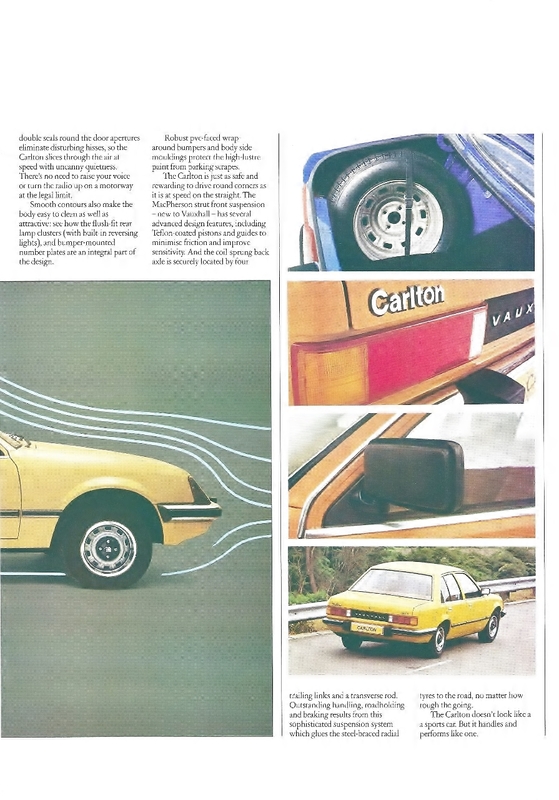 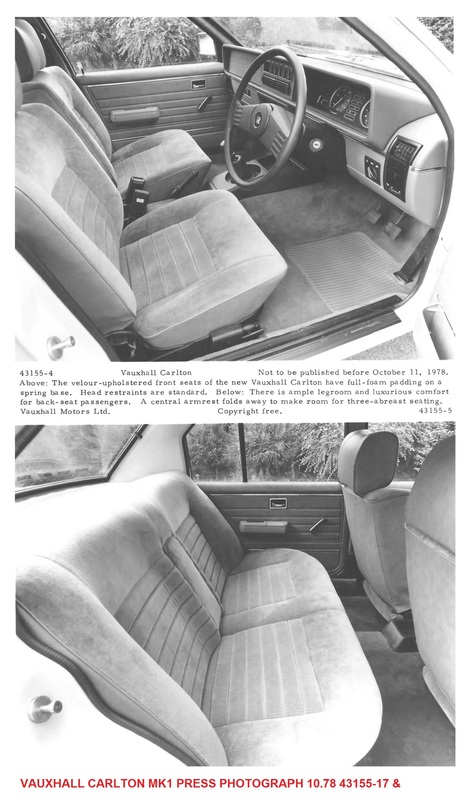 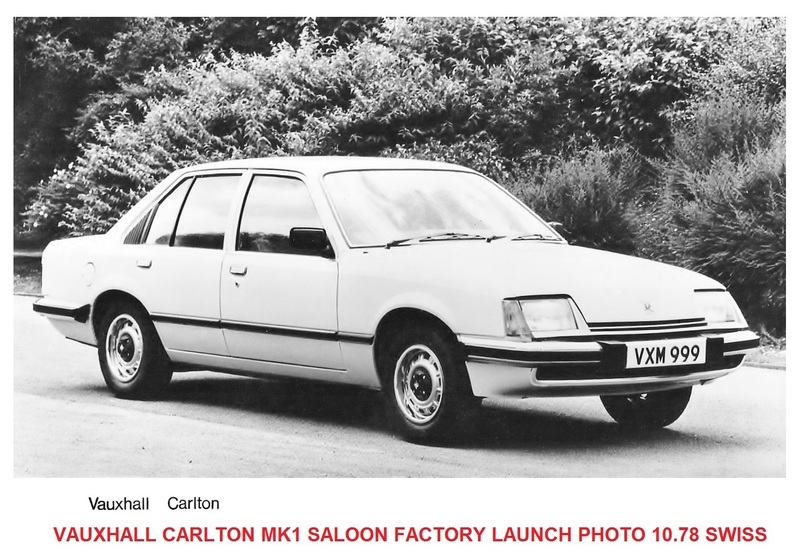 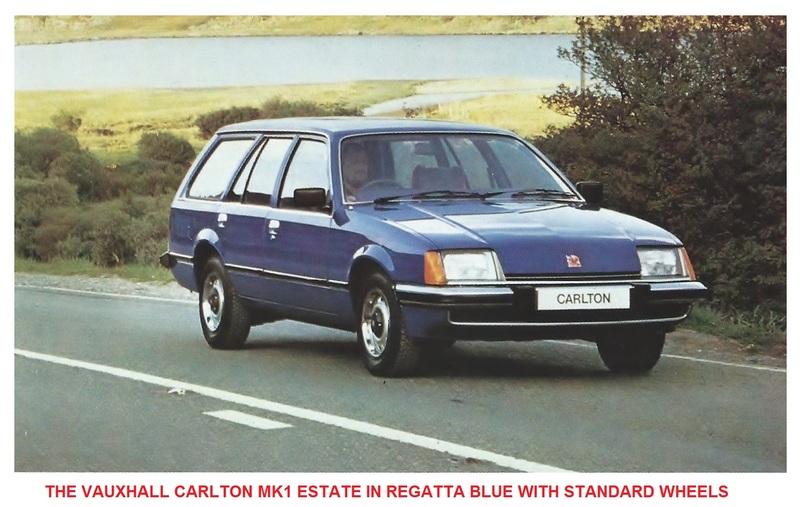 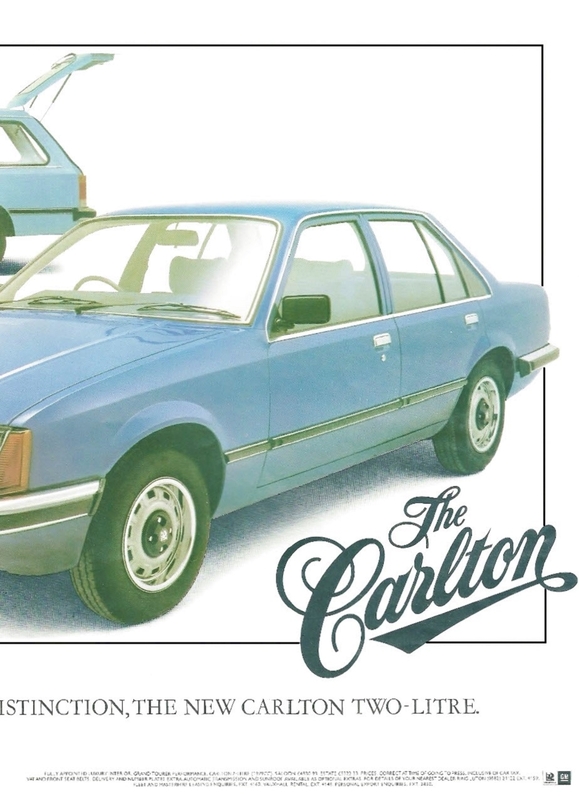 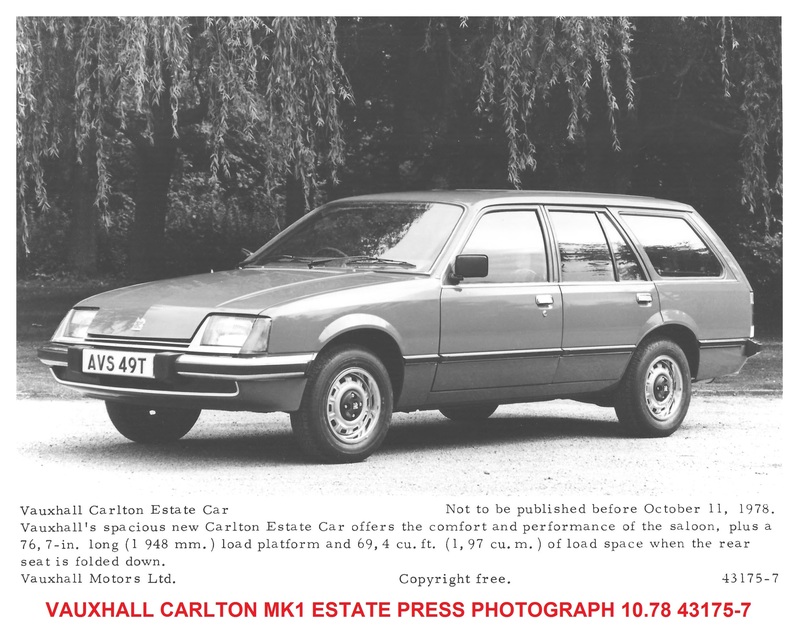 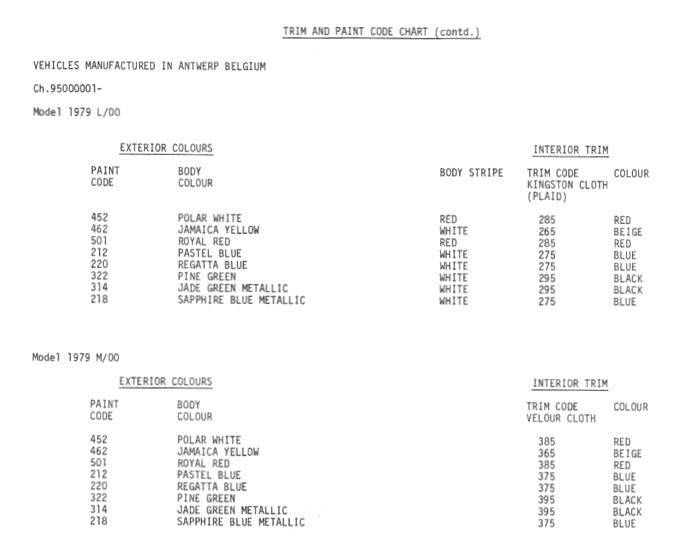 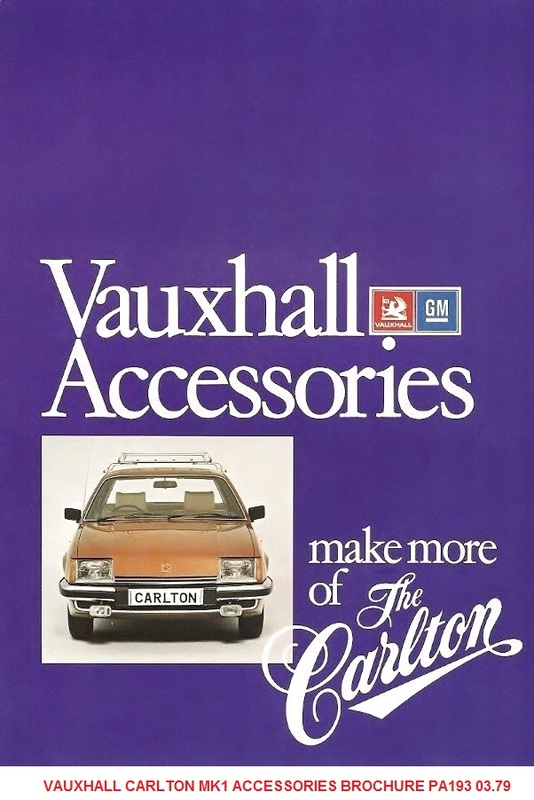 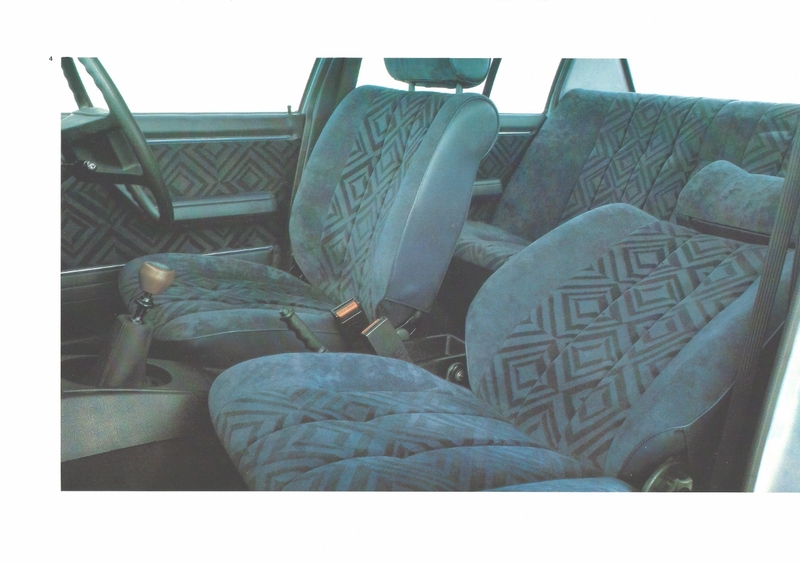 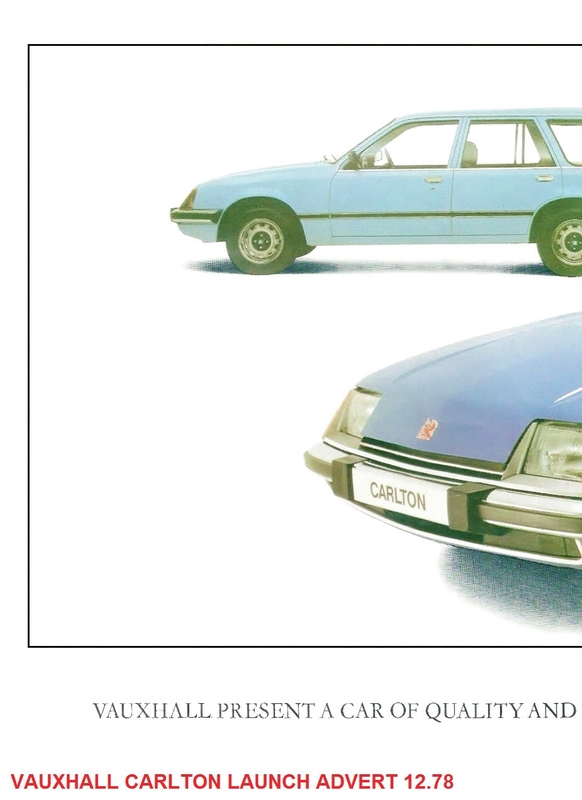 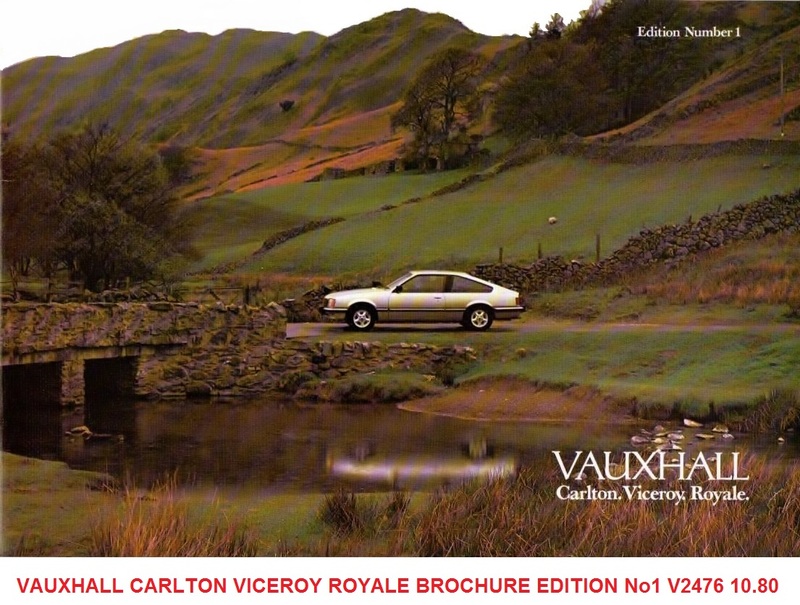 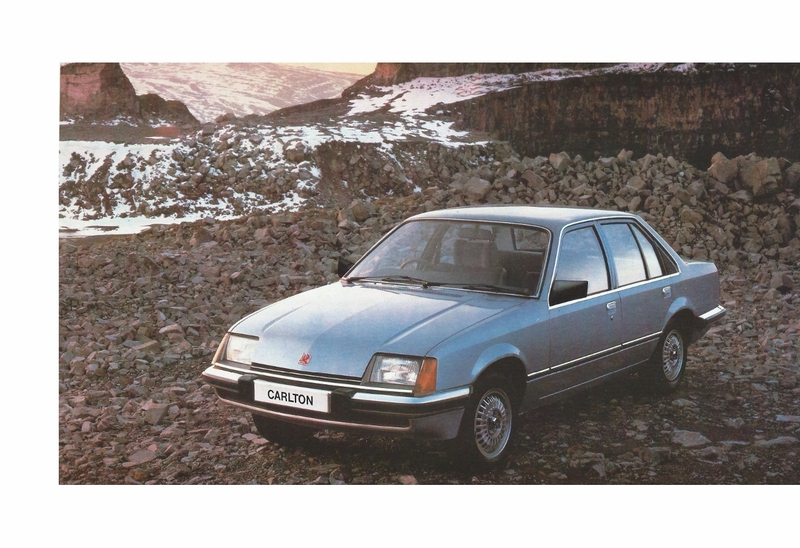 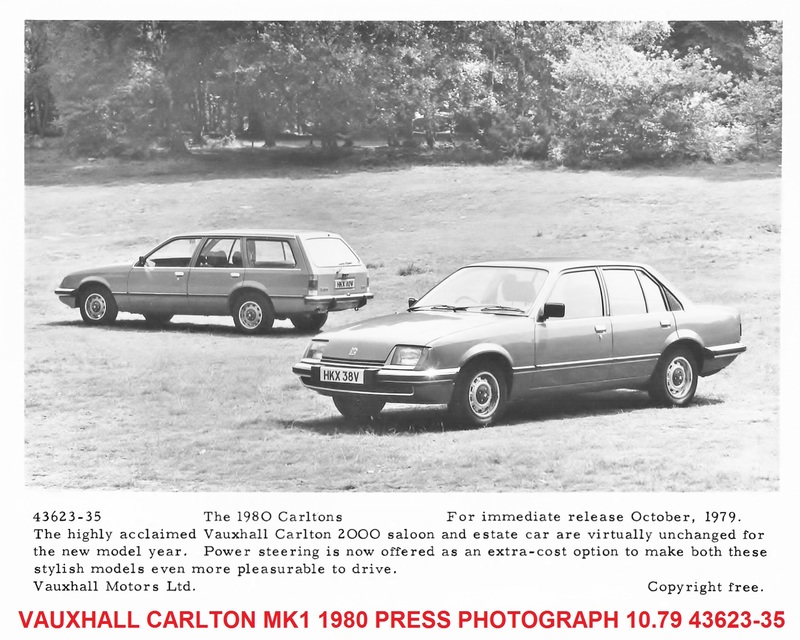 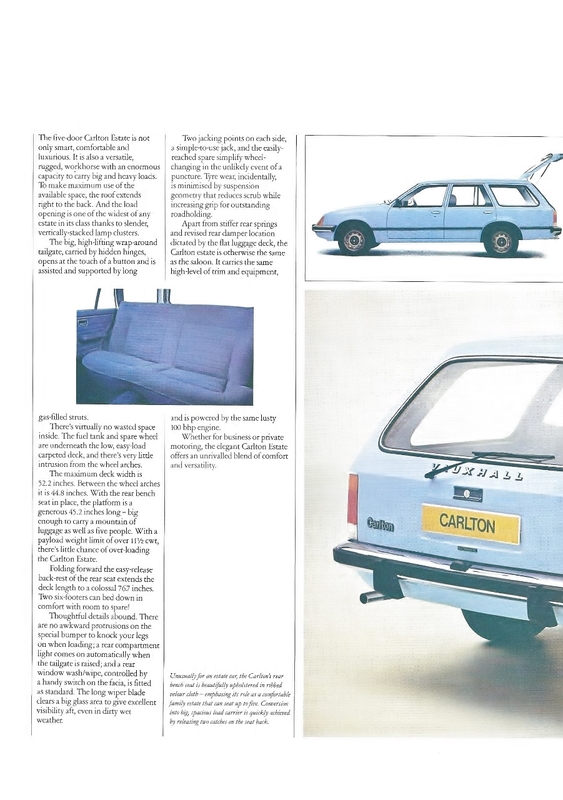 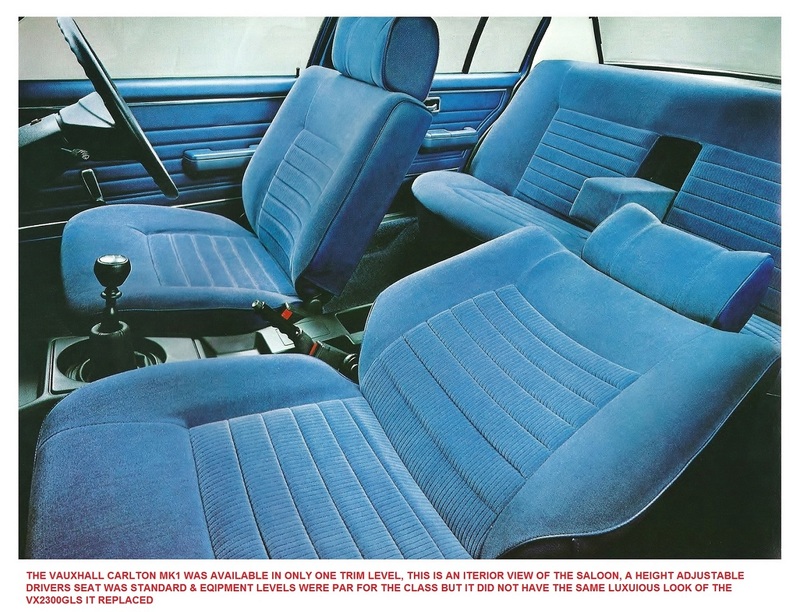 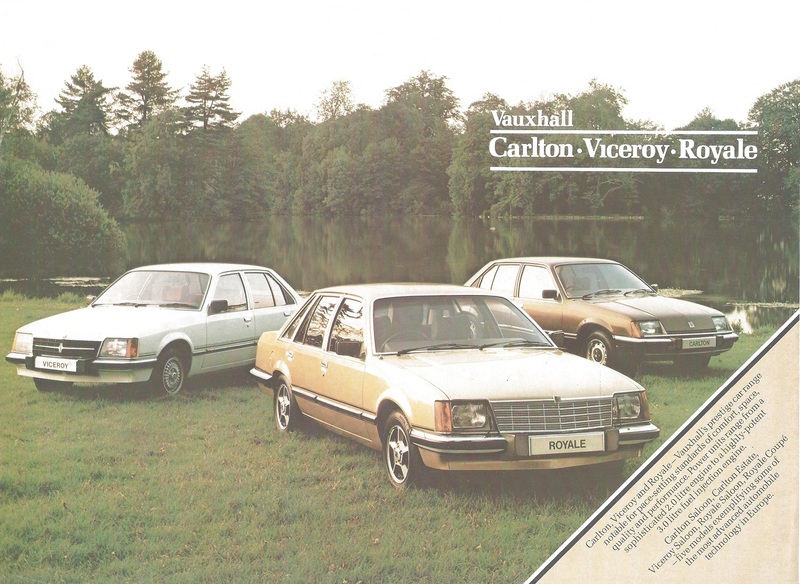 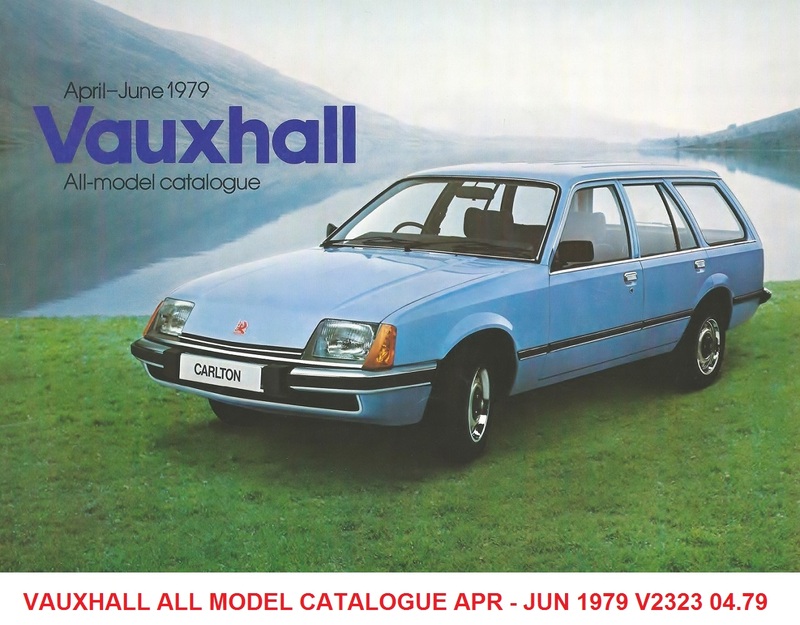 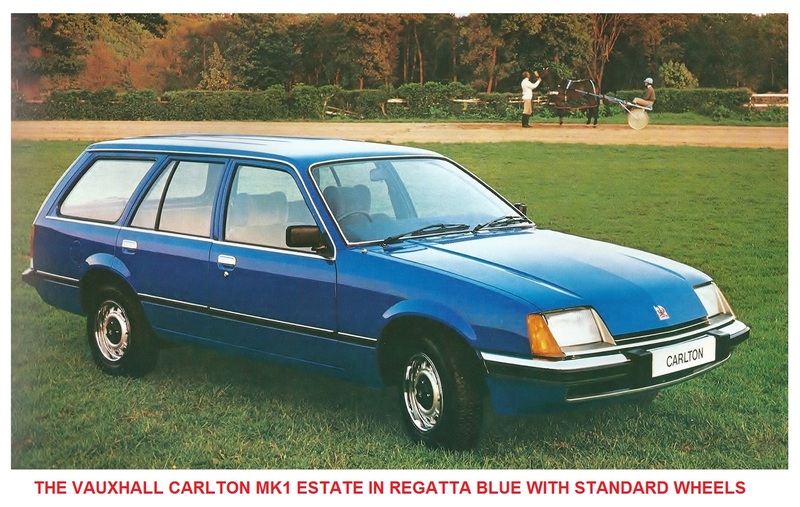 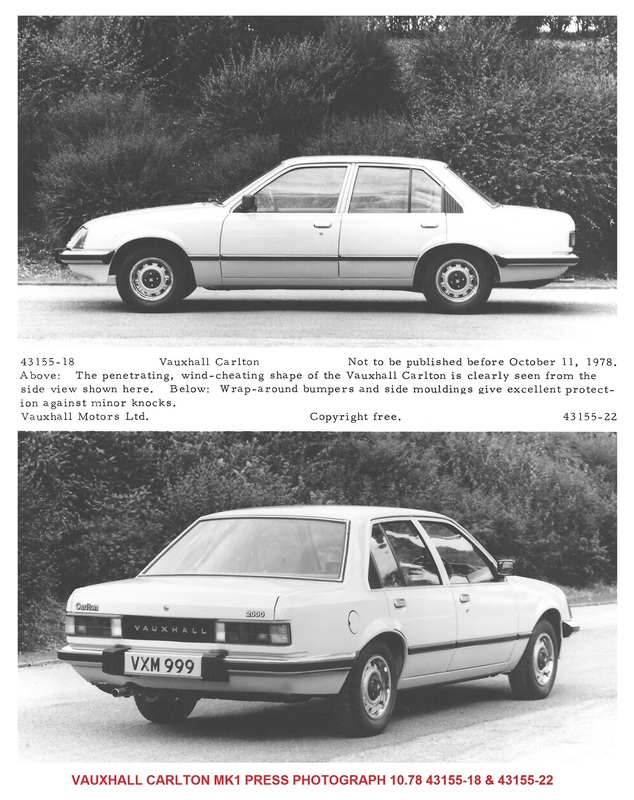 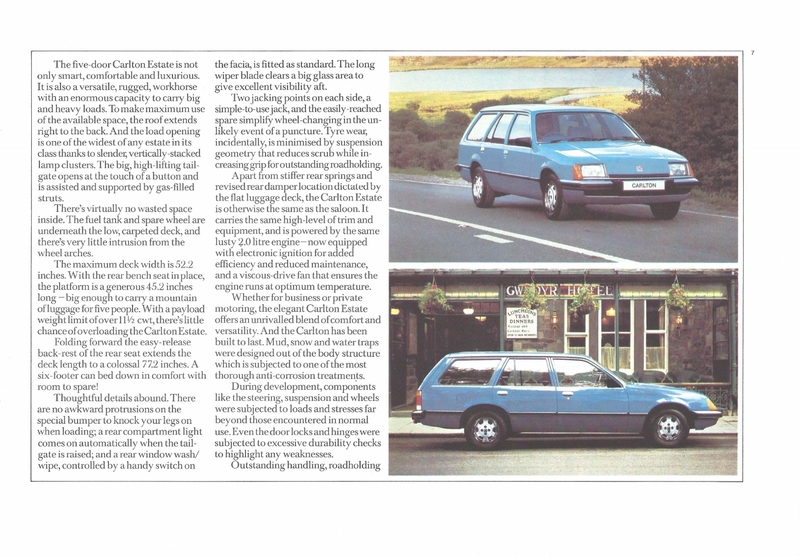 So the Carlton was a 2 model range that replaced the previous 6 model VX Series range, it was however considerably more modern in external appearance but by comparison with the VX2300GLS the interior was a backward step. 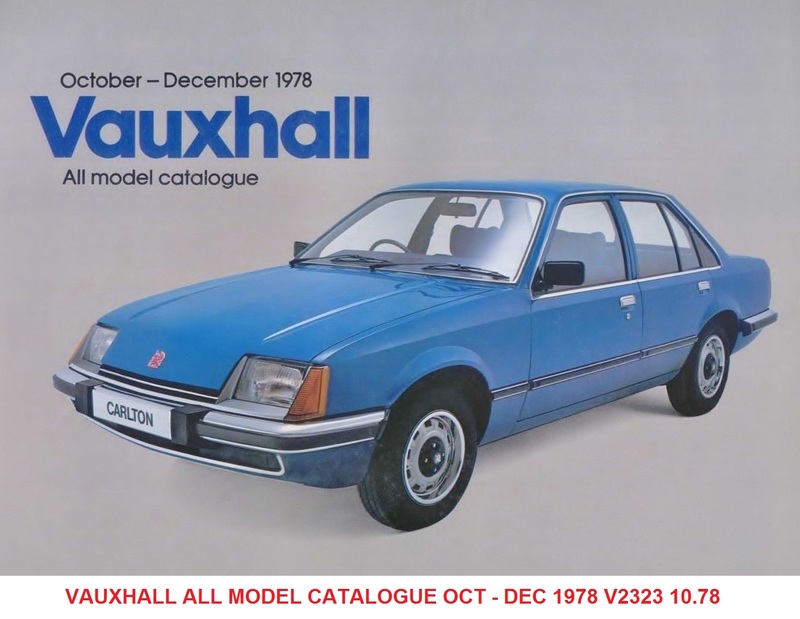 In the booming 2litre sector of the medium size car market it was competitive with its main rivals, although it did come in for some criticism for heavy steering at low speeds but was solved in October 1980 when power steering became an option for the 1981MY. 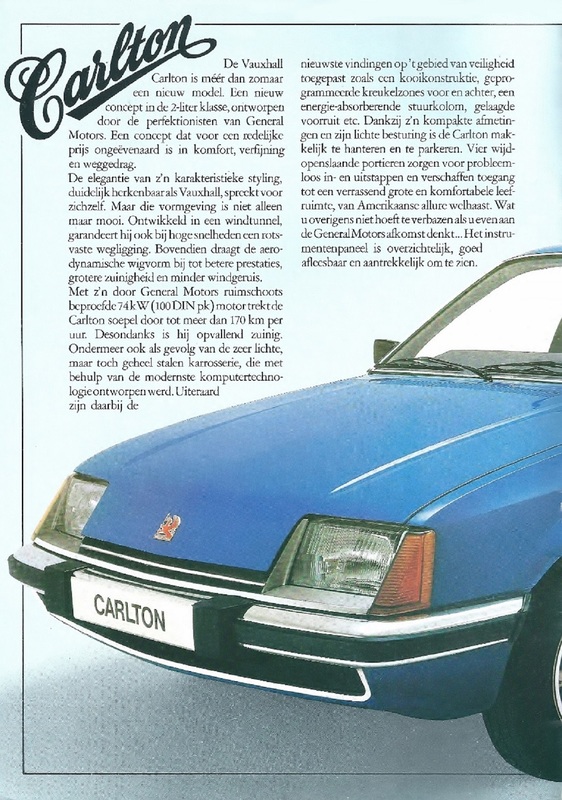 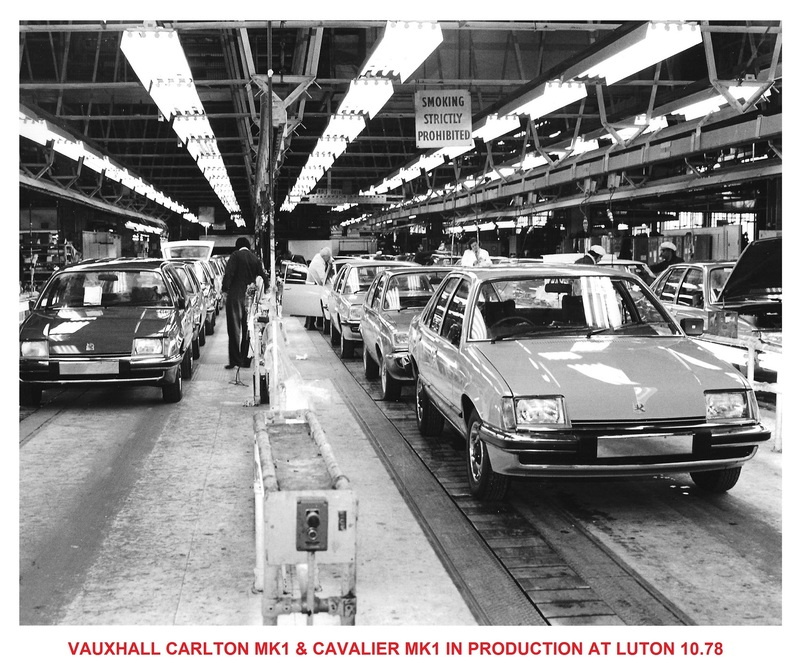 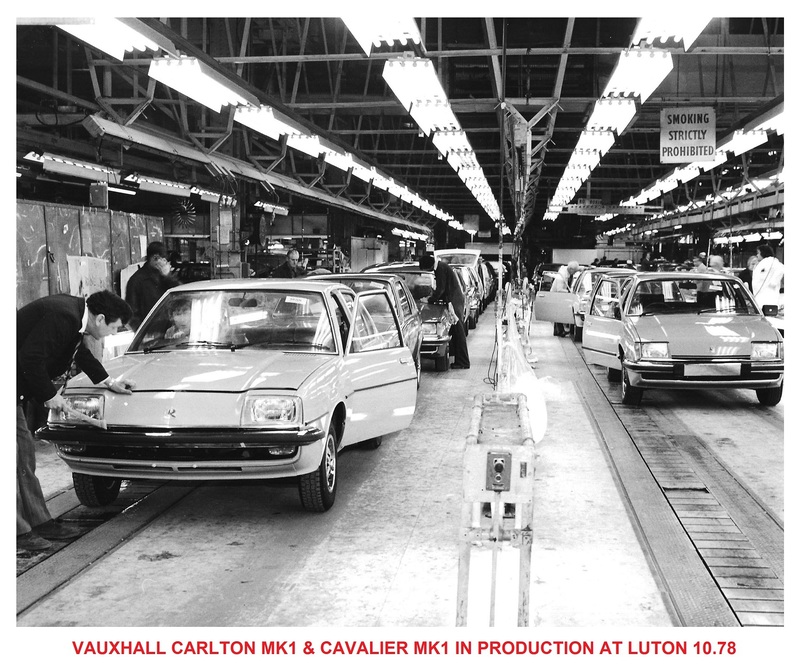 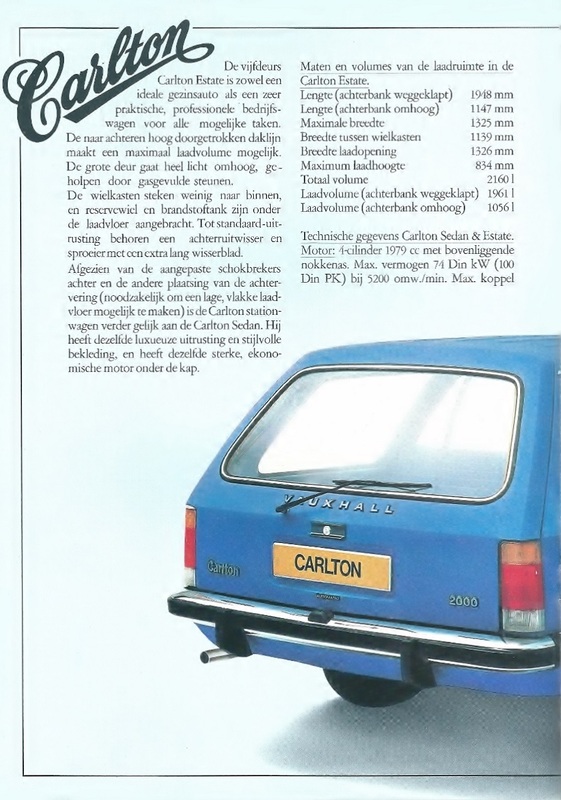 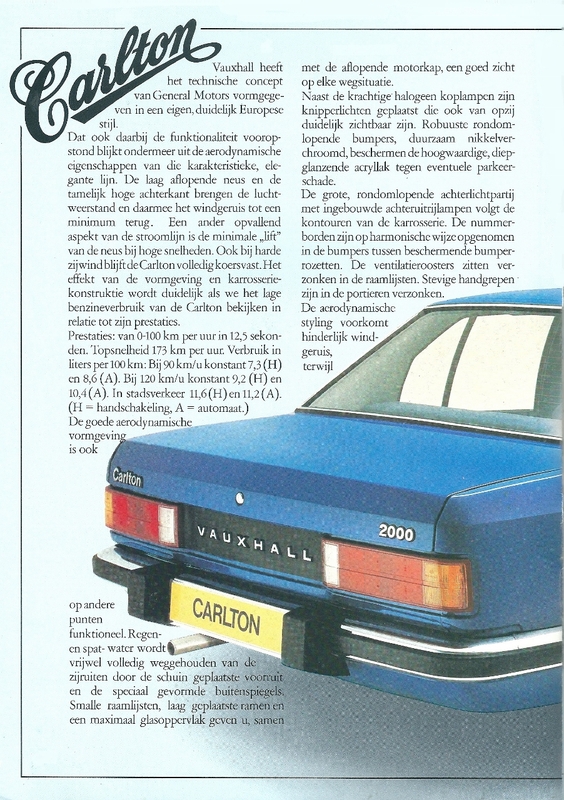 The majority of Carlton Mk1s were built at Luton but there were a limited number produced at Antwerp in Belgium from chassis number 95000001 onwards in 1979. 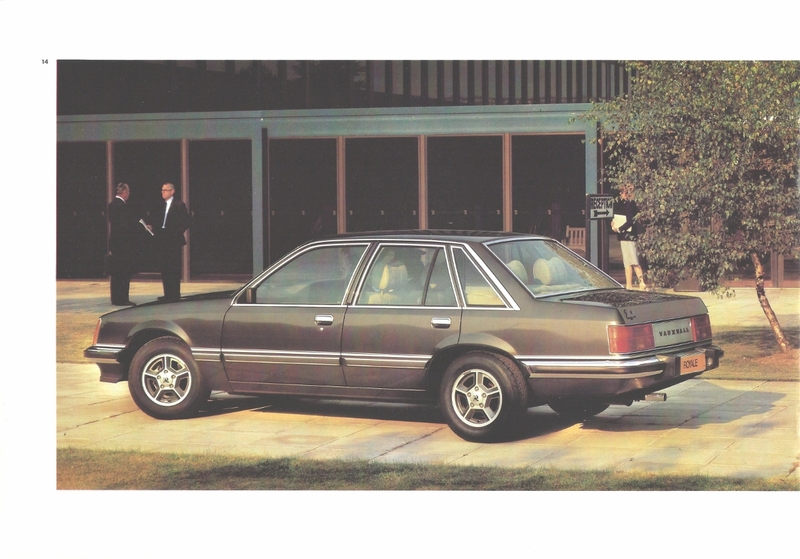 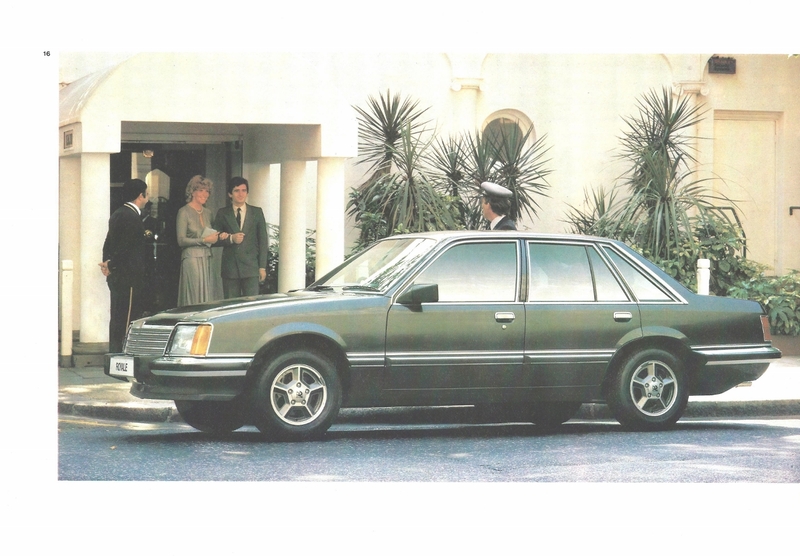 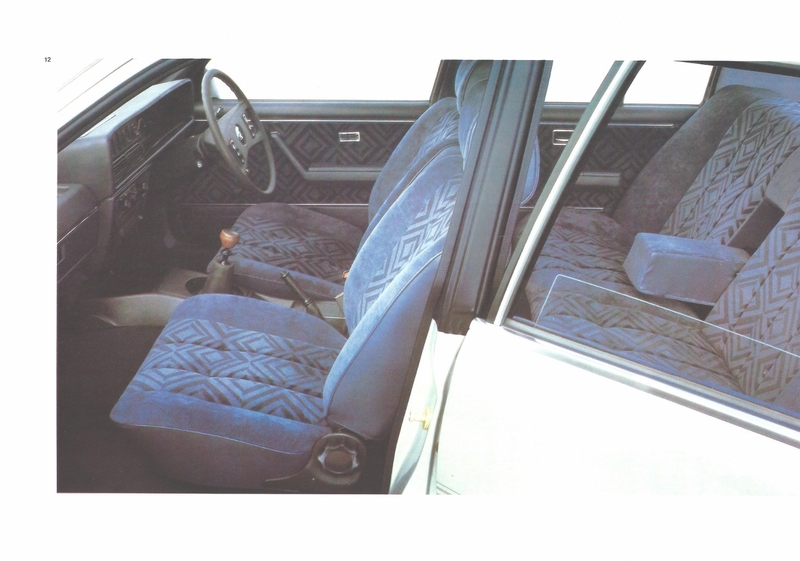 The first major revision was in September 1981 when the the following changes were introduced: Revised door trim with carpeted lower panels, dark woodgrain facia with "Carlton" name badge, deep toned colour-keyed facia, strap for rear seat armrest (Saloon), black moulding on rear door frame and an additional rear fog lamp. 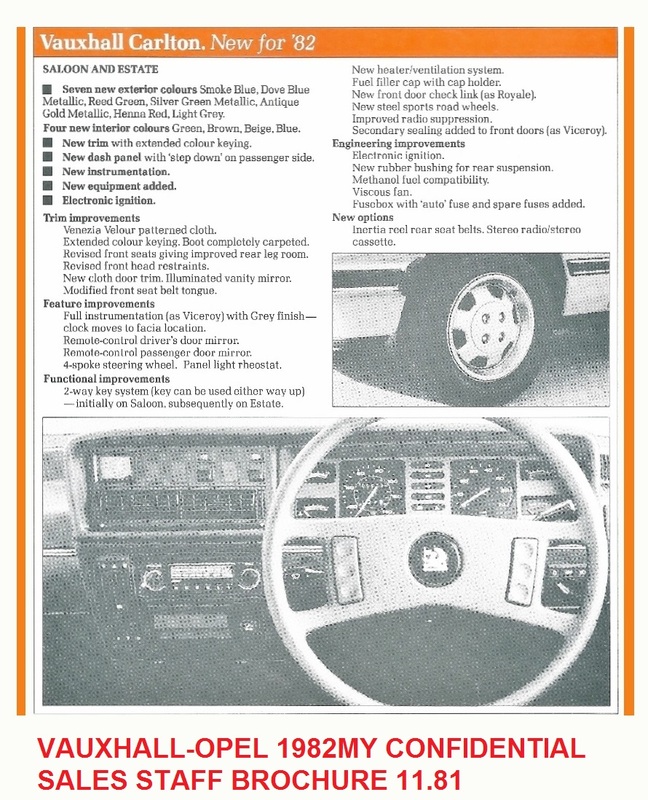 Additional options included power steering, full instruments (as in the Royale) with sports steering wheel with remote control door mirror, tinted glass, central door locking, overdrive transmission (Saloon), a mono radio/stereo cassette. 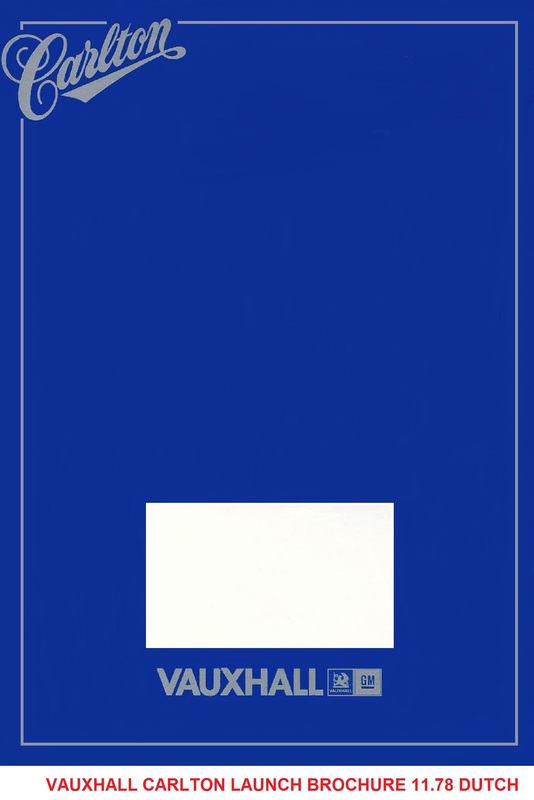 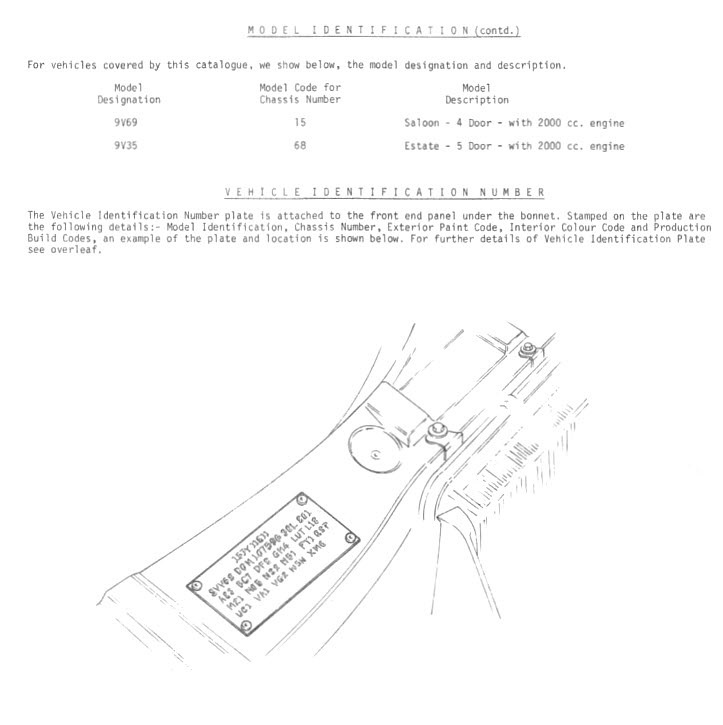 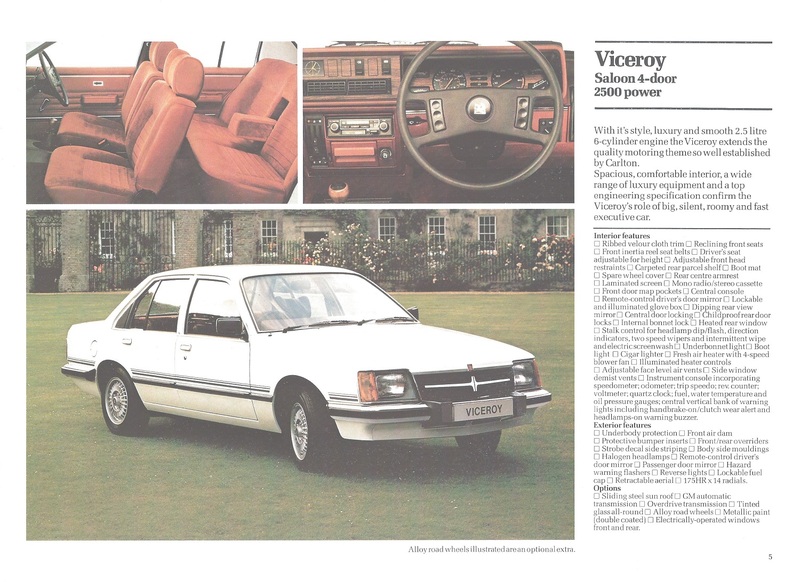 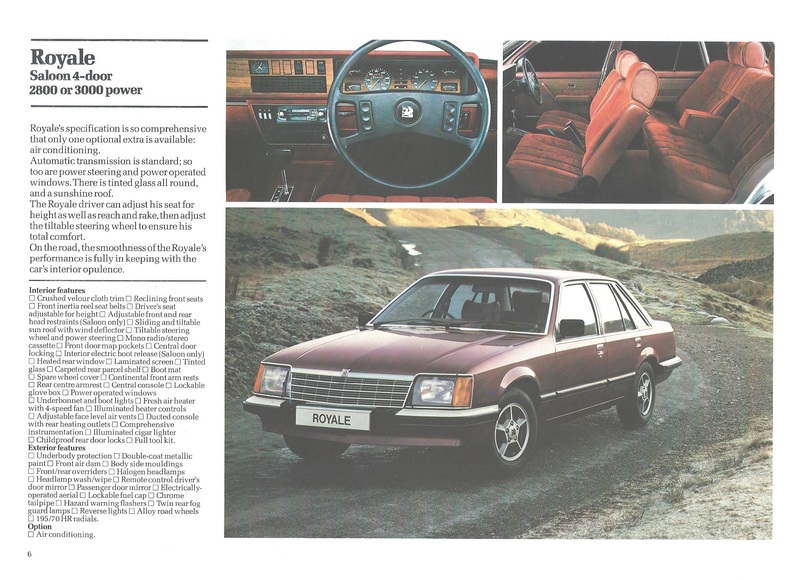 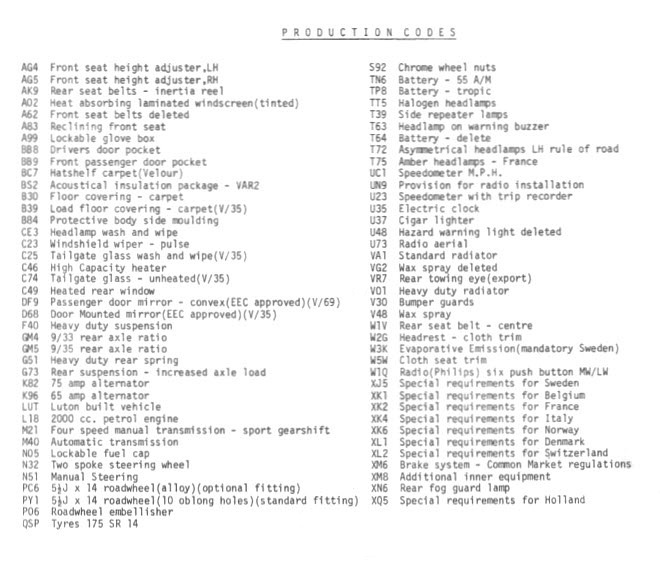 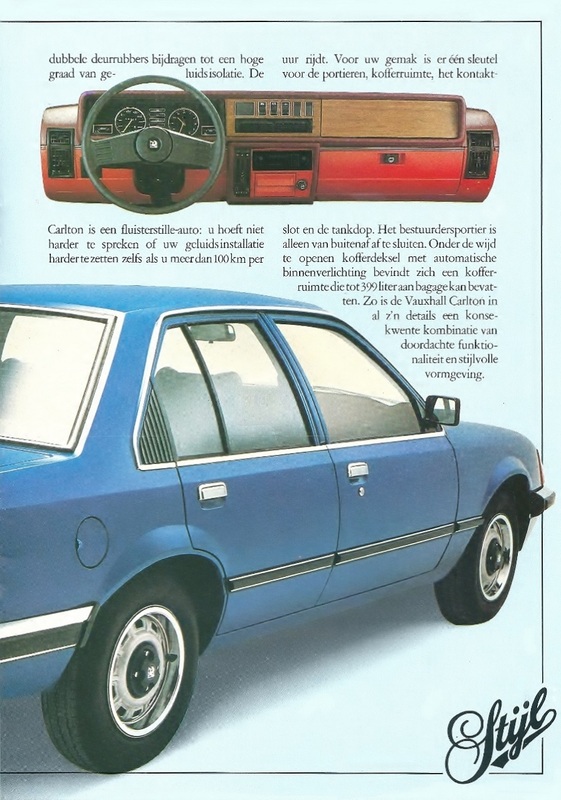 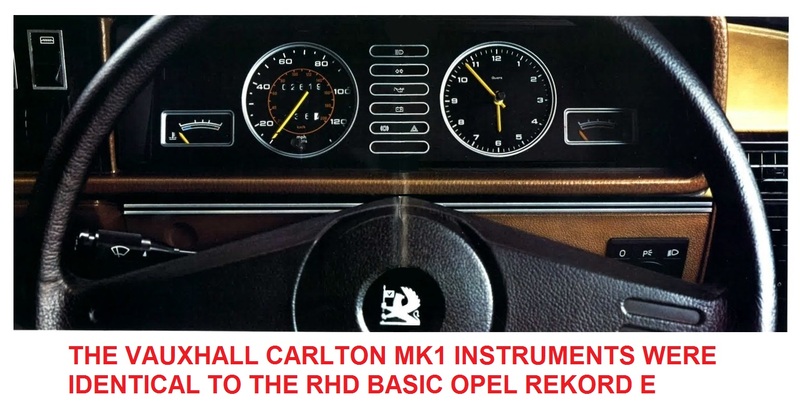 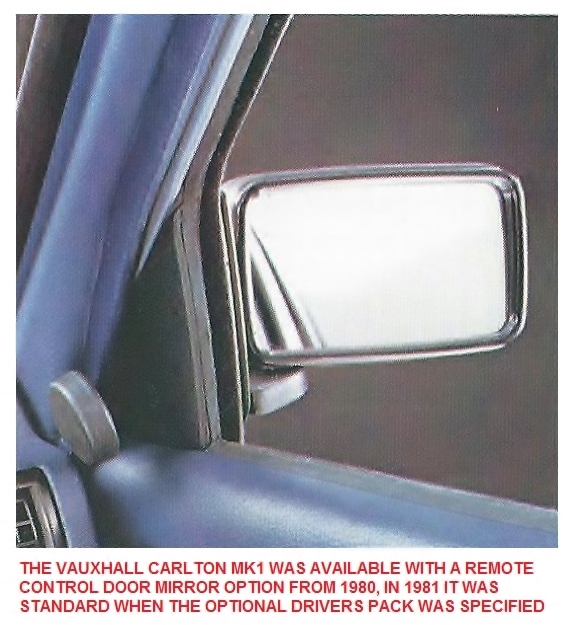 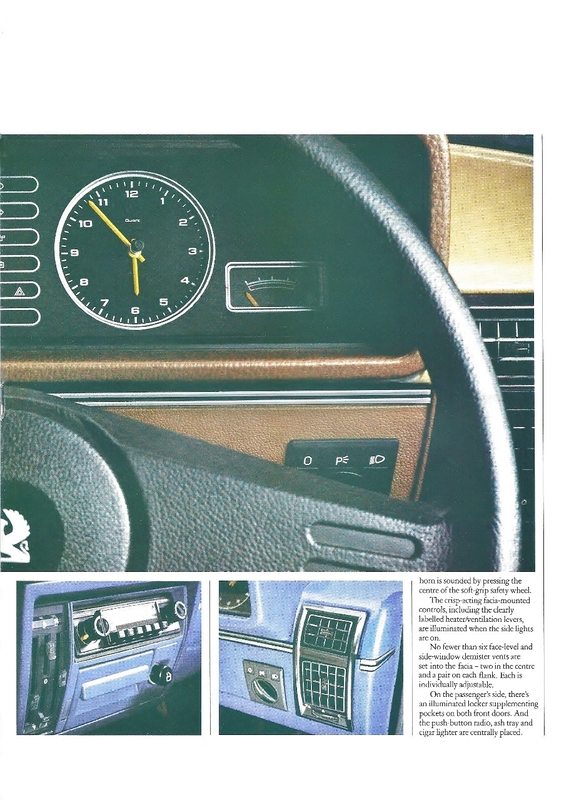 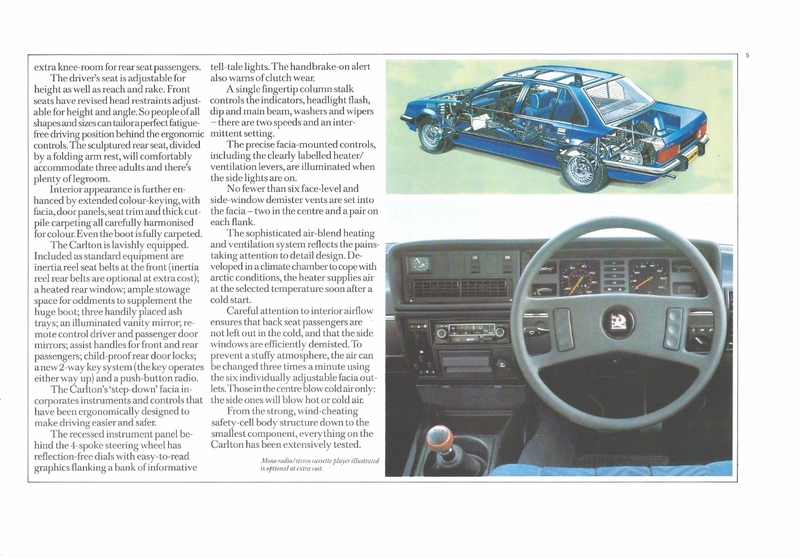 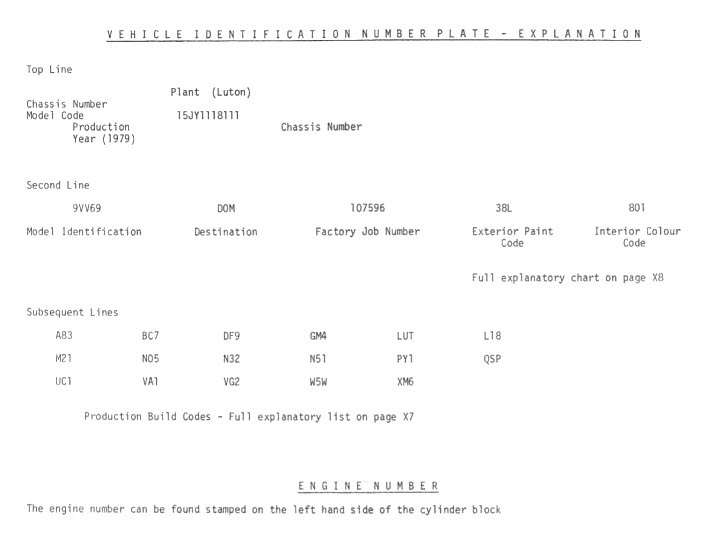 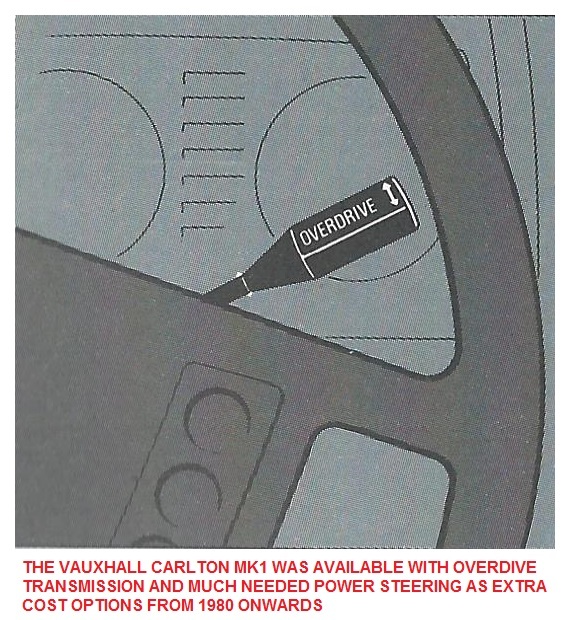 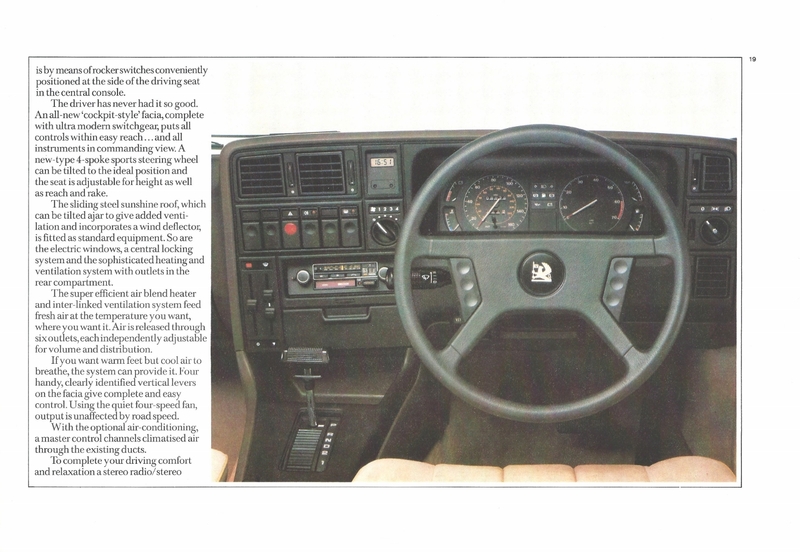 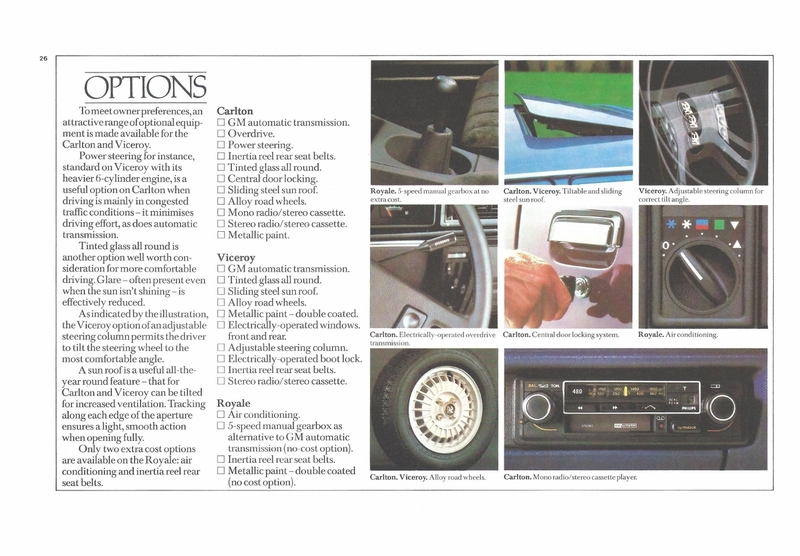 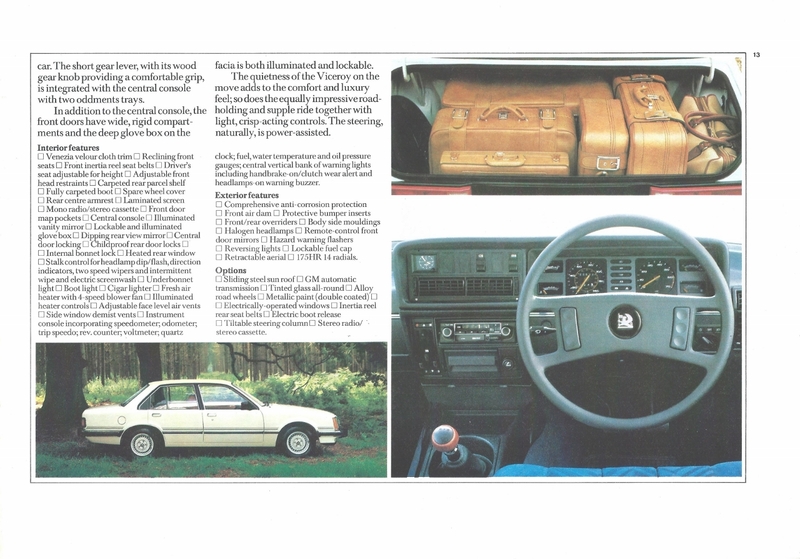 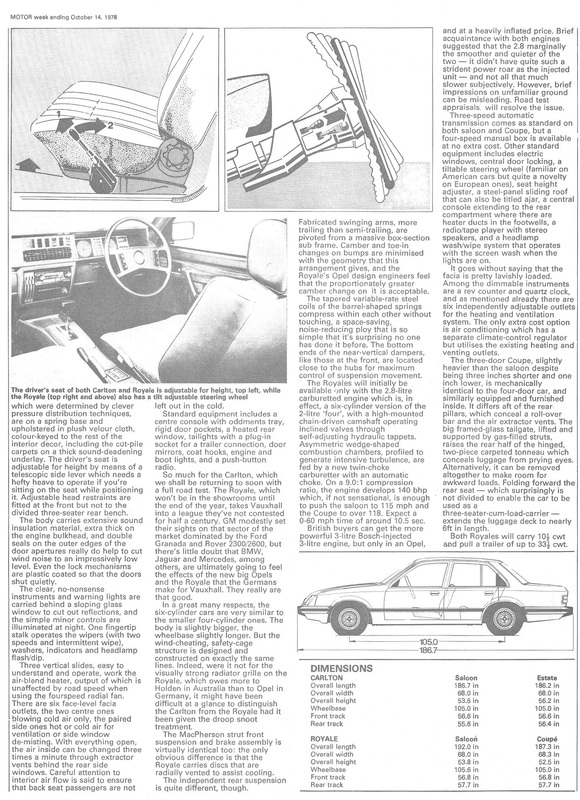 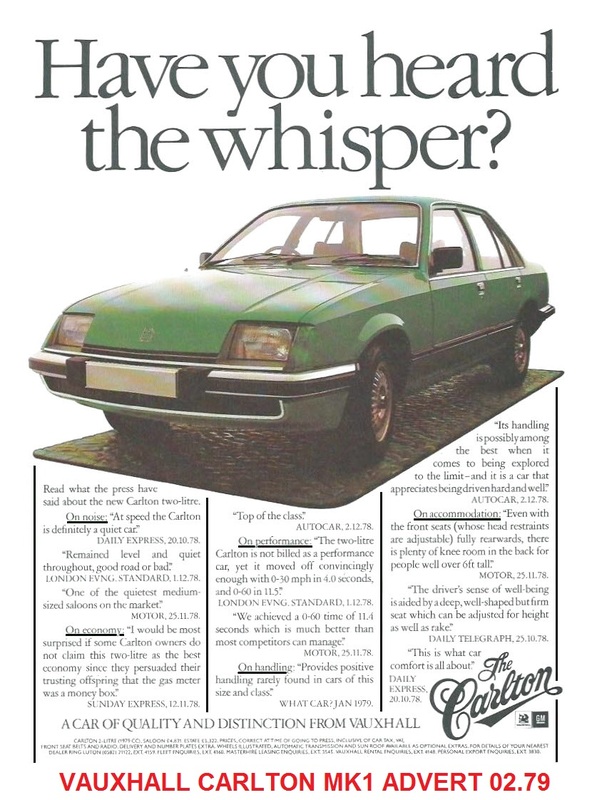 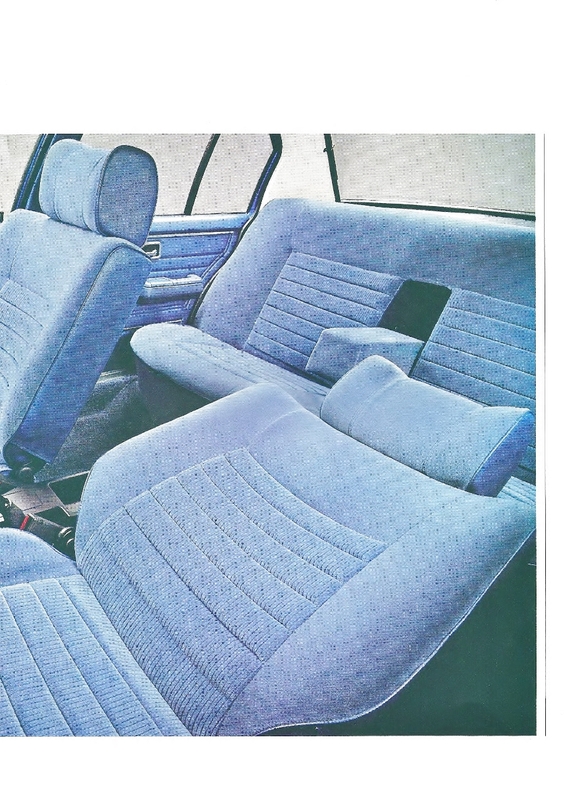 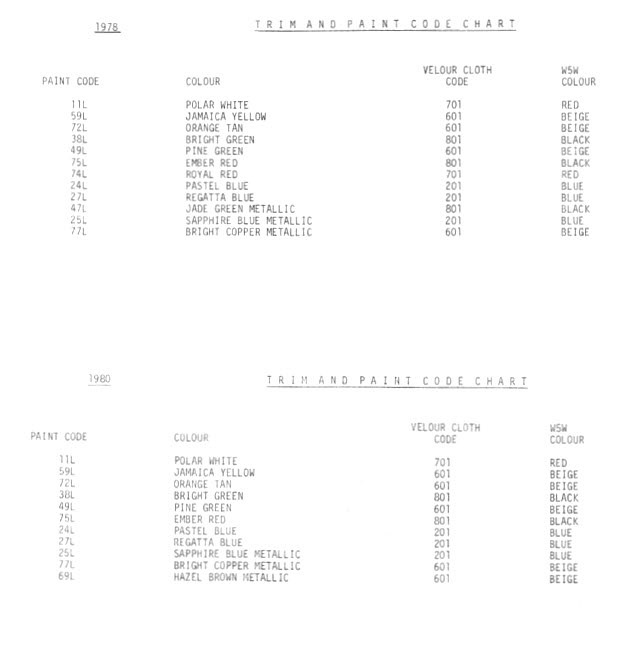 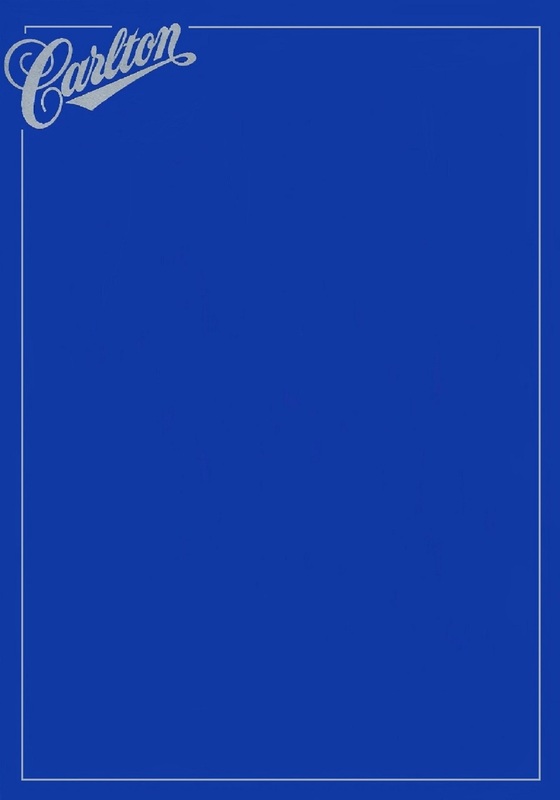 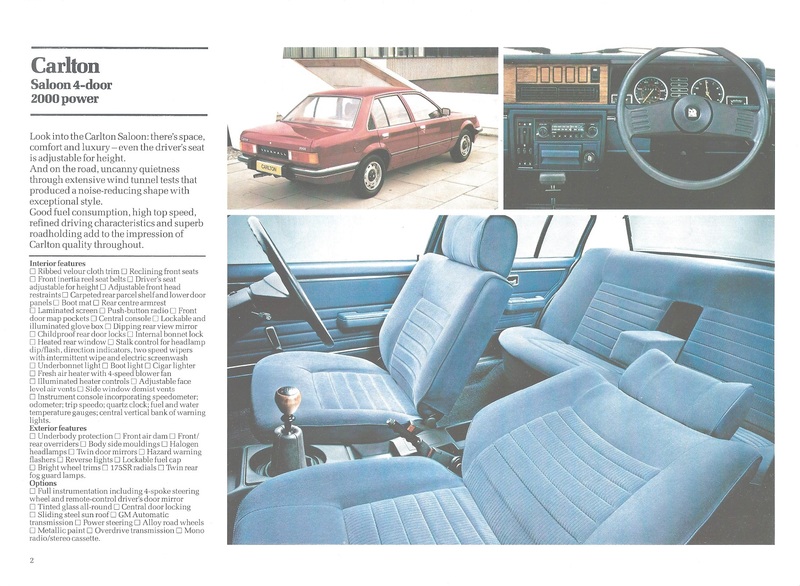 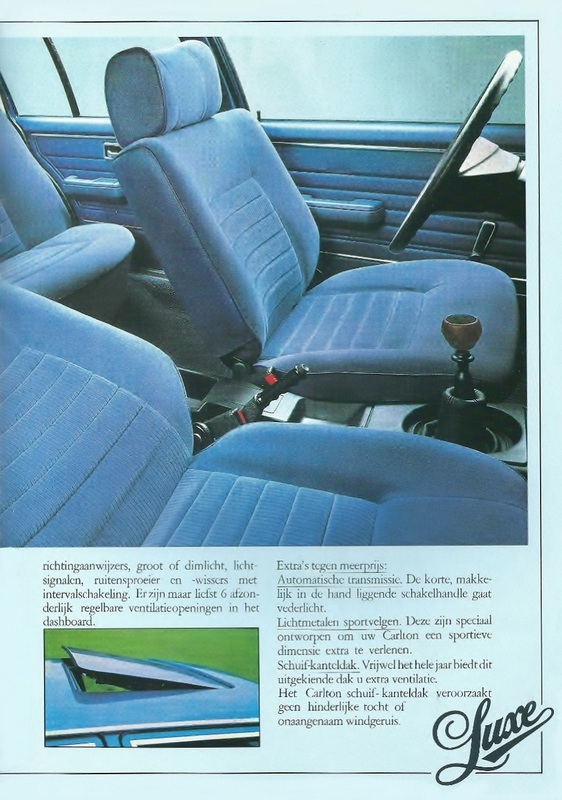 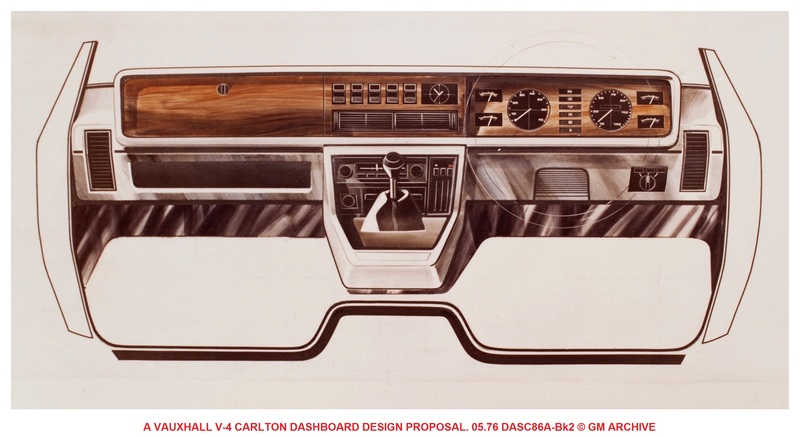 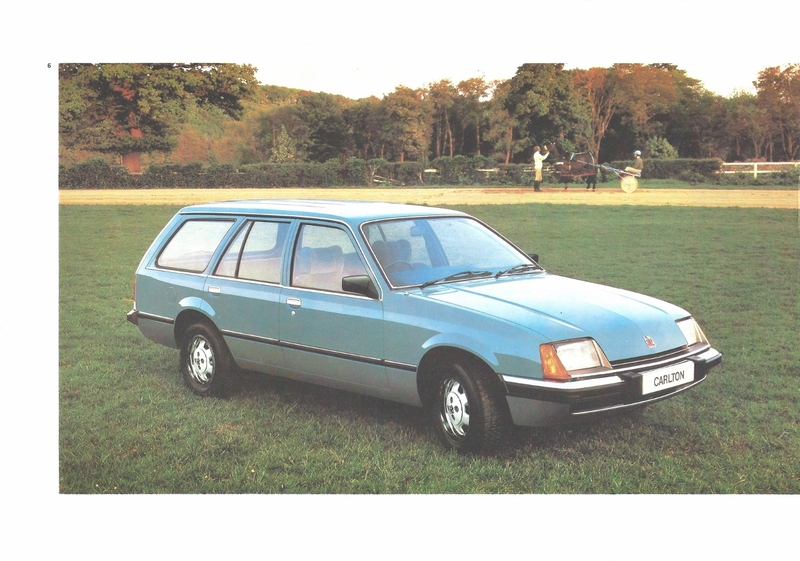 The last revision came in September 1981 for the 1982 model year, the unique Vauxhall dashboard was ditched and the revised Opel Rekord version replaced it, many previous options became standard such as tinted glass etc. 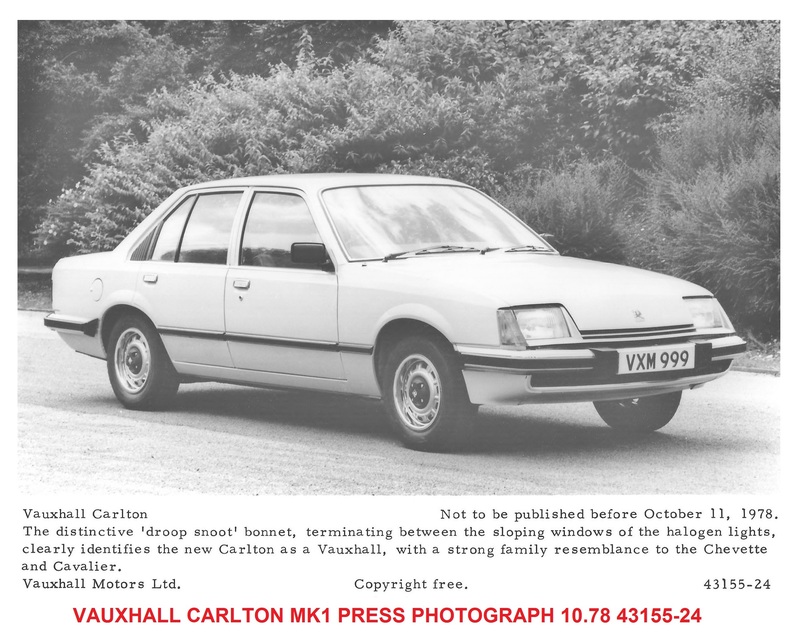 This lasted until July 1982 when the last Carlton rolled off the line at Luton. 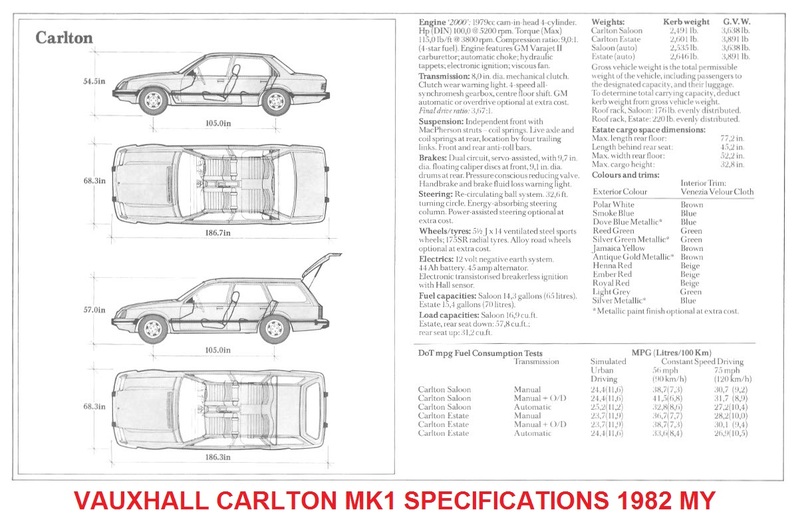 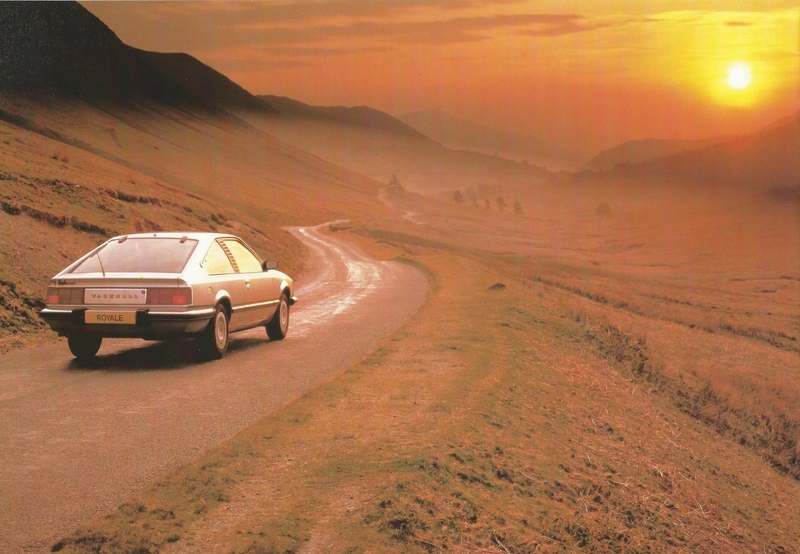 The Mk2 Carlton announced in September 1982 would be built at Russelsheim in Germany and ironically as Opel were no longer being sold in the UK virtually the full range was available.